Thiruvananthapuram: Eram Scientific Solutions has won the country’s maiden Swachhathon 1.0, the first-ever Swachh Bharat Hackathon, organised by the Ministry of Drinking Water and Sanitation to crowd-source solutions to some of the sanitation and hygiene problems in various parts of the country. 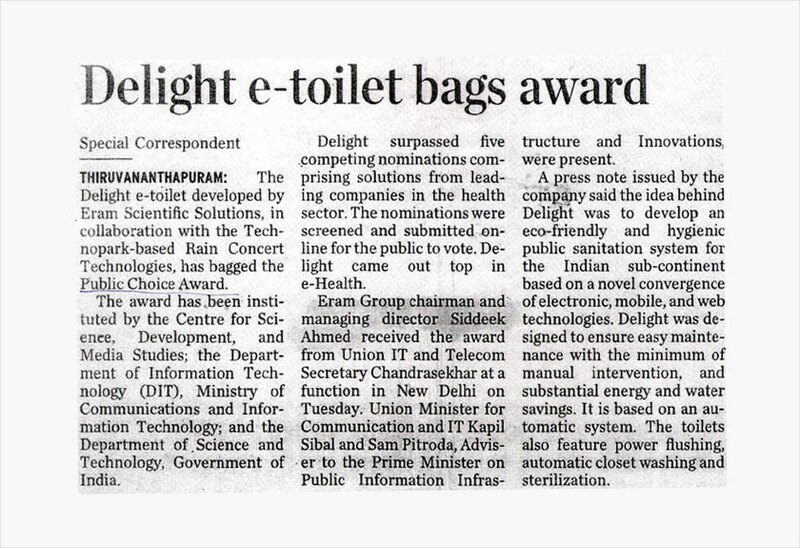 The award for Swachhathon 1.0 is the latest recognition bestowed on Eram Scientific, which pioneered the concept of completely automated electronics toilets which work on remote sensing technology. Eram bagged the award in a hotly-contested competition by trumping both domestic and foreign firms working in the sanitation technology space. 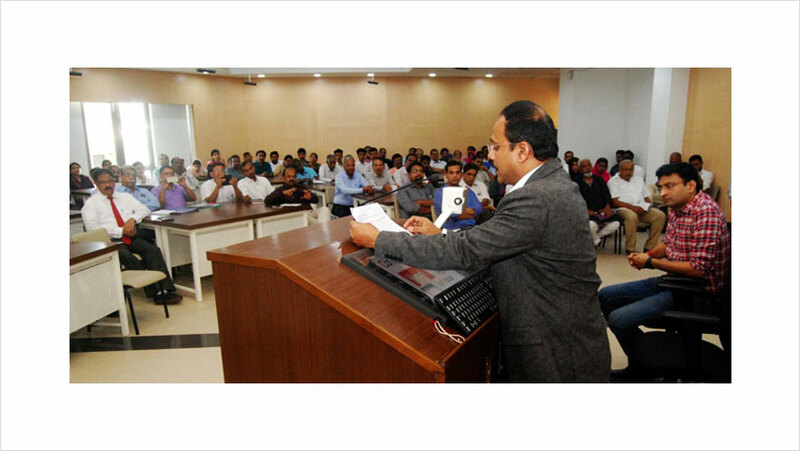 The Hackathon received a massive response with total entries of 3,053 in six categories. Eram won the award in the ‘Monitoring Usage of Toilets’ category. 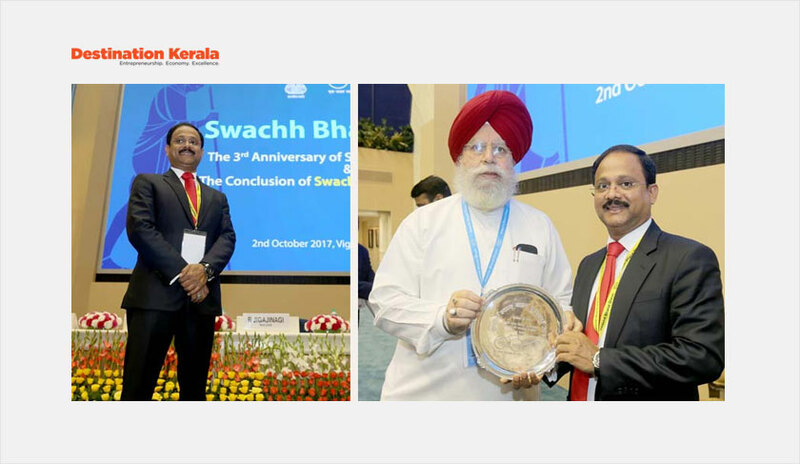 The Swachhathon award was received by Dr. Siddeek Ahmed, Chairman & MD, Eram Group, from S S Ahluwalia, Minister of State, Ministry of Drinking Water and Sanitation, at a function organised in New Delhi the other day in which Narendra Modi, the Prime Minister, was the Chief Guest. Uma Bharti, Minister of Drinking Water and Sanitation; Hardeep Singh Puri, Minister of State (Independent Charge), Housing & Urban Affairs; Ramesh Chandappa Jigajinagi, Minister of State, Drinking Water & Sanitation, among other dignitaries, were present on the occasion. “We are quite proud in receiving the maiden Swachhathon 1.0 award from the government,” said Dr. Siddeek Ahmed, in his speech after receiving the award. The company already has 44-plus national and international accolades in its kitty for its seminal contributions in introducing high-end, future-proof and scalable technology in the sanitation space. The company’s products made many a Smart Cities smarter by adopting its market-tested and proven automated model. 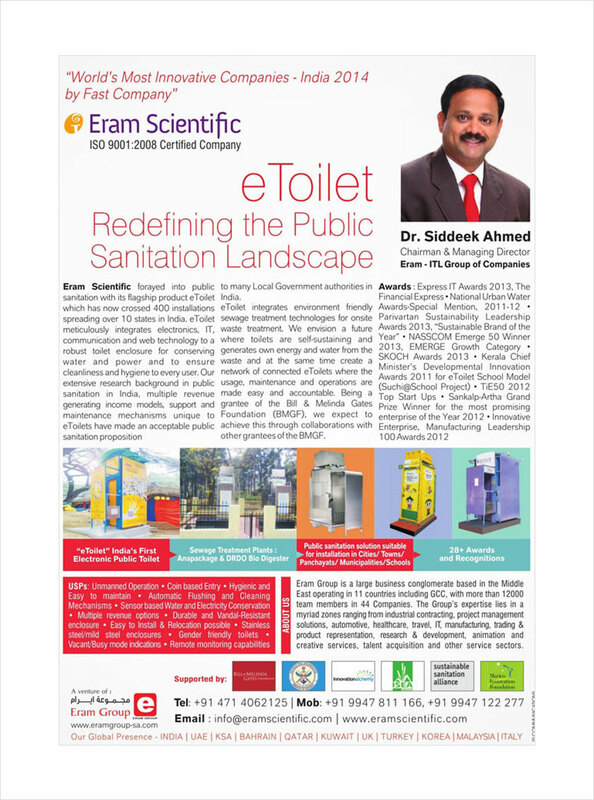 Eram Scientific Solutions pioneered in the country’s automated sanitation space the concept of internet of things (IoT), and is the first company to roll out the concept of connected e-Tolilet infrastructure with a motto of setting up self-sustained sanitation solutions. The company already has installed more than 2,500-odd facilities spread over 22 States. 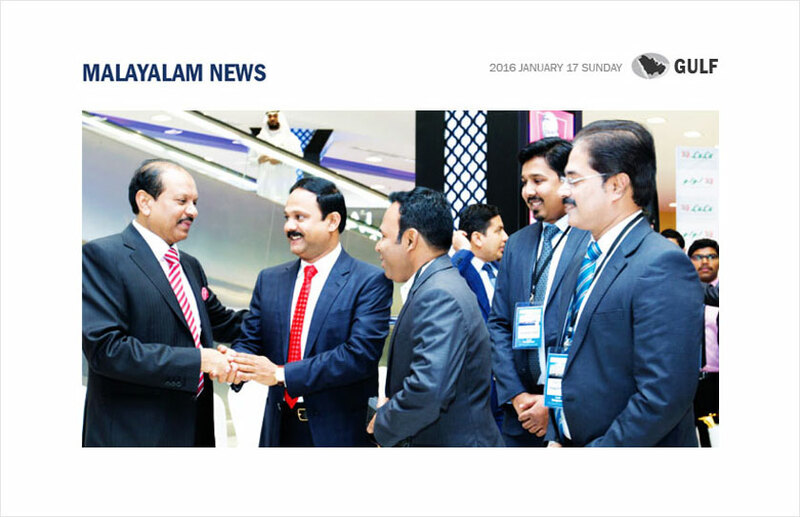 Eram Scientific, a private limited company based in Kerala, started its operations in 2008. It is the R&D-focussed social enterprise of the Gulf-based Eram Group, operating primarily in the water and sanitation sector. It is the first firm in the country to develop Electronic Public Toilet or e-Toilet which is portable, hygienically maintained and eco-friendly. Water conservation: A case study and implementation by Eram Group along with Government Agencies. Mahindra Jeeto Minivan launching at Eram Motors by actress Ms. Isha Talvar. We, the Eram Group family appreciate PU Chitra for her wonderful achievement in 22nd Asian Athletics Championship and recall the proud event which we could support her handing over the best available sports materials. Chairman of Eram Group, Dr. Siddeek Ahmed gives the Emir of Kuwait HRH Sabah Al Ahmad Al Jaber Al Sabah a token of gratitude for allowing ITL World to serve him and his delegates in Delhi, India. Kochi: Like every Malayali, he also decided to fly to the Gulf dreaming a prosperous future. Armed with a Diploma in Electronics, he managed to find a marketing job in Saudi Arabia. But, at times fate is stranger than fiction. The Gulf War began. The deafening air-raid sirens at Al Khobar, located in the Eastern Province of the Kingdom of Saudi Arabia on the coast of the Persian Gulf, shattered the dreams of Non-Residents. Hundreds of people, both natives and expatriates, fled the country. But, Siddeek Ahmed, the youngest among nine children of Panamtharayil Ahmed Haji and Mariyumma, took a rather unconventional approach. Braving the odds, the young man in his early 20s decided to stay back. He strongly believed that he should stand by the country during the time of adversity. When the dust settled, the native of Mankara village in Palakkad district seized the opportunity. The entrepreneur in him was born. 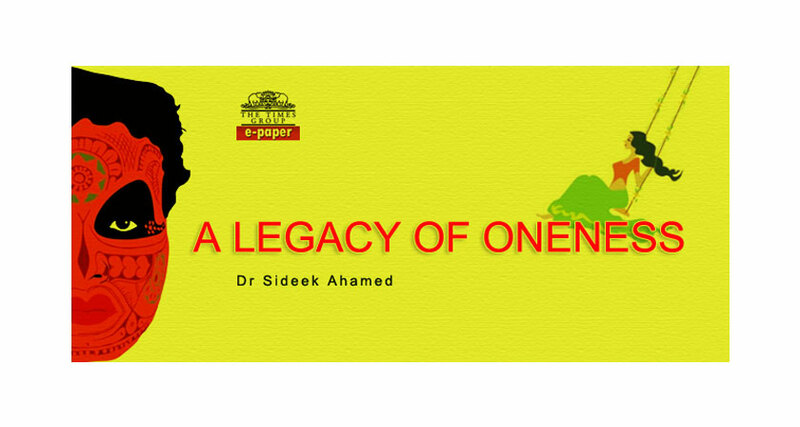 With the support of friends and relatives, and the capital he raised by selling his shares in the previous companies, Siddeek laid the foundation for the Eram Group. 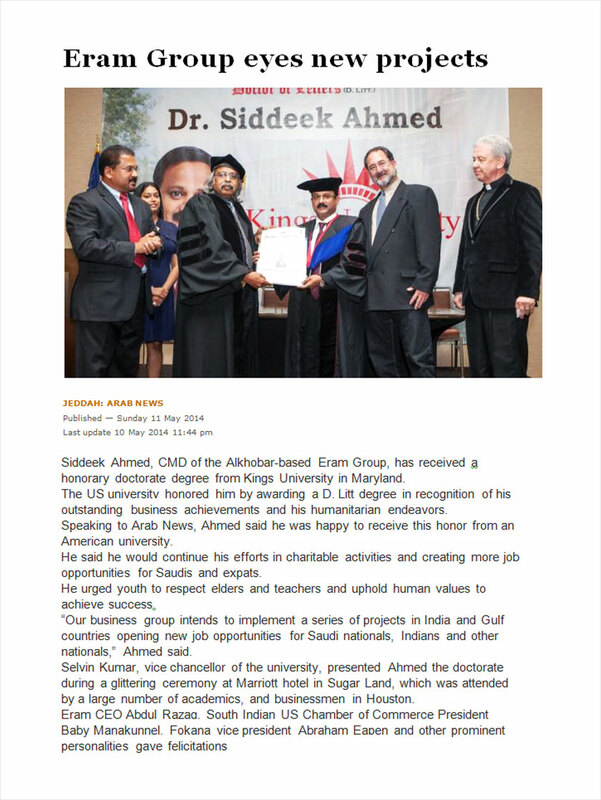 Two decades later, 49-year-old Dr. Siddeek Ahmed leads one of the most diverse conglomerates of the region, with over 40-plus entities spread across 15 countries – Kingdom of Saudi Arabia, United Arab Emirates, Kingdom of Bahrain, Qatar, Kuwait, Oman, China, United Kingdom, Italy, Korea, Thailand, Malaysia, Turkey and USA besides India. The Group has prominent presence in Industrial Contracting, Project Management Solutions, Automotive, Healthcare, Travel, IT, Hospitality, Manufacturing, Power Electronics, Trading, Floor Covering, Product Representation, Commercial Services, you name it. Headquartered in the KSA, Eram Group has become the largest diversified business group to be licenced by SAGIA (Saudi Arabian General Investment Authority). Eram holds seven foreign investment licenses, the largest by any company in KSA. 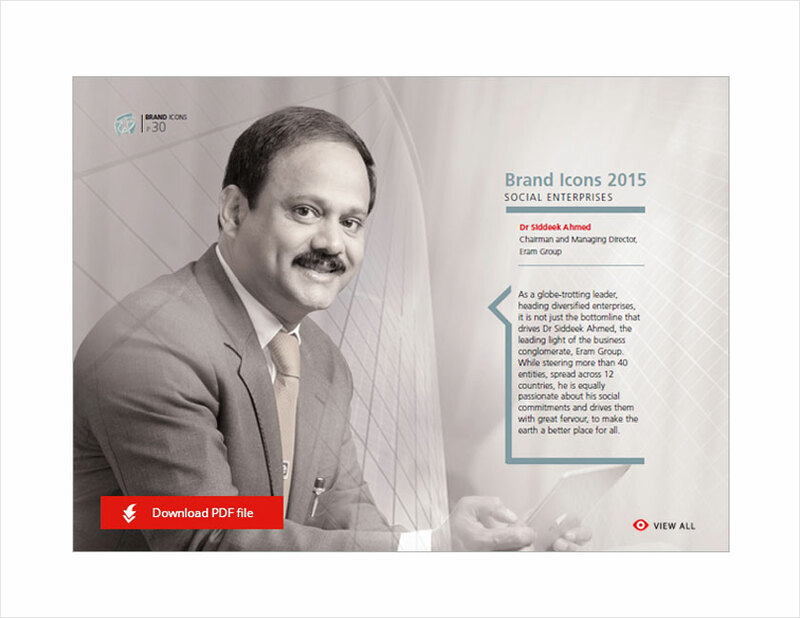 In 2015, Forbes Middle East magazine chose him as one among the Top Indian Leaders in the Arab World. 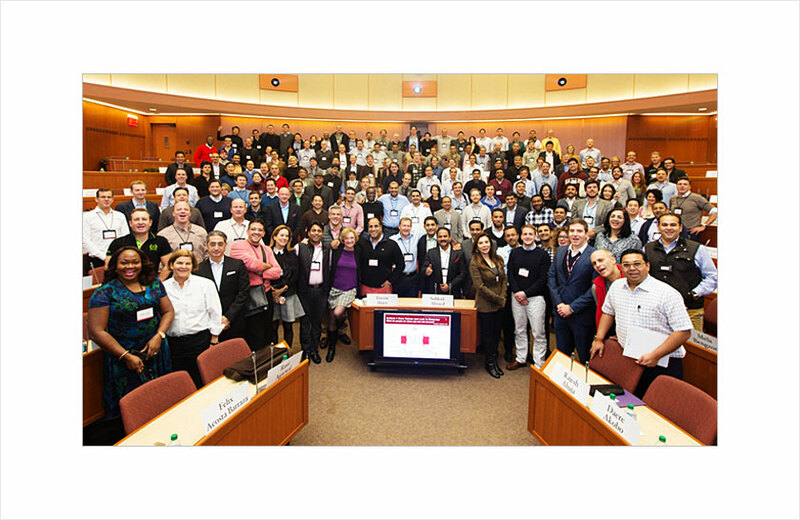 Siddeek, a master’s graduate today has also enrolled for the Owner/President Program at Harvard Business School. Even as his business grew by leaps and bounds, Siddeek remained most compassionate and committed to society. He likes to be known more as a committed humanitarian than a super successful entrepreneur. For many, he is the synonym of philanthropy. Social and humanitarian activities are the hallmarks of the Group, be it in India or in the Middle East. 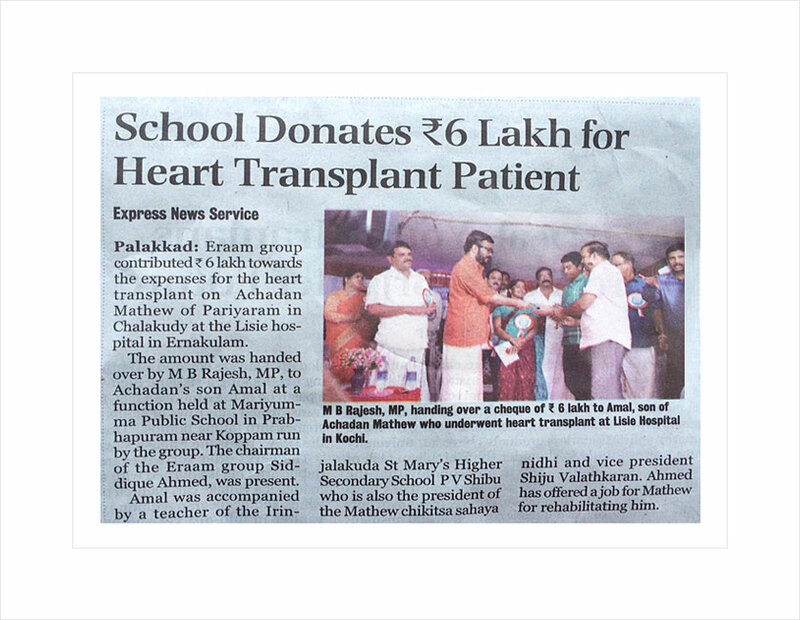 Siddeek is associated with AH Foundation, a charitable trust established in Kerala to support the socially and financially backward. He is also the chief patron of We Care Association, a charitable organisation conceived to help the needy in the Middle East and India. A football enthusiast, Siddeek has been in the forefront to promote the game at the grass roots and to encourage children to maintain healthy lifestyle by stepping outdoors to play real football on the field instead of playing on mobile phones. He was instrumental in reviving the legendary Sait Nagjee Football Tournament in Kozhikode in Kerala after over two decades. He also conceptualised the UN@70 Cup, an All Kerala Inter-school Football Tournament celebrating 70th anniversary of the United Nations in 2015. When in town, his home at sleepy Mankara attracts more people than a local self-government office as nobody returns empty handed. He is their saviour, chief trouble-shooter, patron and big brother. He is passionately talkative and engages you in a wide range of topics spanning eco-sensitivity, politics, technology and engineering. He is acutely perceptive and sharp. But above all, he is a benevolent and able people’s leader. With more than 40 entities, Eram is an incredibly diversified conglomerate. Please share the growth story? Honestly speaking, the growth was organic. From the beginning itself, my business model has been independent profit centres. Now, the Group is going through transition. The entire business empire is being brought under a corporate structure in a phased manner. We are redesigning each sector as strategic business units. Initially, I launched an HR Consultancy firm. Now, Eram Group has business interests in many sectors. Some of these companies are completely owned by us while others are joint venture operations. Overall, we have around 100 offices across the globe. In Saudi, Eram’s major activities are in the industrial sector. It also does substantial jobs for SEC (Saudi Electricity Company), the power giant of Saudi Arabia. Overall, I see enormous scope in the power sector across the globe. In India, I think there is ample scope for skill development projects. In a major development, Eram has signed a JV agreement to represent Italian energy major ENEL across GCC States. ENEL will supply smart grids and smart meters for the Gulf’s futuristic cities. ITL World, the travel and tourism vertical, is one of the key and the most robust ventures of our Group. We first commenced its operations in the Middle East in Dubai in 2006. It has rapidly expanded. Today, it has over 35 fully-owned and operating offices in markets encompassing Saudi Arabia, Kuwait, Bahrain, Qatar, UAE, Oman, India, Malaysia and Thailand. ITL World is continuing to expand its presence into Europe by opening an office in London. Most probably, we will inaugurate the facility in September. Rated consecutively as the fifth most powerful travel management company in the Middle East by Arabian Travel News, ITL World has been catering to a wide portfolio of clientele across Asia and the Middle East. It has been the preferred partner of several global travel brands and tourism boards in the region. Recently, globally-renowned corporate travel giant – CTM (Corporate Travel Management) chose ITL World as their partner across the Middle East. With travel brands such as Miceminds, Arabian Experience, Tripmakers and EduVoyage under its portfolio, ITL World offers travel solutions to government entities, corporate business houses, MICE (Meetings, Incentives, Conferences, Events) segments, luxury travel, sports travel, wellness travel and student travel segments and much more. We are the first to set up a manufacturing facility for power electronics in Saudi Arabia. Earlier, equipment required for the sector in the country were imported. Arabian Power Electronics Company (APEC) has become a leading player providing comprehensive engineering solutions in the field of power electronics. Recently, we have acquired a leading Pune-based company in the power electronics sector. We are in the process of renaming it. We also forayed into education and training by taking over an aided educational institution in Palakkad district. It is not aimed at making profit but to provide quality education to underprivileged students. A few months ago, we have signed an MoU (Memorandum of Understanding) with KINFRA to set up a food processing unit at its upcoming Industrial Park at Ottappalam. What made you think about launching eToilet project? As part of the Group’s humanitarian activities, I used to sponsor dialysis machines for various organisations. The cost of one machine would come around Rs. 6 lakh. Within a short period, I think, we have distributed close to 50 machines. When we looked into the reason behind such a huge demand for dialysis machines, we realised that the real villain was lack of public sanitation facilities. Women, including students, suffered the most. They used to skip the nature’s call due to the absence of hygienic toilet facilities in public places which, in turn, caused various health issues. This prompted us to think about setting up clean public toilets without burdening the coffers, clogging the drainage system and exploiting the water supply of a city. The answer we found was eToilet, India’s first electronic public toilet. Eram Scientific Solutions (ESS), the Group’s R&D division which was launched in 2008, started working on the eToilet project in 2009 after spending a year studying various issues, like water and waste management which required technological innovation. We made the first prototype in 2010. By 2011, the product was ready for marketing. In August, Bruhat Bangalore Mahanagara Palike (BBMP) awarded a project for setting up 75 such toilet clusters in the city to ESS, after conducting a year-long trial that proved the cost-effectiveness and hardiness of the eToilets. The cost of one unit was Rs. 3 lakh then. In 2012, I had a chance to meet Dr. A P J Abdul Kalam, former President of India, in Florida. He was there to unveil the statue of Mahatma Gandhi. In an informal chat, I briefed him about the eToilet project and the technology support that the DRDO (Defence Research and Development Organisation) has been providing. After giving me a patient hearing, Kalam suggested me to cut down the cost so that the project would benefit the common man. Inspired by his advice, we then set in motion an intense research to achieve it. As a result, we were able to launch a cost-effective version, a solar-powered toilet unit (eLite for schools) priced at Rs. 99,999. Till date, we have set up 1800-plus eToilet units and over 400 Sewage Treatment Plants across 19 states in India. 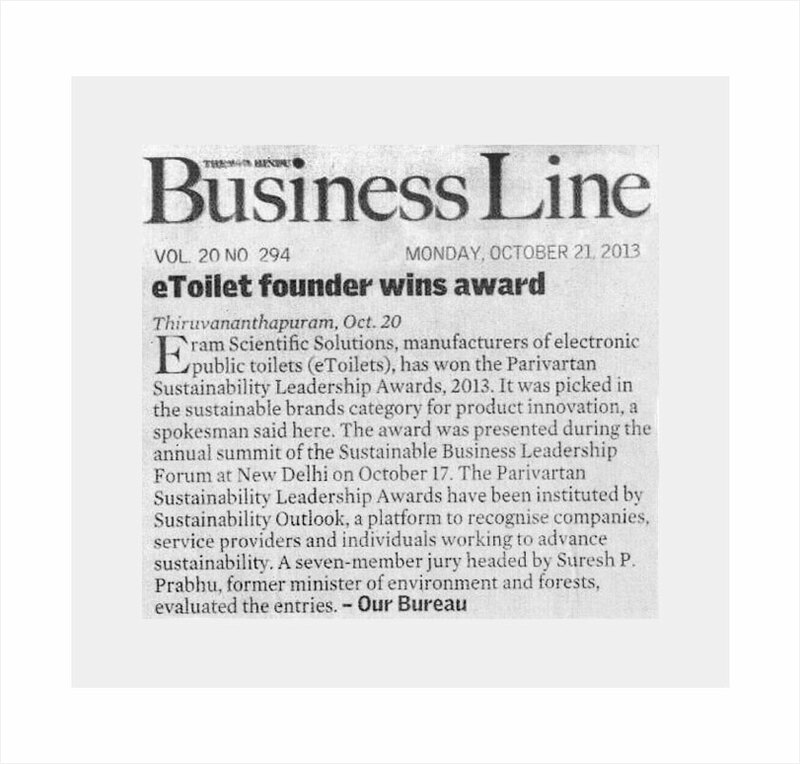 eToilet has also won more than 40 awards nationally and internationally. Eram has also set up numerous ‘she toilets’ with sanitary napkin dispenser and incinerator. In a major achievement, Eram was picked as one of the grant winners of the Bill & Melinda Gates Foundation’s ‘Reinvent the Toilet’ Challenge aimed at finding next-generation toilets which are super cost-effective, and can provide sustainable sanitation to 2.5 billion people worldwide without access to toilets. The grant amount awarded to ESS is being used to pursue research on maintaining cleaner public toilets while conserving precious resources like water and energy. It was a proud moment for all of us when at Safaigiri Summit and Awards 2015 our Prime Minister Narendra Modi conferred the title of ‘Toilet Titan’ on ESS. We are now working with the California Institute of Technology, Duke University, and the University of South Florida (USF) to take eToilets to the next level. As a first step, we have installed NEWgenerator technology-enabled eToilet at Pulluvila in Thiruvananthapuram. The water that comes out as waste from the toilets is recycled and used for flushing, while the solid waste is converted into nitrogen, phosphorus and potassium which can be stored and used as fertilizers. The gas from urine is converted into methane and can be used for burning. The technology was developed by USF with NEW standing for nutrients, energy and water. The potential is enormous. The water can be fully recycled and made potable. “I watched piles of faeces go up the conveyer belt and drop into a large bin. They made their way through the machine, getting boiled and treated. A few minutes later I took a long taste of the end result, a glass of delicious drinking water” – these words from Bill Gates say it all. Philanthropy has been the hallmark of Eram Group. How did it happen? My parents have always been sensitive and generous to people’s sufferings and what I do today is what I have seen growing up. It is an irreplaceable part of my life. What prompted me to extend humanitarian assistance is the belief that helping the people in distress is my obligation to the creator of the universe. Wealth is a trust (amanat) from Almighty Allah and our role is that of a custodian. Distributing money to alleviate the sufferings of people is of paramount importance. It was the driving spirit behind our Group’s donation of Rs. 2 crore for the relief work in flood-affected Chennai. We consistently make efforts to extend support to the poor and the needy, be it financial aid, medical and educational support or disaster relief. Recently, as you know, Kerala was reeling under extreme weather conditions. One such day, while I was talking to my relative at Mankara over phone he told me that people had to depend on drinking water supplied in tanker lorries. You know, Mankara is a village along the banks of Bharathapuzha and has a number of ponds and public wells. I was really shocked to hear it. In a bid to conserve water, we have launched a campaign – ‘Save Open Wells – Save Water’ in Palakkad district and the pilot projects have been kickstarted at Mankara and two adjacent villages with the support of local bodies. 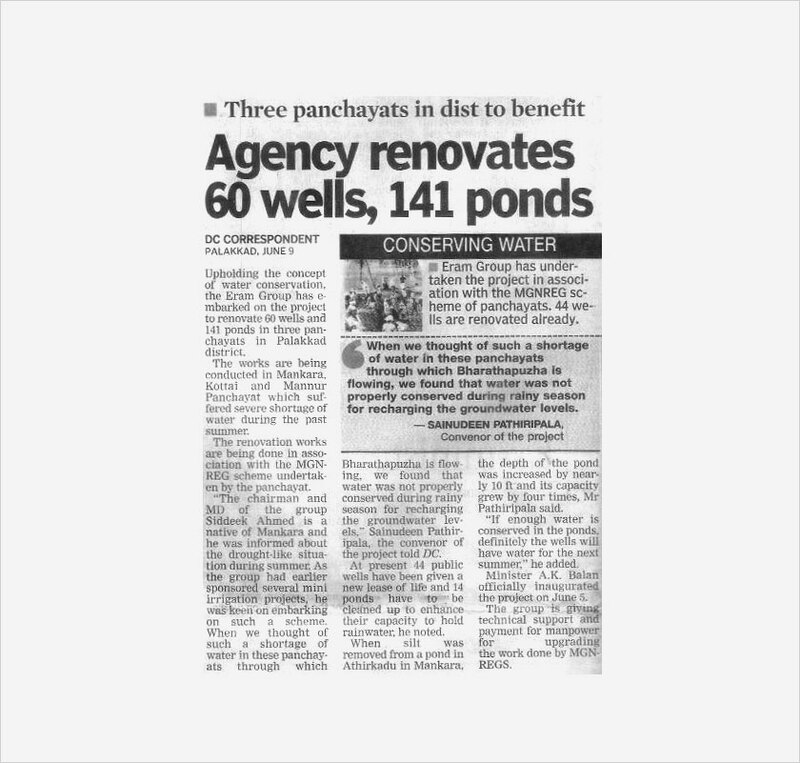 So far, we have been able to renovate more than 50 open wells benefitting around 2000 families in three panchayats. As many as 62 ponds left unusable in the region have also been resurrected. The project was officially launched by A K Balan, Minister for Social Welfare. And, the mission continues. You have been called the Messiah by families of those languishing in Saudi jails. Why did you decide to intervene? Millions of Indians have migrated to Saudi Arabia over decades to make a living. Generally, Indians are hardworking people and law abiding citizens. The Saudi Government also holds Indians in high regard. However, certain labourers have landed in jail due to various reasons. Lack of awareness about laws of the country is one reason. In majority of the cases, these people remain behind bars for reasons which are beyond their control. Many of the Indian expatriates here work in difficult conditions. They may be the sole breadwinner of the family back in India. Due to financial constraints, they will not have the money to pay for their release. Being a person who considers Saudi as my second home and fortunate to have the resources, I believe it is my duty to help such citizens and bring relief to their families back home. It would have been impossible without the wholehearted support and cooperation of the Saudi officials. What was the motivation behind ESPOiR? What will be its social impact? Again, Dr. A P J Abdul Kalam is the inspiration for undertaking ESPOiR project. While interacting with him once, he spoke about the importance of skilling and stressed the need to set up skill development centres. It is a fact that there is gap between educational qualifications and employable skills. Hence, there is an acute shortage of skilled manpower in the industry particularly in the oil and rig sector. Lot of people come to my home at Mankara seeking job opportunities. Frankly speaking, even highly qualified professionals who show many years of experience on their resume lack basic practical skills required for the job. While we recruit people for leading companies in the oil and refineries sector, most of them get disqualified in the client’s interview. For instance, they even lack knowledge about health and safety aspects. It was based on these insights that we decided to establish ESPOiR in collaboration with Government of Kerala. We have the official manpower licence and can issue number of visas. The convocation of the first batch of trainees of the Espoir Academy was held recently. We have given offer letters to all the 85 students. The fact that all the students have been recruited by petroleum companies shows the very relevance of skills academies. Communication skills still remain a problem for some students. We are exploring options to plug that gap as well. How many people does ERAM Group employ currently? We have direct employees, contract employees and those who associate with outsourcing work. Currently, the Group has over 20,000 direct employees belonging to different nationalities. There are a significant number of Malayalis in the team. The lion’s share of people working in my headquarters are from Palakkad. It is not deliberate. Majority of job seekers are from Palakkad district and I have never let them down. I always support my team members so as to give them the opportunity to develop to their fullest potential. How do you spend time when not working? I spend most of my time of the year in Saudi Arabia. I really enjoy being with family and friends especially during weekends. The feeling of togetherness creates a lot of energy and acts as a stress reliever. I also love travelling! During vacations, I make it a point to touch new destinations across the world with my family. October, 2, 2019 is an important date for India's government. Coinciding with the 150th anniversary of Mahatma Gandhi's birth, it marks the proposed finish line for "Clean India," the country's ambitious plan to install 75 million toilets around the country. Right now, 600,000 of the world's 1.7 million who die annually from unsafe water and sanitation (due primarily to open, unclean toilets) live in India. 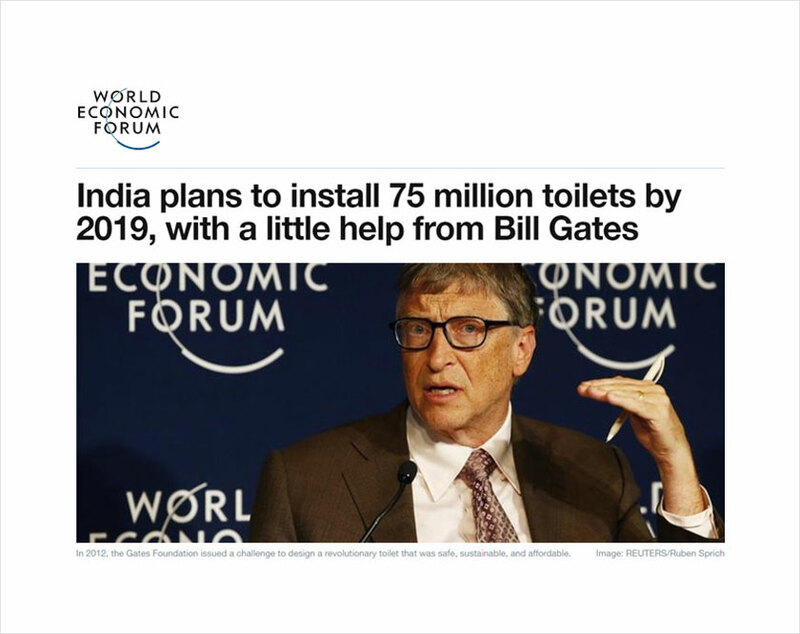 As billionaire philanthropist Bill Gates recently wrote on his blog, those kinds of conditions make a plan like Clean India worthy of both praise and financial support. Over the past several years, The Gates Foundation has donated millions in aid and grant money to both federal governments and private companies. Some of those donations were used to created high-tech toilets for use in low-income countries. The largest grant, for $1.3 million, went to RTI for its Integrated Waste Treatment System. The toilets disinfect liquid waste, dry out and burn solid waste, and turn that waste into electricity that further powers the toilet. Each unit costs roughly $2,500 and can accommodate 50 people per day. Another design is the eToilet, India's first automatic, unmanned, electronic public toilet. Lights switch on only during use, in order to save energy. Meanwhile, voice commands help people use the toilet correctly. Each use costs only a few cents. Gates says that the presence of toilets isn't enough to improve sanitation. People still need to use those toilets. More than 30% of India's villages have been declared free of open defecation, Gates wrote. Last year, the rate was only 8%. The program is one of Gates' favorites, he says, because it shows a government can make gigantic leaps in public health so long as it focuses its attention on the problem, measures it, and uses the feedback to tweak the system. Gandhi's 150th birthday is two and a half years away, and India seems fully set on meeting its goal. "It is a great example for other countries and an inspiration for all of us who believe everyone deserves a chance at a healthy, productive life," Gates wrote. Thiruvananthapuram: Kerala-based e-toilet maker Eram Scientific Solutions has been selected by the UK-based Cranfield University for developing sanitary facilities using sensor kits. Under the cooperation, Eram will collaborate with the University for improving the efficacy of the toilet facilities in the country. Eram has been mandated by the Cranfield University to do research and disseminate information for improving the hygienic standards all over the country. Eram Scientific Solutions, which has established itself as a major player in research and product developments in the hygienic space, is part of the Eram Group with major presence in the country and abroad. Censor Test Kits are mainly used to monitor the efficacy of ordinary toilets as well as e-toilets. The nodal agency that implements the sanitation programme can track the efficacy of the sanitary facilities online. It can also regulate the water supply to the facilities as well as test water usage. 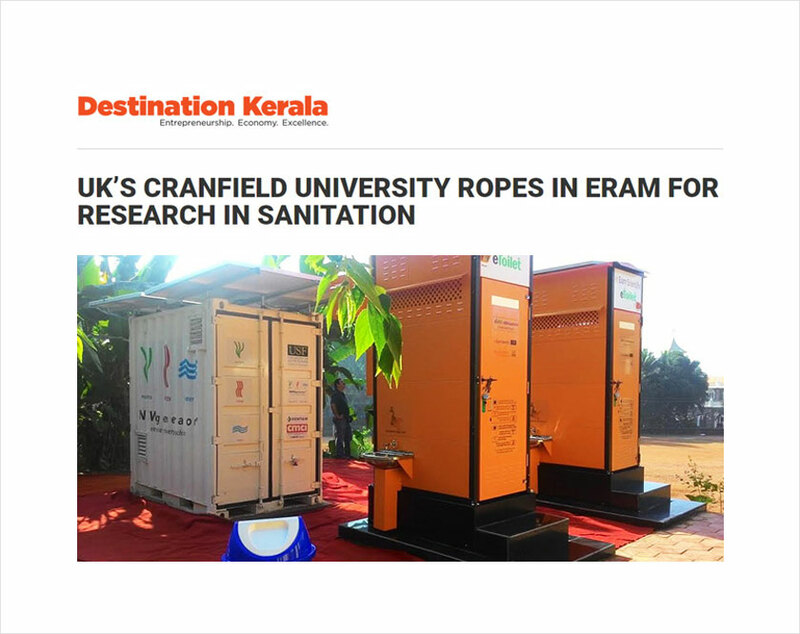 "The recognition from the prestigious Cranfield University is a major achievement for Eram Scientific Solutions' efforts to improve sanitation as well to address the issues stemming from global warming", said Dr. Siddeek Ahmed, Chairman, Eram Group. He said Eram Scientific has already set up 2,200 e-toilets across the nation including Kerala. Eram is currently focussing on providing its facilities in schools, tourist spots, and smart cities where the necessity of cleanliness is felt most. The uniqueness of Eram's e-toilets is their in-built self-cleaning technology. These products come with amenities such as fans, lights, automatic flushing facility, as well as emergency switches. The e-toilets are monitored 24×7 through the GPRS. 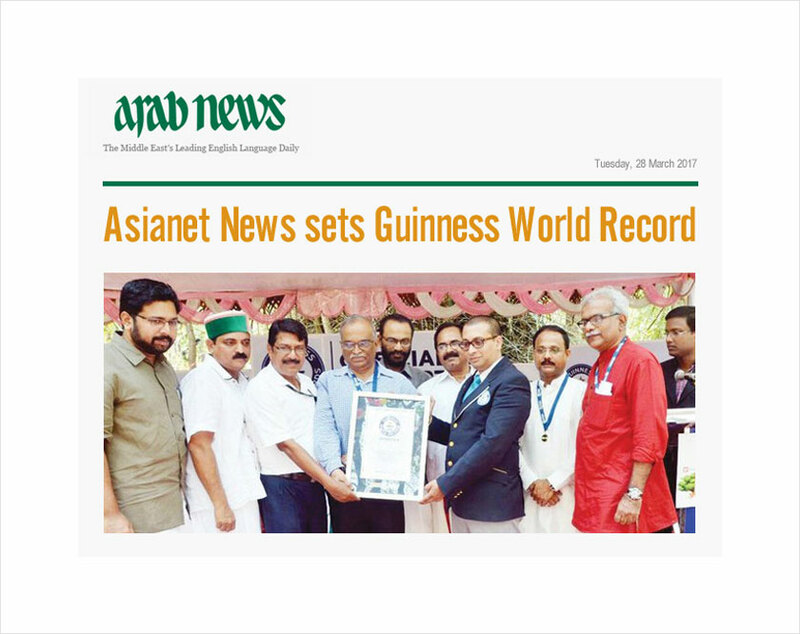 The "Ente Maram, Ente Jeevan" (My Tree, My Life) initiative jointly organized by Asianet News and the Jawaharlal Nehru Tropical Botanical Garden and Research Institute (JNTBGRI) has set a new Guinness World Record for the maximum number of people hugging trees simultaneously. The event, held last week on the JNTBGRI premises at Palode in the South Indian state of Kerala, saw 4,620 people hugging trees to mark the International Day of Forests. Governor P. Sathasivam inaugurated the event by embracing a tree. K. Raju, forest minister; Loknath Behara, director general of police; V.K. Madhu, district panchayat president; D.K. Murali and K.S. Sabarinath, members of legislative assembly; Frank P. Thomas, Asianet news director; M.G. Radhakrishnan, Asianet news editor; and Dr. Siddeek Ahmed, ERAM group chairman, were present at the event. "Ente Maram, Ente Jeevan" broke the existing record of the largest tree hug set by Tata Chem DAV Public School, Mithapur, Gujarat, in December 2016, where 1,316 people had participated. People from all walks of life poured into the sprawling premises of the JNTBGRI on Tuesday last week to participate in the unique tree-hugging event and to set a new world record. They erupted in joy as the representative of the Guinness Book of World Records declared it a world record event. "The record to break was 1316. Final number today is 4,620. A new world record has been set," Rishi Nath, Guinness World Records adjudicator, announced. 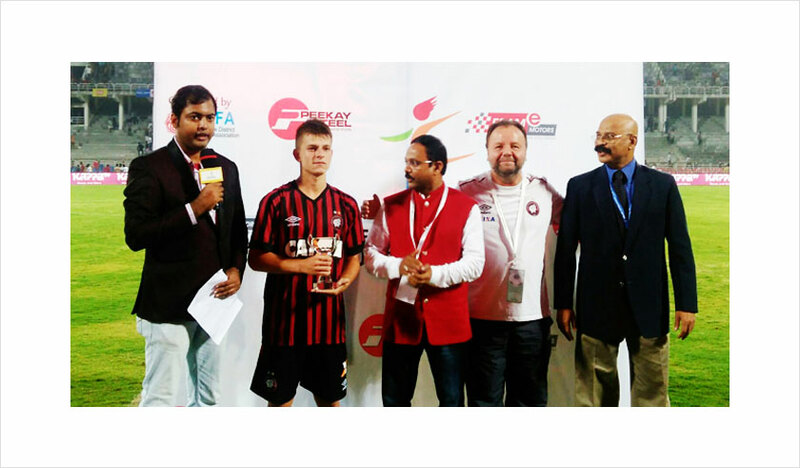 He handed over the official certificate to Frank P. Thomas of Asianet News. Besides setting a new world record, the event highlighted the need for protecting forests. The participants took a pledge to conserve forests and protect trees. As a token of their resolve, they carried home saplings presented by the organizers. Students of Al-Iqbal College, Peringamala, guided the participants into designated plots in the garden. Experts from the JNTBGRI were present to assist the representative of the Guinness Book of World Records. 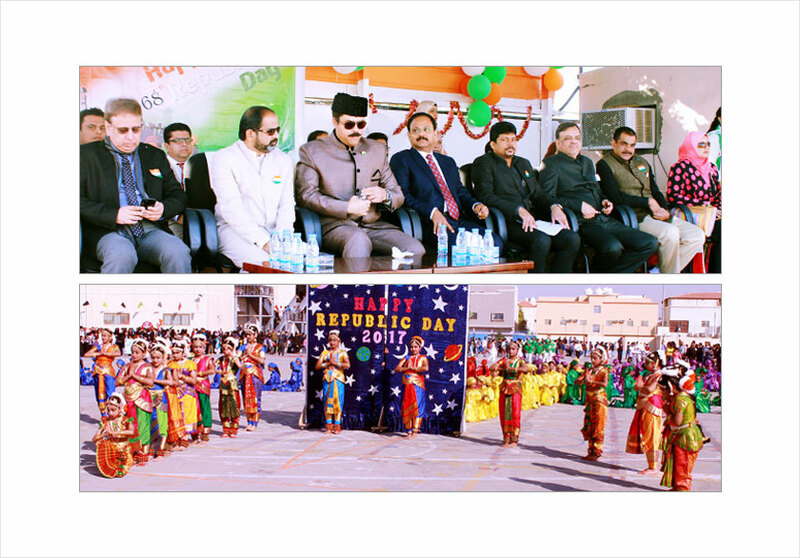 68th Republic day of India celebrated with full enthusiasm and patriotism at International Indian School Dammam. 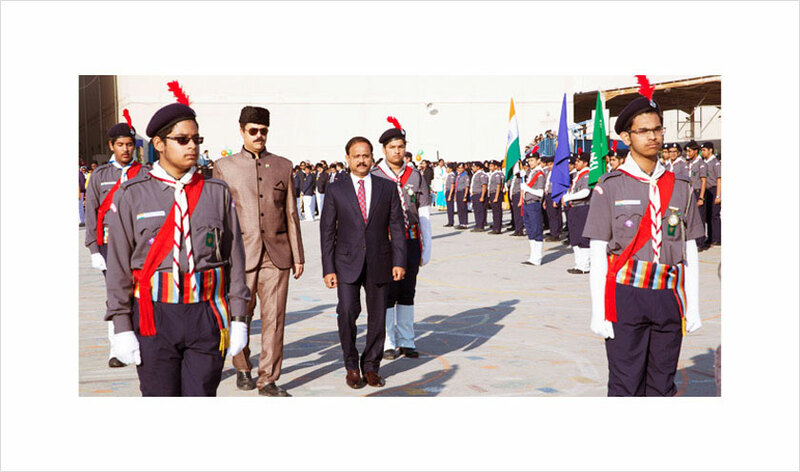 Over 4000 Indian citizens, staff and students of the school witnessed the flavor of tri color. Programme was started with the pious verses from the holy Qura'an and its translation. After receiving the Guard of Honour, in presence of Special guest of the day Dr. Siddiq Ahmed Chairman "ERAM GROUP", Community leaders of different parts of India, Members of the Managing Committee, Chief guest of the day Mr. Mohammad Abdul Waris, Chairman of School Managing Committee hoisted the Indian flag and took the salute from the Scout, Guides, Cubs, Bulbul, Bunnies and the group of school cabinet. Master Anubhav Sharma School Captain lead the march past parade. Chairman congratulated the fellow citizens on this occasion in his address to the audience. Dr. E K Mohammed Shaffe, Principal & HOI has welcomed the guests and citizens of India in the very special & solemn occasion. He also read the extract from the "President's message to the Indian citizens". Cultural programs from UPGS, PREP, UPBS and BMS were the attraction of the day. Audience have enjoyed and appreciated the efforts of the students and staff behind this marvelous programme. Over 1500 students participated in various drill displays. Various awards were distributed for excelling in academic, CBSE national sports and game events and other activities. Students were honored during this occasion. 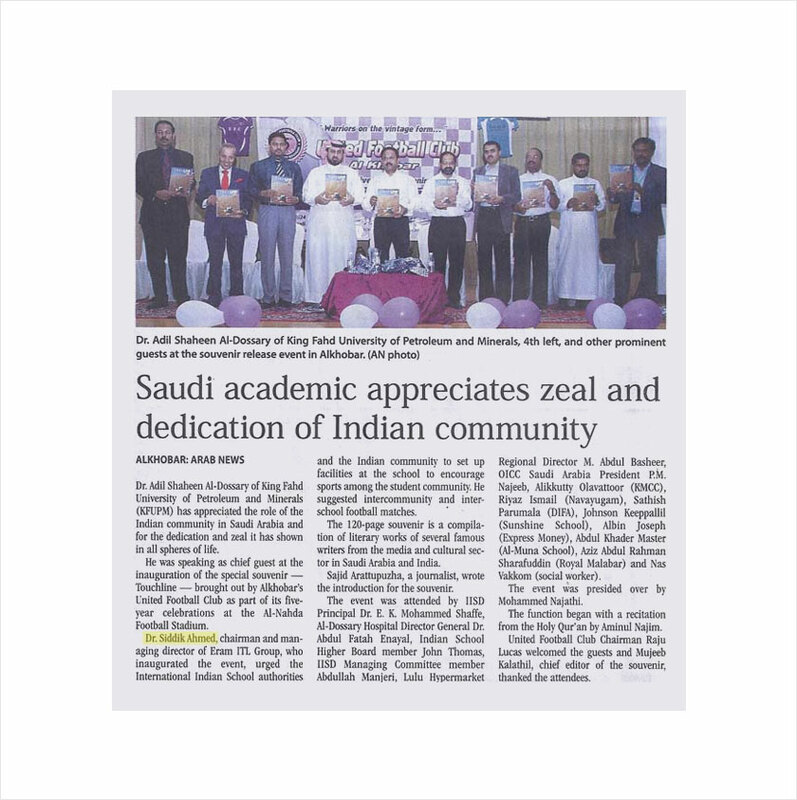 The most exciting and encouraging award was "IIS Dammam, adjudged the Best CBSE School in Saudi Arabia for academic performance during 29th Principal's conference held in Dubai. Principal & HOI had received this award on behalf of IIS Dammam, in Dubai on 14th Jan. 2017. He has handed over this prestigious award to the Chairman of School Managing Committee during Republic Day celebration. Entire show came to an end with the national anthem. Enel and Saudi Electricity company sign framework agreement for cooperation in Electric Energy Distribution, which will see two companies work together to develop long term strategic knowledge sharing best practices and benchmarks to take networks performance in areas like operation, efficiency and security to achieve best-in-class levels. The agreement was signed by Enel's head of Global infrastructure and networks Mr. Livio Gallo and Mr. Ziyad M Al-Shiha, SEC's president and CEO. It is a proud moment for Eram Arabia Limited also who is a partner in Enel Saudi Arabia, the local arm for Enel Spa of ITALY. Malappuram: In an attempt to help revive Bharathappuzha, the second longest river in Kerala, which has almost become a dry sand bed, the Eram Group took the initiative to replace the broken wooden shutters of the causeway, connecting Mankara and Kottayi panchayats on both sides of the river, with iron ones. The initiative has helped stop the flow of water, causing the water level on that part of the river to rise. Navi Mumbai: Bollywood actress Juhi Chawla, Navi Mumbai municipal commissioner Tukaram Mundhe and music composer Shankar Mahadevan paid a visit to the newly-built automatic eToilet for women with rest room at the Vashi bus depot the other day. The 'smart she' eToilet is exclusively tailor made for women with a separate rest room attached to it. The rest room is equipped with chair, wash basin, mirror, and facilities for baby feeding, diaper changing, etc. The celebrities and the commissioner were briefed about the working model of the 'smart she' eToilet. This is one of the 12 eToilets which have been opened in various parts of Navi Mumbai for the public usage as part of the CSR initiative of Reliance Foundation. 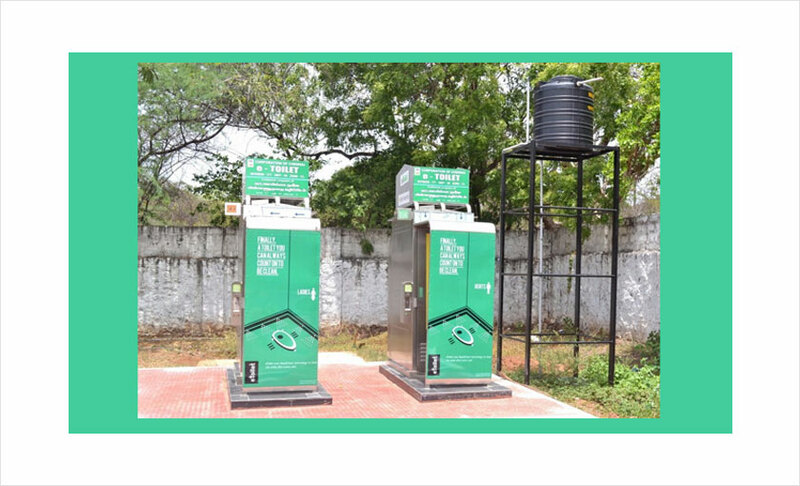 The fully automatic, electronically operated eToilets, manufactured by Kerala-based Eram Scientific Solutions, incorporate full-cycle approach in sustainable sanitation by integrating convergence of electronics, mechanical and web-mobile technologies. The insertion of a coin opens the door of the eToilet for the user, switches on a light—thus saving energy—and even directs the person with audio commands. The toilets are programmed to flush 1.5 liters of water after three minutes of usage or 4.5 liters if usage is longer. It can also be programmed to clean the platform with a complete wash down after every 5 or 10 persons use the toilet. All eToilets are connected over a GPRS network. The health status of eToilets can be accessed over a web or mobile interface by the authorities, which ensures transparency and accountability of operations. "We are indeed glad to make positive contributions in the ambitious Swachch Bharat campaign. Eram's intelligent and smart solutions can give a leg-up to the ongoing drive to make our country open defecation-free. Women are the worst victims of the lack of proper toilet facilities in public places. In keeping with this reality we came up with 'smart she' toilets for women. We are thankful to Reliance and the Navi Mumbai Corporation authorities and are eager to team up with corporates and other municipal corporations in future," said Dr. Siddeek Ahmed, Chairman & Managing Director Eram Group, in a statement. 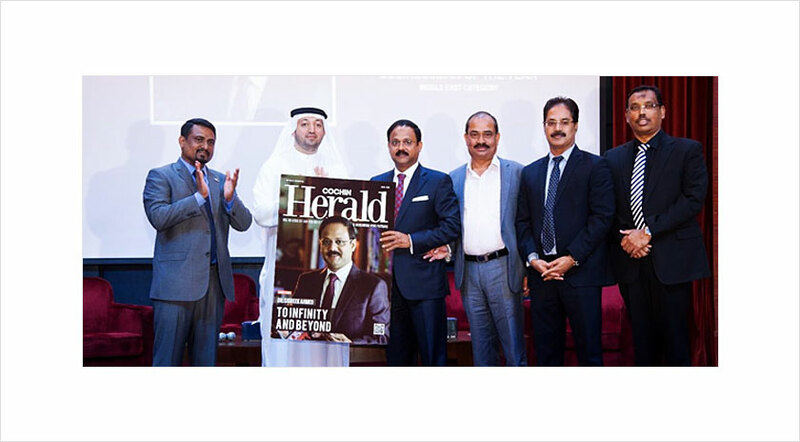 Dr. Siddeek Ahmed, Chairman of ERAM group wins the Cochin Herald's Middle East Businessman of the Year at 3rd Global Leadership Conference organized by Cochin Herald and partnered by Alleem Business Congress and Arab Business Club. He received the award from H.E. Saud Salim Al Mazrouei, Director of Hamriyah Free Zone Authority at Sharjah Chamber of Commerce. 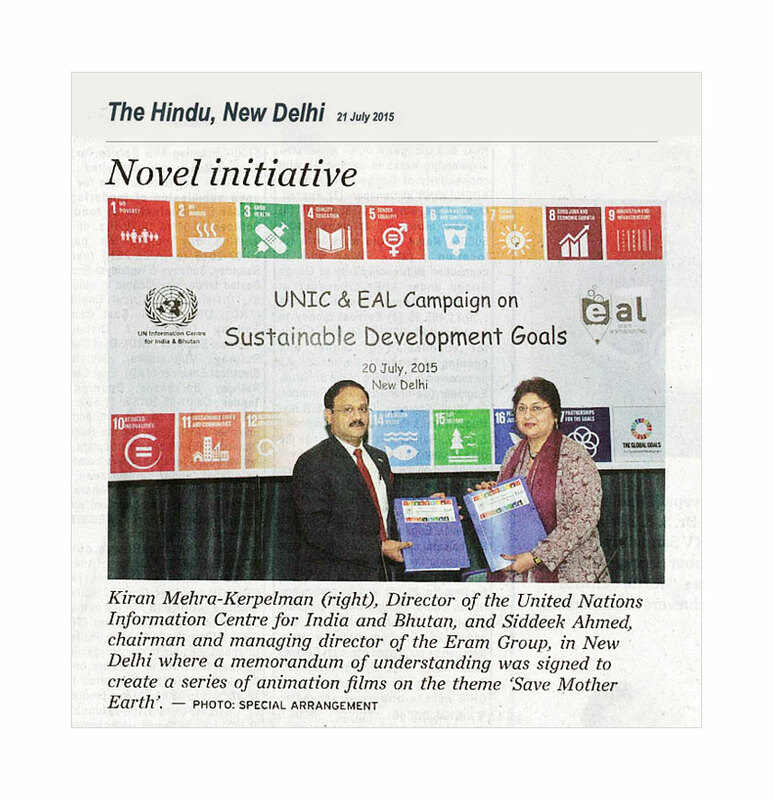 UNIC New Delhi joined the UN Country Team in recognizing India's innovators who are helping transform the lives of people in the country. 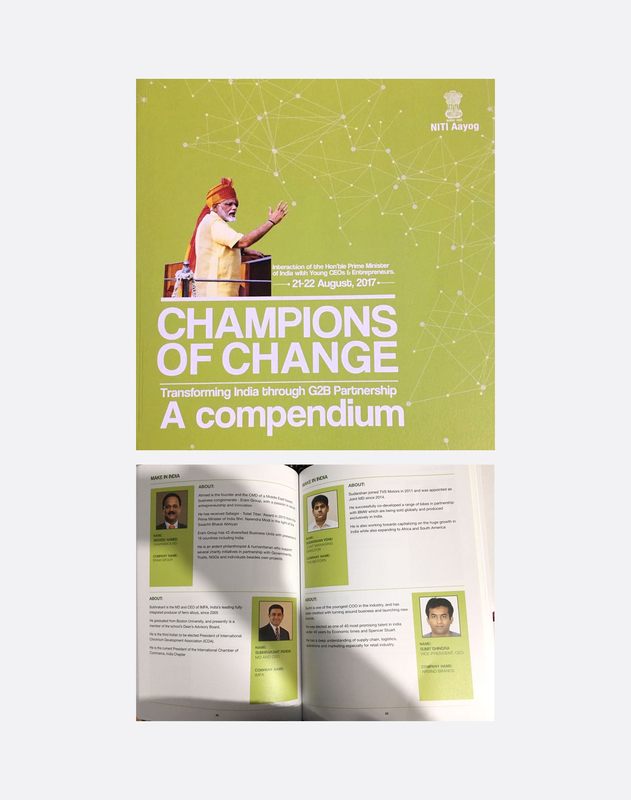 Innovators from government, rivate sector, civil society, and educational institutions from around the country shared their innovations that will help India to achieve Agenda 2030 and the Sustainable Development Goals. UNIC organized for two spectacular innovations to be showcased: an e-Toilet that is totally eco-friendly and generates no waste; and a cutting edge drone technology that would provide WIFI to India's villages. 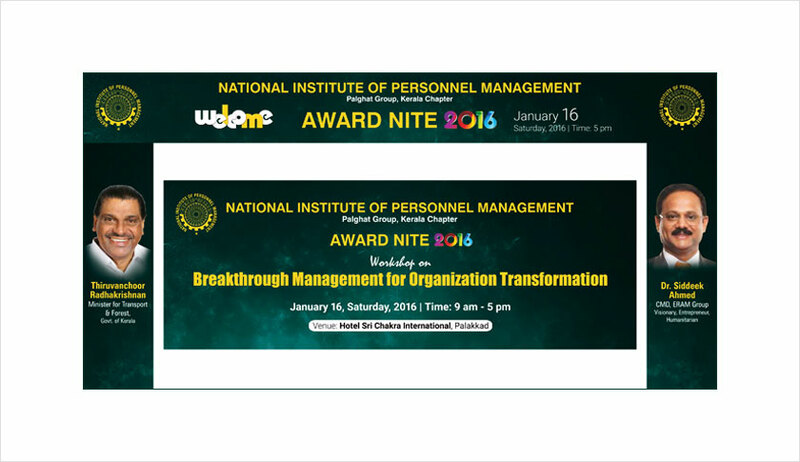 UNIC moderated the event that was attended by over 500 guests. X-PRIZE and the Government of India were partners in the UN Day event. The United Nations in India, NITI Aayog and XPRIZE marked United Nations Day 2016 by recognizing India's innovators who are helping transform the lives of people in the country. Innovators from government, the private sector, civil society, and educational institutions from around the country shared their innovations that will help India to achieve AGENDA 2030 and the Sustainable Development Goals. Mr. Amitabh Kant, CEO, NITI Aayog participated in a discussion on the future of Innovation in India. Mr. Yuri Afanasiev, UN Resident Coordinator and UNDP Resident Representative, moderated the dialogue. 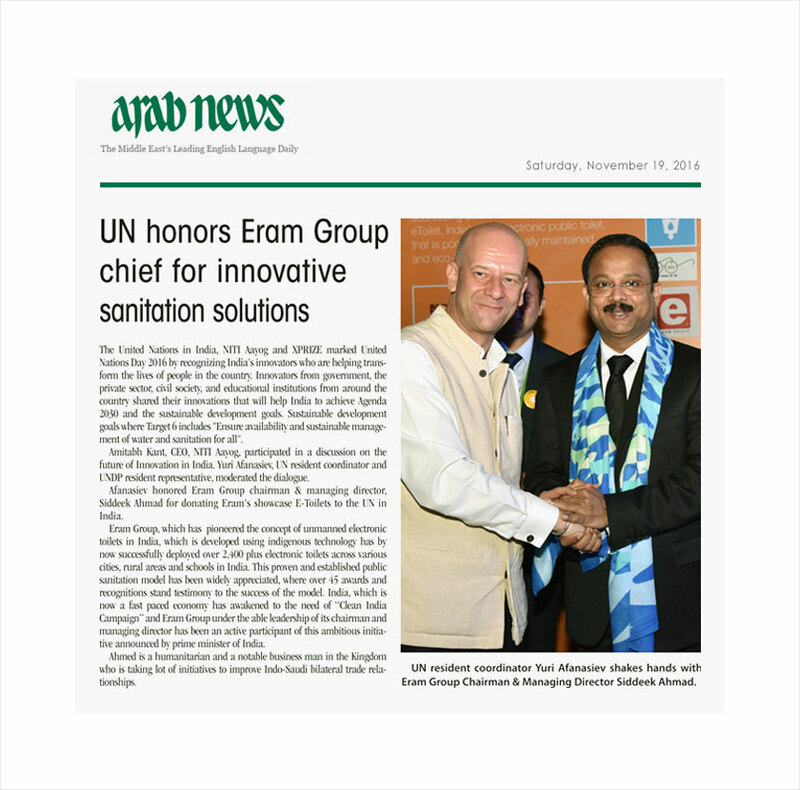 Mr. Afanasiev honoured ERAM Group Chairman and Managing Director Dr. Siddeek Ahmad for donating ERAM's showcase E-Toilets to the UN in India. Kozhikode: Paleri village in Kuttiadi panchayat of Kozhikode district will soon have a world-class educational institution for special needs children. The foundation stone for the institution was laid by Dr. Siddeek Ahmed, CMD, Eram Group the other day in the presence of A K Saseendran, State Transport Minister; T P Ramakrishnan, Excise Minister; Parakkal Abdullah, E K Vijayan, C K Nanu, V Ramachandran Master, all MLAs; M P Ahmed, Chairman, Malabar Group; Dr. V Edrees, Trustee and Chairman, Thanal Foundation and other eminent parsons from social, cultural and political fields of Malabar. Thanal (meaning 'shelter' in Malayalam) School has been designed by renowned architect G Shankar who has envisaged over 50,000 sq. ft. of built-up space adhering to stringent sustainability norms. There will be an administration block, two school blocks, commercial block, common dining and kitchen, dispensary, amphitheatre, athletic track and a playground. The institution will cater to children with cerebral palsy, autism, mental retardation, multiple disability, visual impairment, hearing impairment and learning disability. 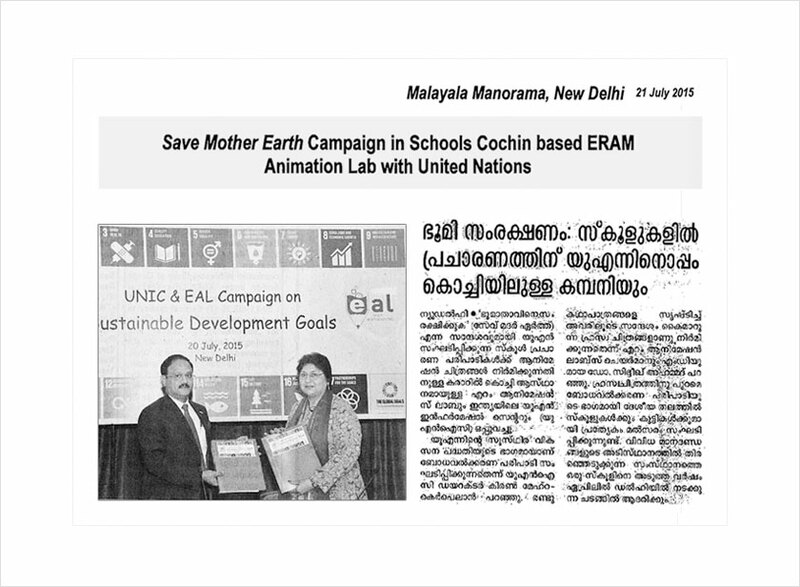 Eram Group Supports Open Defecation-free Kerala Initiative. 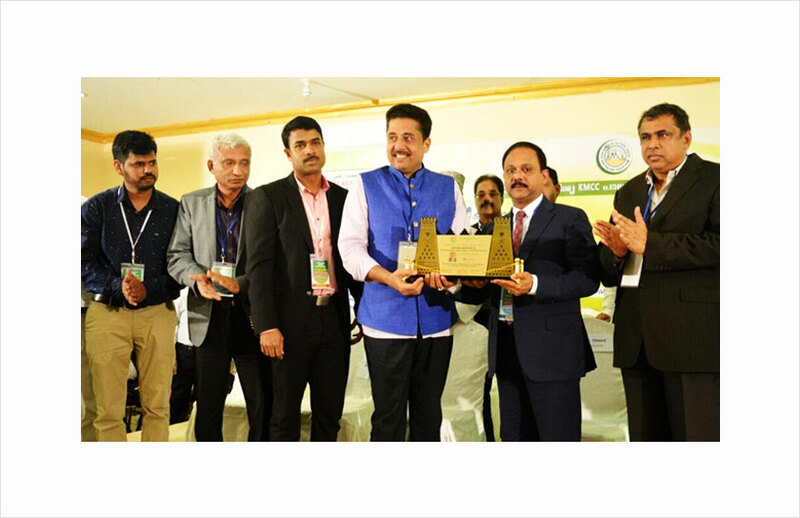 Dr. Siddeek Ahmed, leading NRI businessman and Chairman & Managing Director of Saudi-based Eram Group, received the Special Award instituted by the Chembai Vidya Peedam. 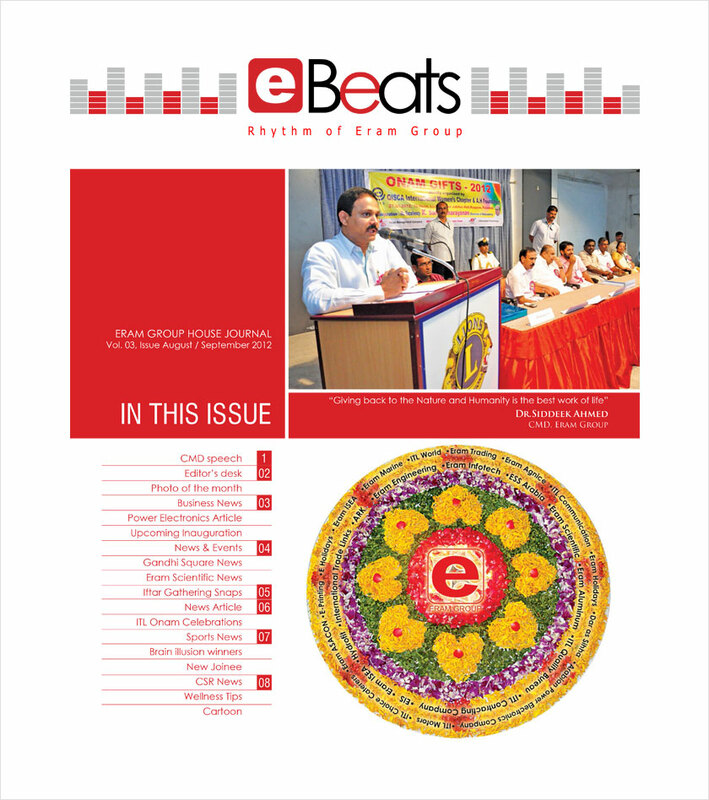 A K Balan, State Minister for Law and Cultural Affairs, presented the award to Dr. Ahmed at a colourful function organised in connection with Chembai Music Festival marking the 120th birth anniversary of Chembai Vaidyanatha Bhagavatar. He was selected for the award, the first for an individual in 31 years, by taking into consideration his valuable contributions to the educational, social, cultural and humanitarian fields. Among 500 Change Dealerships Pan India, 4 of them were chosen and Eram Motors was the first name which was announced to the club and was the youngest in the category. The company were competing with 60yr, 50yr, 45yr, 25yr dealers and won the price. Eram Motors had to maintain few mandates given by Mahindra through a financial year; volume of sales, parameters of customer satisfaction, quality of work and retention etc. 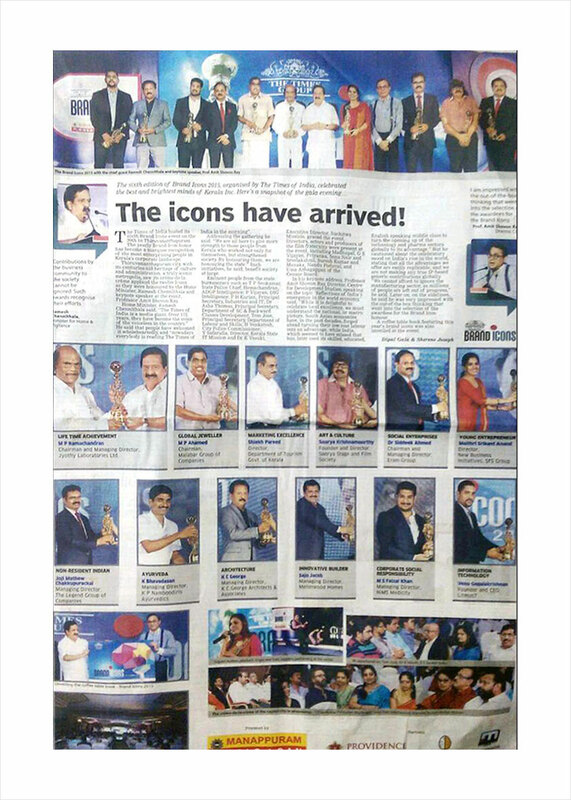 and it was a proud moment for the Management and the team members of Eram. DUBAI: Prominent Indian businessmen in the Gulf region have said that Britain may reap the benefits of Brexit in the short and medium term from the "protectionism" but investors will have to deal with the UK and EU separately, raising complexity in managing economic and political ties. They also suggested that it is better to "wait and watch" for the picture to get clearer following the historic polls. "Resident Britishers may reap the benefit in short and medium term from the protectionism consequent to the Brexit. However, it is an unfortunate event both for Europe and the world at large," Dr Sideek Ahmed, a prominent Indian investor based in Saudi Arabia, GCC and the UK, said. "While the economic and financial impact of Brexit itself is big, the geopolitical impact is even bigger. For Saudi Arabia and the GCC, we will now have to deal with the UK separate from EU, adding one more level of complexity in managing economic, financial and political relationships," Sideek said. He also said the world needs stronger bonding across nations and regions. He, however, said it remains to be seen how the decision impacts oil prices in the long run. The members of the GCC are Bahrain, Kuwait, Oman, Qatar, Saudi Arabia, and the UAE. "Along with many businesses with operations in the UK and Europe, we will be working through the implications of the news," said Mehul Kapadia, Managing Director of F1 Business at Tata Communications. 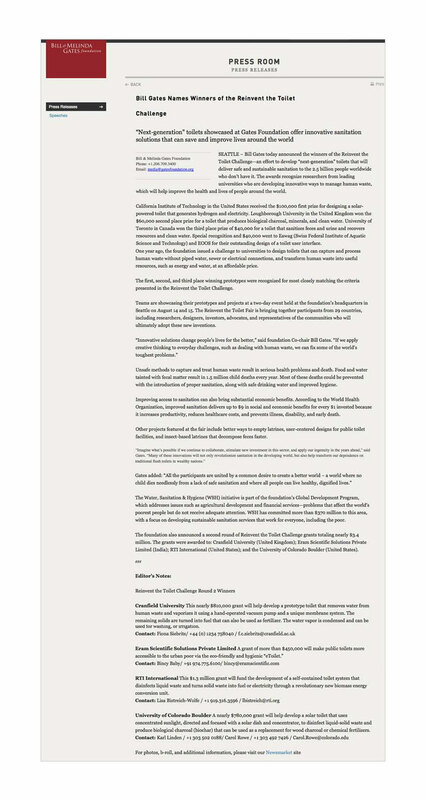 Kapadia also shared Tata Sons' statement issued following the British referendum. "There are currently 19 independent Tata companies in the UK, with diverse businesses. Each company continuously reviews its strategy and operations in the light of developments, and will continue to do so. Access to markets and to a skilled workforce will remain important considerations," the Tata Sons statement said. However, Kamal Vachani, Regional Director of ESC Dubai and Director of Almaya Group, said Brexit will benefit trade and travel industry as UK pound will be cheaper in the short term. "UK is a very popular destination and it will become more affordable to visit," he said. Vachani said that Indian investments in UK companies will get a boost while goods and services coming from the UK will become cheaper. "Real estate in UK in general has very good financial condition and thus UK companies will be more competitive," he said. Vachani also said that Indian companies will benefit from the decision as UK companies will be looking for new partners. THE Saudi 'Vision 2030' is based on three pillars, of which the first one is the Kingdom's status as the heart of the Arab and Islamic world. While unveiling the Vision, Deputy Crown Prince Muhammad Bin Salman, second deputy premier and minister of defense, emphasized that the Kingdom will do its utmost to ensure that Muslims from around the world can visit the Holy Sites. "We recognize that Allah the Almighty has bestowed on our land a gift more precious than oil. Our Kingdom is the Land of the Two Holy Mosques, the most sacred sites on earth, and the direction of the Kaaba (Qibla) to which more than a billion Muslims turn at prayer," he said while asserting "Our vision is a tolerant country with Islam as its constitution and moderation as its method." Underlining the essence of the Vision 2030, the Deputy Crown Prince said: "Our nation is the core of the Arab and Islamic worlds and represents the heart of Islam. We are confident that, God willing, we will build a brighter future, one based on the bedrock of Islamic principles. We will continue to excel in performing our duties towards pilgrims to the fullest and promote our deep-rooted national identity." The principles of Islam will be the driving force for the Kingdom to realize its great Vision. The values of moderation, tolerance, excellence, discipline, equity, and transparency will be the bedrock of its success. In this scenario, religious tourism attains top priority in the Vision 2030 as the Kingdom has the privilege to serve the Two Holy Mosques, the pilgrims and all visitors to the blessed holy sites. In serving Umrah pilgrims, Saudi Arabia has assumed a prominent place in the world and has become synonymous with hospitality and a warm welcome to all Muslims. In the last decade, the number of Umrah visitors entering the country from abroad has tripled, reaching eight million people. The Vision envisages enriching pilgrims' spiritual journeys and cultural experiences while in the Kingdom. The Kingdom's priorities in the Vision with regard to attracting religious tourists include setting up of more world-class museums, preparing new tourist and historical sites and cultural venues, and improving the pilgrimage experience within the Kingdom in its capacity as a treasure trove of Islamic heritage, and historical sites.The Vision aims to increase the Kingdom's capacity to welcome 30 million Umrah pilgrims in place of the current annual figure of 8 million. The highlight of religious tourism in the Vision will be augmented by the ambitious initiative of Saudi Commission for Tourism and National Heritage (SCTH). Prince Sultan Bin Salman, president of SCTH, recently said that the Post Umrah Program is a key part of 'The Kingdom is destination of Muslims' initiative. He said the program aims at enabling Umrah performers to see the country's landmarks, historical sites, tourist attractions and shopping centers. They might also opt to make cultural, medical, educational and shopping tours, visit exhibitions and attend conferences after having completed Umrah, he said. "We want to link a Muslim to his roots — religiously, culturally and emotionally," he said, adding, that it is never just an economic or financial project. He cited the procedure of automatic conversion of an Umrah visa to a tourist one, which was once subject to discussion with several agencies. Non-Umrah visa holders could also avail themselves of the opportunity to join the Post Umrah Program. 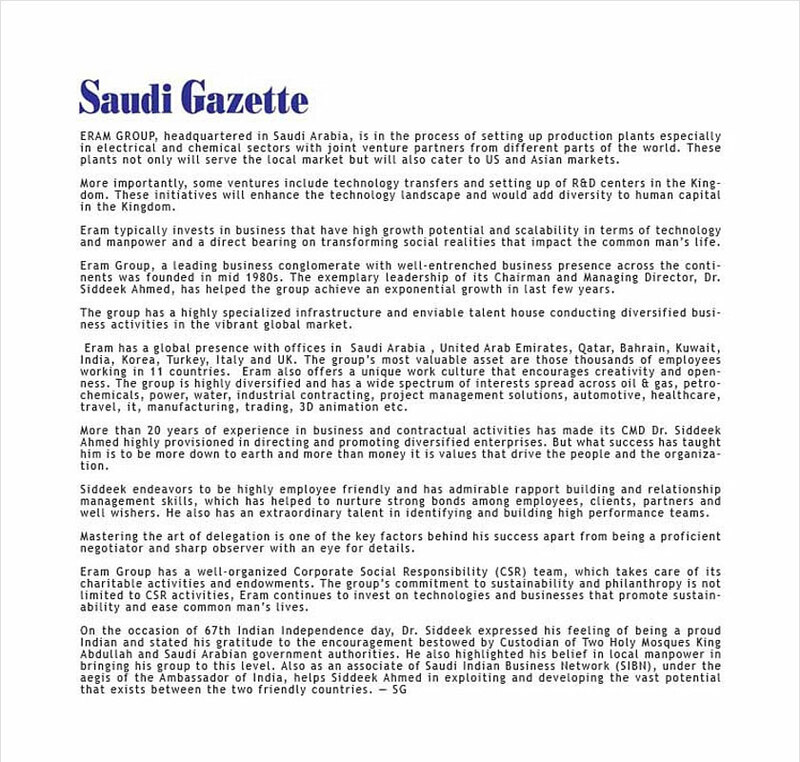 Khaled Almaeena, Saudi Gazette's Editor at Large and managing partner of QUARTZ Communications, said that the Vision can turn into reality with its implementation takes its course at the hands of qualified and right people. Pilgrims from all over the world have to get a chance to see the vast treasure of ancient Islamic historic and heritage sites across the Kingdom. The Vision will be a golden opportunity to project and display the richness of Islamic culture and heritage of Saudi Arabia in front of the Muslims from every nook and corner of the world. "It is unfortunate that many historic and heritage sites have been removed. However, the serious efforts being made by SCTH to preserve the remaining ones are extremely commendable. Apart from highlighting the cultural treasures, the Vision will also provide an added economic value for the Kingdom, which is keen on reducing the dependence on oil and diversifying its sources of revenue." On his part, Dr. Siddeek Ahmed, chairman and managing director of Eram Group & ITL World, congratulated the great visionaries of the Kingdom for formulating the Vision 2030, since it would be beneficial not only for the Saudi citizens but also to the expatriates as well. He specially thanked Deputy Crown Prince Muhammad Bin Salman, the architect of the Vision and the National Transformation Program (NTP). "In my humble point of view, change is inevitable in every 15 to 20 years in all sectors. The proper understanding of the real pulse of the people and economy plays a key role while formulating the concept of revamping. Focusing on non oil revenue is highly recommended and a special thrust on post Umrah tourism is indeed a very good idea," he said while underscoring that the blend of traditional values with a modern and global outlook is ideal for the Kingdom's tourism. Ahmed also stressed the need to create awareness globally about the Kingdom's Islamic archeological treasures and rich tradition, most of which are among the unexplored areas. The proposed World's best Islamic museum in Riyadh is significant in this respect. "Saudi Arabia's road, rail and air connectivity are a big plus point. The tourism expense such as transportation, recreation, food & beverage, restaurants and hotels is minimum compared to other tourism destinations in Middle East, which is an added value for the Kingdom's religious tourism sector. Ahmed noted that Princess Nourah Bint Abdulrahman University is the largest university for women in the world, and King Abdullah University of Science and Technology (KAUST) boasts of having the fastest growing research and citation records in the world, which are unaware to most of the world unfortunately. Educational voyage, MICE and Experience Saudi are the other areas, which can give importance in regard to tourism sector. Also sports tourism is another area, which Kingdom can focus. In the implementation stage, consulting and opinion gathering with the other stakeholders like tourism operators and travel agents are very important to understand the real pulse of the foreign travelers. Conducting seminars even in other countries through Saudi embassies are also needed to create awareness. Ahmed suggested of appointing an official spokesman for the Pilgrim tourism updates. Authorized travel agents can also propagate with the marketing collaterals to their customers, he said. "No doubt Saudi Arabia is the world Muslims' destination besides its role as a peace maker. Being an owner of a travel management company I extend my wholehearted support to the country which gave me all good blessings," he added. Mohammed Alungal, president of Al-Abeer Group, congratulated Deputy Crown Prince Muhammad Bin Salman for his bold and excellent initiative to come out with the Vision 2030, which will bring about remarkable positive changes in all spheres of Saudi life, benefitting both Saudis and expatriates. "The Vision's thrust on tapping full potential of religious tourism will be a great service to the Islamic Ummah as a whole. Pilgrims from various parts of the world can benefit from the positive merits of tourism in the Kingdom unlike many other Muslim countries. Muslim tourists who prefer destinations such as Dubai are not in a position to enjoy this religious aspect of tourism," he said while emphasizing that the Vision will unearth the huge non-oil economic potential of Saudi Arabia, which sits on the world's largest oil reserve. Alungal sees bright future for health and medical tourism in the Kingdom. He also called for a thrust in the higher education sector and opening of off campuses of world-class universities. "The proposed Green Card will be a boost for many expatriate investors to pump their investments into the Kingdom's vital sectors," he said adding that he wants to grab the Green Card whenever it started issuing for the expatriates. Khalid Al-Dabbagh, who served at Saudi Aramco and Royal Commission in Yanbu for more than three decades, said that the Vision 2030 has been instrumental in shifting the priorities of Saudi people who hitherto had the assumption that oil is everything in their life. Saudi Aramco, the world's largest oil producer and exporter, is now going to sell part of its stake so as to ensure the Saudi citizens' participation, besides ensuring more transparency in its overall functioning, and of course, it is a fabulous initiative, Al-Dabbagh said. The entire Saudi nation appreciates the bold initiative of Deputy Crown Prince Muhammad Bin Salman for presenting this excellent blueprint. "The Vision is now the talk of the entire nation, and everywhere — on streets, markets, offices, city squares, as well as on television and social media — the Vision is the hot topic of discourse," he said noting that Saudis in all corners of the globe also talking about the prospect of a shining future of the Kingdom, to be brought about by the Vision 2030. "Now we are preparing ourselves to take up Vision 2030, besides preparing our kids to embrace it." According to Al-Dabbagh, Muslims all over the world would be the beneficiaries of this great initiative. "The pilgrims from all over the world can benefit from the benefits of religious tourism and post Umrah program. It shows the visitors what the birthplace of Islam keeps in its trove for them. Dr. Siddeek Ahmed receives the Heart Care Foundation (HCF) Social Excellence Award 2016 on Sunday 17th April 2016 at a function held at Lisie Hospital Aditorium, Ernakulam, India. Kerala Public Service Commission (PSC) Chairman, Dr K S Radhakrishnan was the chief guest of the program. 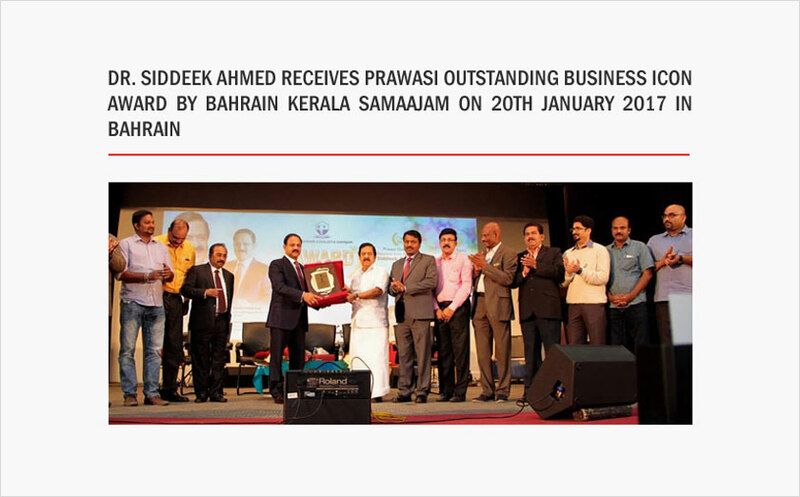 JEDDAH: A prominent Dammam-based Indian expat businessman and philanthropist, Dr. Siddeek Ahmed, who runs the Eram group of companies, has received the International Humanitarian Award in Malaysia. 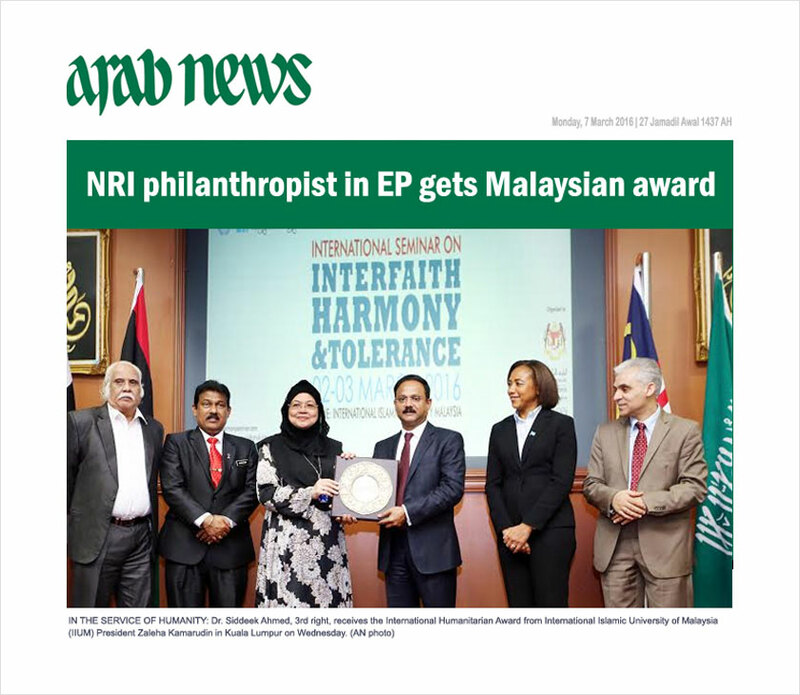 He accepted the award — instituted by jointly by the OIC-funded International Islamic University of Malaysia (IIUM) and Kerala's Ma'din Academy — from IIUM President Zaleha Kamarudin in Kuala Lumpur. The awarded is in recognition of his "consistent efforts and significant contributions to enhance the quality of life for hundreds of thousands of people in various parts of the world," according to a press statement. The delegates were moved by the rather unconventional and humble acceptance speech by Ahmed in which he paid homage to his mother for instilling philanthropic values in him during his impressionable years. "It is not just the responsibility of educational institutions to instill values in children, but it is imperative for parents and foster families to teach children to reach out to the underprivileged people," said Ahmed. The award is part of the annual International Interfaith Harmony Conference jointly organized with the Department of National Unity and Integration, Prime Minister's Department, on its campus on Wednesda. 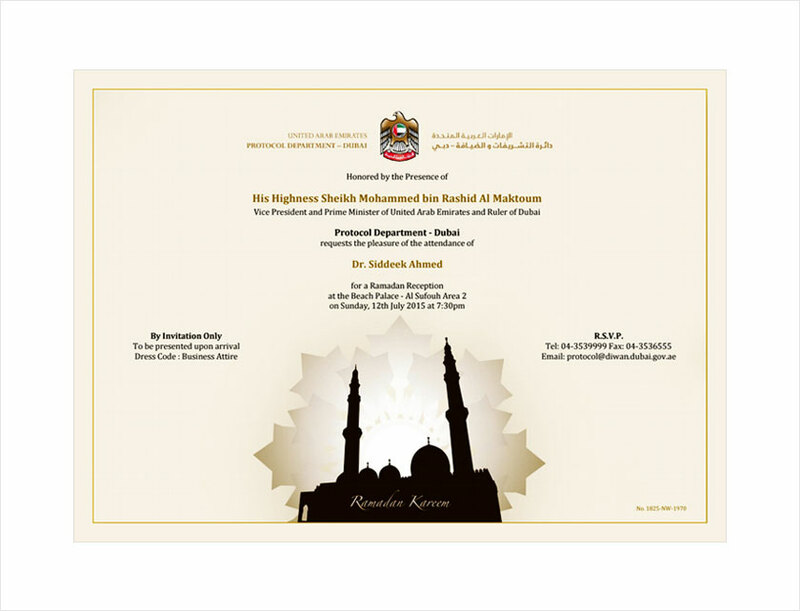 The past recipients of the award include Sheikh Nahayan Mabarak Al-Nahayan, Adel Al-Falah, Yasser Mohammed Abdo Yamani and Yusuffali M.A. "Ahmed embodies the philosophy of leadership which is focused on creating collaborative new space in the service of others," said the jury, headed by Dr. Robert Dickson Crane, an adviser to the late US President Richard Nixon. Eram Scientific has been working in the field of community hygiene and sanitation. Recently, it received the Bill & Melinda Gates Foundation Grant for Reinvent the Toilet Challenge for conducting research on toilet hygiene, non-depletion of water resources and energy conservation solutions. 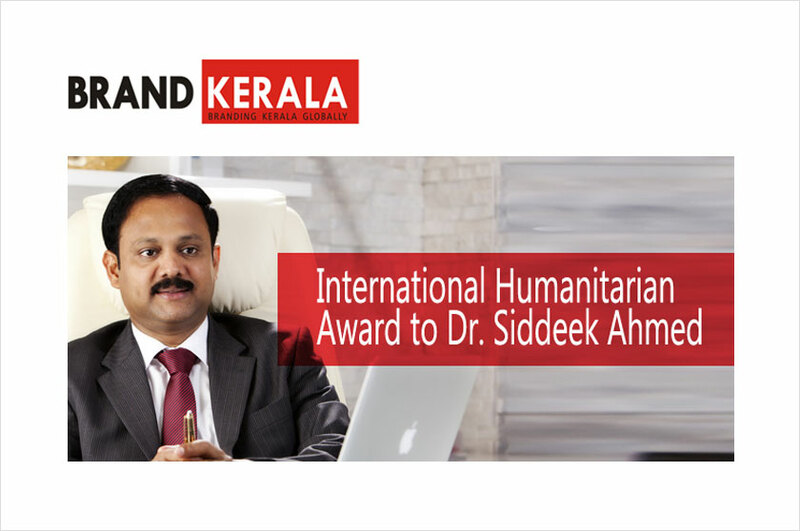 Dr. Siddeek Ahmed, Managing Director of Eram Group, has been selected for the prestigious 'International Humanitarian Award' in recognition of his contributions to enhance the quality of life of fellow human beings. 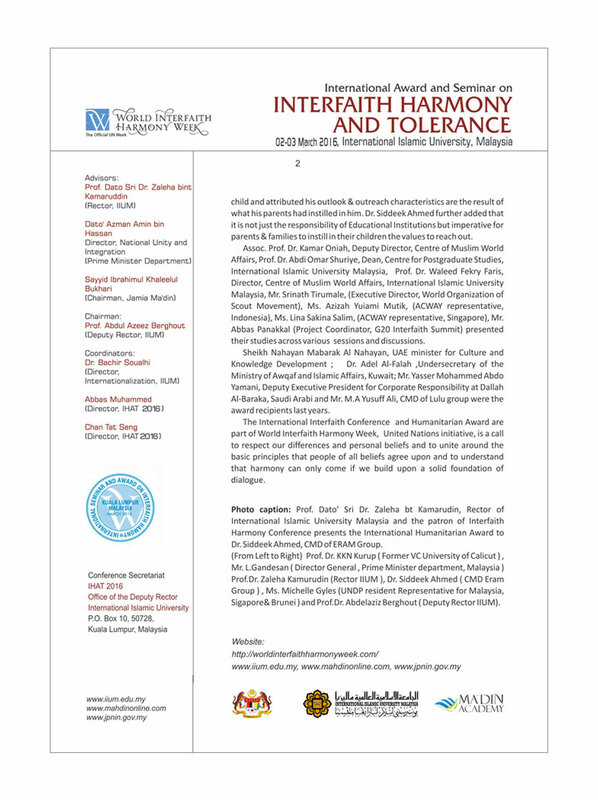 The award will be presented in the International Interfaith Harmony Conference, jointly organized by Department of National Unity and Integration, Prime Minister's Department, Malaysia; International Islamic University Malaysia; Ma'din Academy, India on Wednesday 2nd March 2016 at International Islamic University, in capital city of Malaysia. The organizing committee of International Interfaith Harmony Conference and jury of IHAT Awards selected Dr. Siddeek Ahmed, a Nonresident Indian business man, closely evaluating his dedicated contribution in the field of humanitarian services. 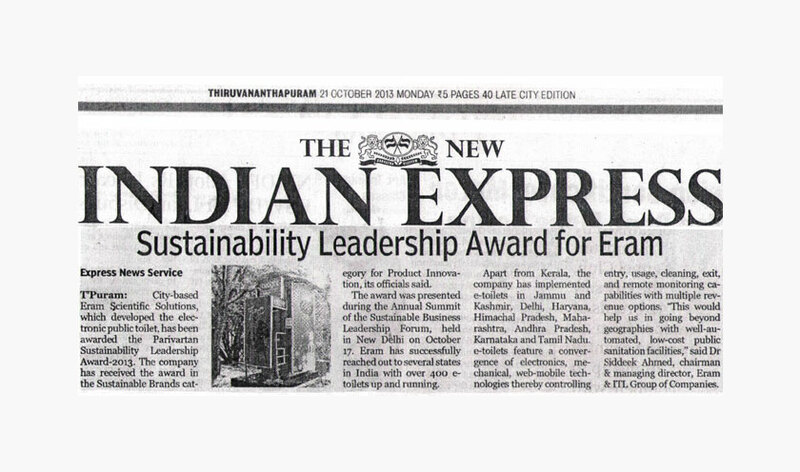 "The contributions of Dr. Siddeek in the development of Humanitarian events and services, especially E- toilets in the Indian villages and adaptation of a district to ensure its hunger free status, are credible and convincing reasons selecting him for this prestigious award" the jury stated. "Dr. Siddeek is a great humanitarian who formed and implemented various projects to enhance the quality of life of fellow human beings. He embodies the philosophy of leadership which is focused on creating collaborative new space in the service of others" the jury, comprising Dr. Robert Dixon Crane, the secretary to former US president Richard Nixon and the advisor of International Interfaith Harmony Initiative; Prof. Abdel Aziz Berghout, Deputy Rector of International Islamic University, Malaysia; Sayyid Ibrahim Khaleel Al Bukhari, Chairman of Jamia Ma'din, India; Chan Tat Seng, director of Religious Relations Unit at Department of National Unity and Integration, Prime Minister's Department, Malaysia, commented in a joint statement along with official declaration of the remarkable Humanitarian Award. A number of humanitarian aid initiatives like AH Foundation, We Care Association, have been implemented under the leadership of Dr. Siddeek Ahmed to empower socially and financially backward people and destitute. He supports businesses and entrepreneurs who can make a positive impact on people's lives and selflessly cater to the needs of society at large. Eram Scientific, under the leadership of Dr. Siddeek has been for its work in the field of community hygiene and sanitation. 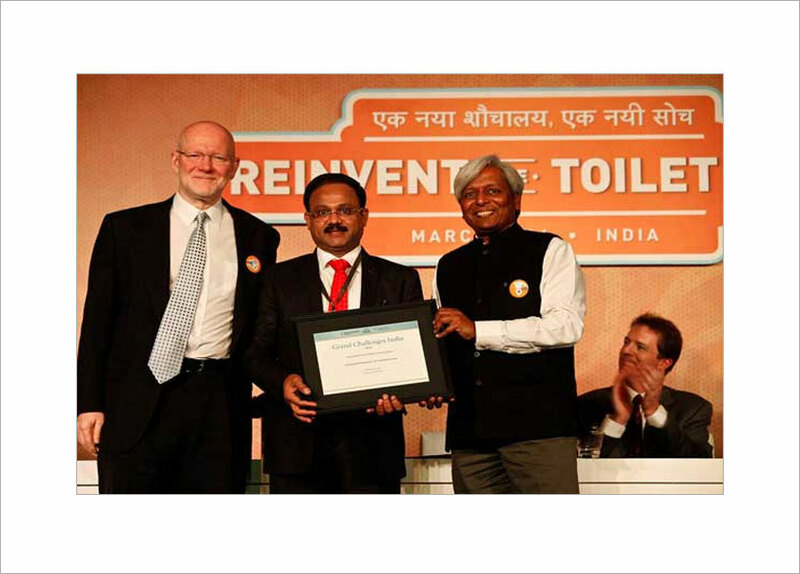 Recently, the company received the Bill & Melinda Gates Foundation Grant for the Reinvent the Toilet Challenge. Eram Scientific Solutions conducting research on maintaining toilet hygiene, ensuring non-depletion of water resources and energy conservation solutions. The International Interfaith Conference and Humanitarian Award are part of World Interfaith Harmony Week, United Nations initiative, is a call to respect our differences and personal beliefs and to unite around the basic principles that people of all beliefs agree upon and to understand that harmony can only come if we build upon a solid foundation of dialogue. The recipients of Humanitarian award in previous years includes Sheikh Nahayan Mabarak Al Nahayan (UAE minister for Culture and Knowledge Develpment) in 2015, Dr. Adel Al-Falah ,Undersecretary of the Ministry of Awqaf and Islamic Affairs in 2014, Mr. Yasser Mohammed Abdo Yamani, Deputy Executive President for Corporate Responsibility at Dallah Al-Baraka, Saudi Arabia, in 2013 and Mr. M.A Yusuff ali, (CMD of Lulu group) in 2012. 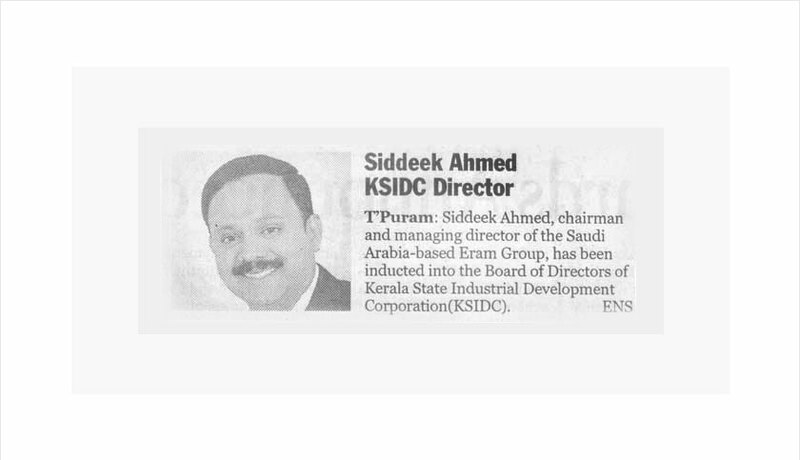 JEDDAH: Dr. Siddeek Ahmed, a non-resident Indian businessman and managing director of Eram Group, has been selected for the International Humanitarian Award in recognition of his contributions to enhance the quality of life of fellow human beings. 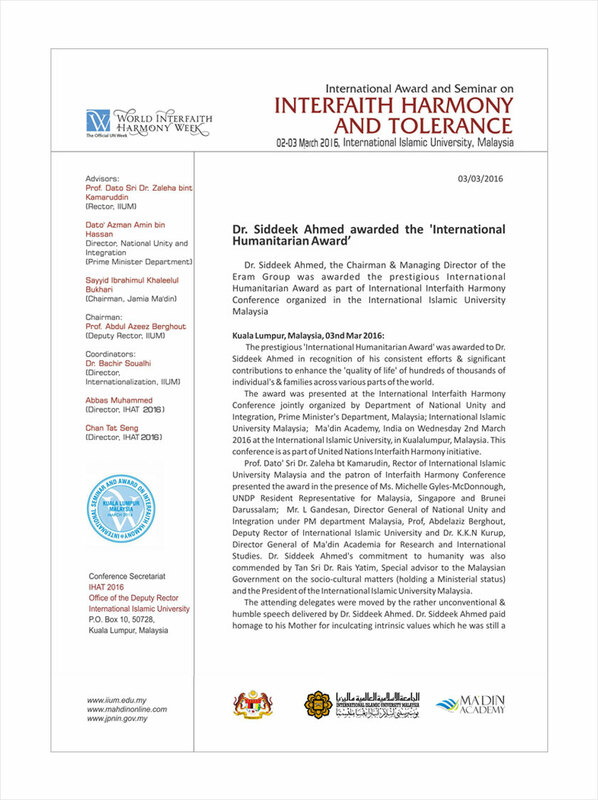 The award will be presented at the International Interfaith Harmony Conference, jointly organized by Department of National Unity and Integration, Prime Minister's Department, Malaysia; International Islamic University, Malaysia; Ma'din Academy, India, at International Islamic University Kuala Lumpur on March 2. The award and the conference are part of United Nations' International Interfaith Harmony Week initiative, which was proclaimed by UN General Assembly and especially observed to unite religious believers and faith groups around the world. The award session will be led by Tan Sri Rais Yatim, special adviser to the Malaysian government on the socio-cultural matters with ministerial status and president of International Islamic University Malaysia. The organizing committee of International Interfaith Harmony Conference and jury of IHAT Awards selected Siddeek Ahmed closely evaluating his dedicated contribution in the field of humanitarian services. 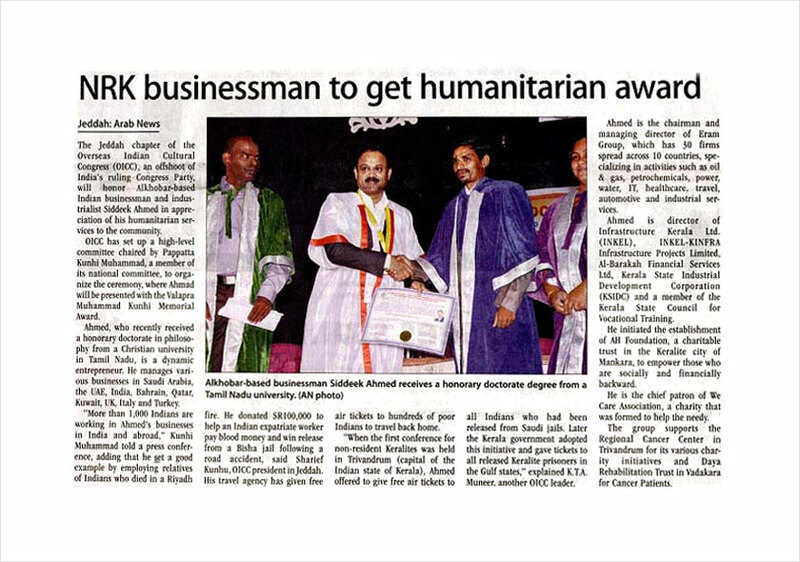 "The contributions of Dr. Siddeek in the development of Humanitarian events and services, especially E- toilets in the Indian villages and adaptation of a district to ensure its hunger free status, are credible and convincing reasons selecting him for this prestigious award," the jury stated. A number of humanitarian aid initiatives like AH Foundation, We Care Association, have been implemented under the leadership of Siddeek Ahmed to empower socially and financially backward people and destitute. Kozhikode District Tourism Promotion Council ( DTPC ), is organising an interactive workshop on Fri, 26th Feb 2016, in partnership with Indian Institute of Management, Kozhikode, to explore the possibilities of positioning the district as an experiential holiday destination. The Workshop run in partnership with IIM-K, will identify themes, destinations, experiences and itineraries that can be promoted to domestic and international markets. Outcome of the workshop will be shared with International / National trade shows, starting with the worlds largest travel trade show ITB Berlin, Germany between 9-13 March 2016.
" 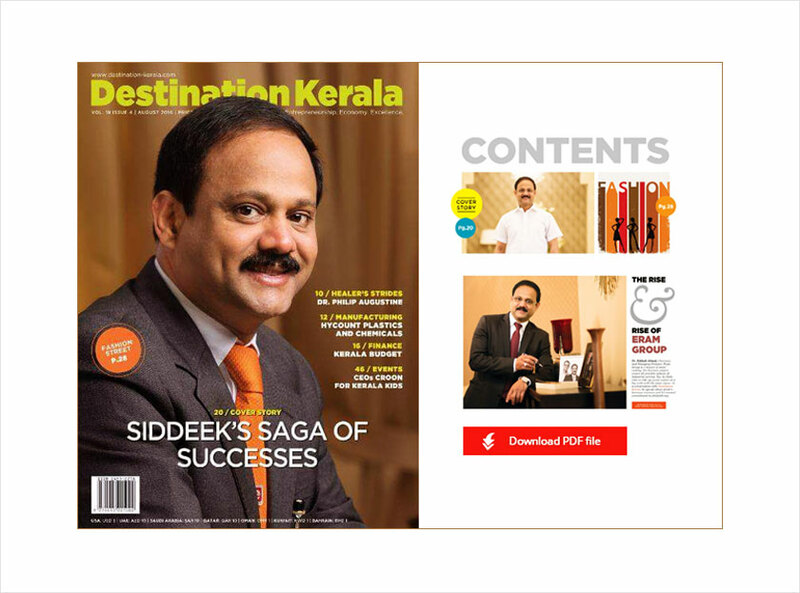 As Kozhikode is going through a community oriented, crowd sourced and consultative destination development initiative under the District Administration in the last one year, this is the right time to engage decision makers and owners from Hotels, Resorts, Homestays, Restaurants, Travel and Tour Companies. Civil Society organisations working in the space of ( and not limited to ) Culture, Heritage, Environment, History, Livelihood etc can play a key role to develop a kind of tourism that's Conscious, Responsible and Sustainable for our people and places." This first workshop is part of a series of workshops that DTPC is planning to organise in the coming months to design, implement and promote an Experiential Destination and work closely with other districts in the Malabar region. Event will conclude with a Kalaripayattu Performance by Hindustan Kalari Sangam and Bamboo Orchestra by Vayali Folklore group. Palakkad: Industries and IT Minister P K Kunhalikutty inaugurated KINFRA Industrial Park and laid the foundation stone for KINFRA Defence Park, country's first defence industrial park in the public sector, at Ottapalam in Palakkad district recently in the presence of MLA M Hamsa, Industries and IT Principal Secretary P H Kurian IAS and KINFRA MD Dr. G C Gopala Pillai. An MoU (Memorandum of Understanding) was signed with ERAM Group Managing Director Dr. Siddeek Ahmed for setting up a food processing unit in the Park on the occasion. The handing over of the allotment of the Stand Design Factory (SDF) to Blissful Apparels Private Limited for starting a textile unit was also held. Giving Ottapalam a key position on the industrial map of Kerala, KINFRA Industrial Park spread over 83 acres of land near the Palakkad-Ponnani State Highway has better road and rail connectivity. The park will have common security services, streetlight, rainwater harvesting facility with potable water supply system, dedicated power supply system and a green belt. A part of the 'Make in India – Make in Kerala' project, the Rs. 231.35-crore KINFRA Defence Park is set up under the Modified Industrial Infrastructure Upgradation Scheme (MIIUS) of the Department of Industrial Policy and Promotion. The plan is to set up the park with all modern infrastructure facilities exclusively for the component manufacturers of defence industry. The industrial units in the cluster will be given shared infrastructure facilities for innovative product development. The project is expecting a Central assistance of Rs.50 crore. The 2016 Sait Nagjee Trophy was the 36th edition of the Sait Nagjee Football Tournament and the first edition of the tournament since 1995. 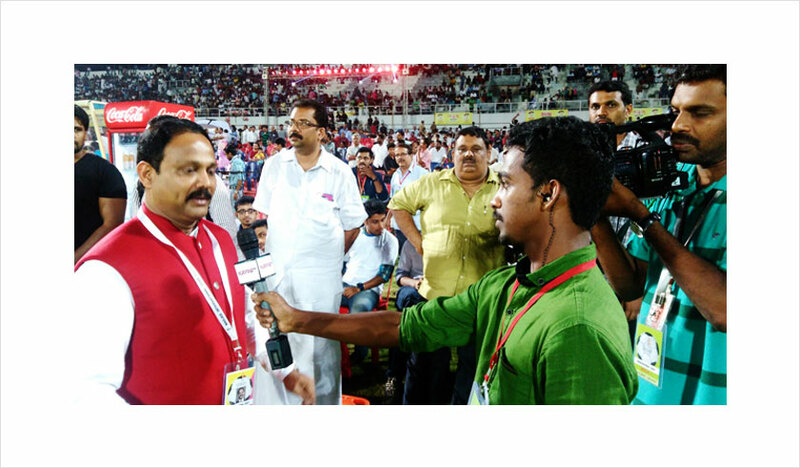 This tournament was organized by the Kozhikode District Football Association (KDFA) under the patronage of Dr. Siddeek Ahmed, President KDFA, and was held in Kozhikode, Kerala, India, from 5 February to 21 February 2016. Along with clubs from different parts of the world, the Argentina U-23 national team also took part in the tournament. 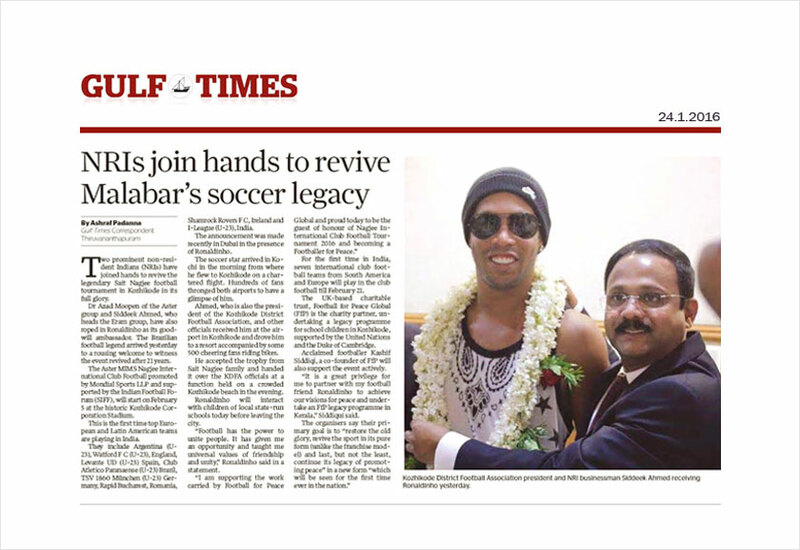 Brazilian footballer Ronaldinho is the brand ambassador for the tournament. 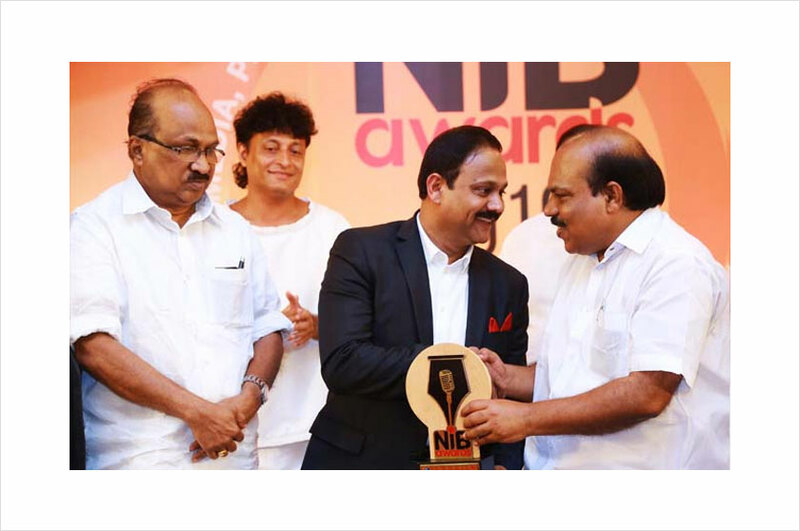 Kochi, 22.02.2016: The second NIB award, being organised jointly by the Ernakulam Press Club and the Public Relation Council of India (PRCI), Kerala Chapter, had distributed at a function on February 20 (Saturday) at Hotel Radisson Blue. 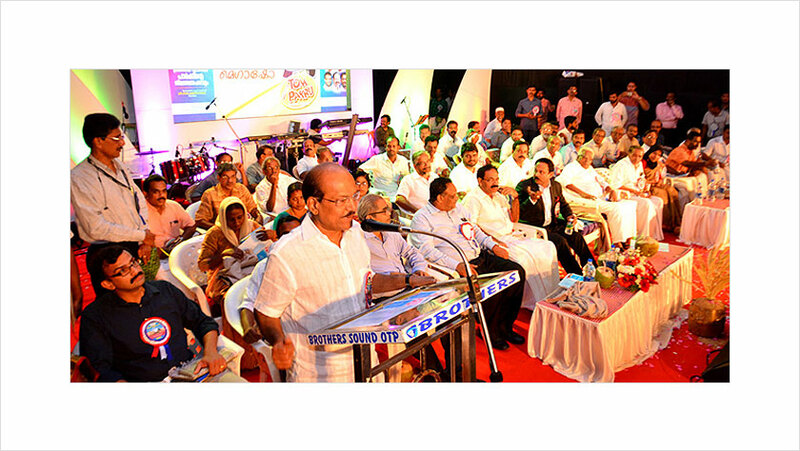 Kerala PWD minister Ibrahim Kunju distributed the awards in the presence of eminent personalities. PAC chairman Prof K V Thomas, former MP P Rajeev, Hiby Eden, MLA, PRCI chief mentor M B Jayaram, PRCI National president B N Kumar, PRCI Director General K Ravindran, Press Club president K Ravikumar, Press Club Secretary S Unnikrishnan, PRCI Kerala Chapter Chairman U S Kutty, Secretary T Vinayakumar had offered their felicitations. Around 50 awards in the field of media, PR, house journal/news letter had distributed in the function. There were separate awards given for journalists and photographers in the print and visual media who have excelled in their work. Business Ikon 2016 award to Dr Siddeek Ahmed and Global Innovation & Excellence award to Dr Muhammed Majeed, managing director Sami Labs Ltd were also been awarded. 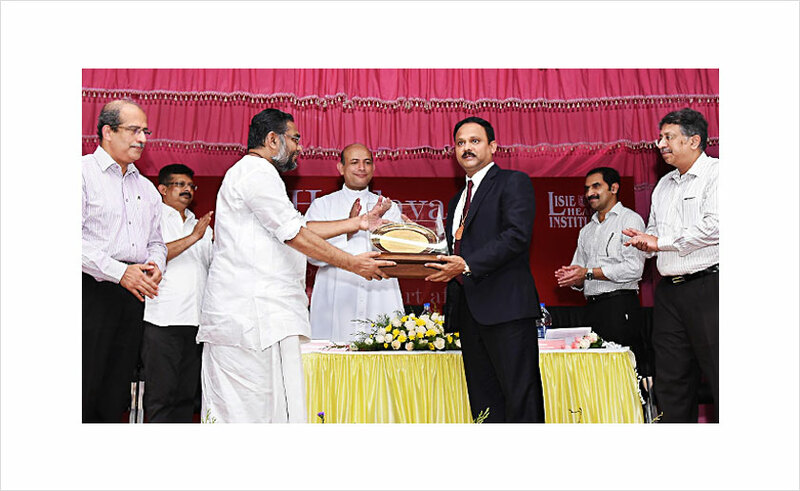 Excellence in Public Administration award – P H Kurian, IAS, (Principal Secretary Industries & IT), Best Social Work – Bobby Chemmannur (Chemmannur International) and PR Manager of the Year - K R Pramod - (Mathrubhumi) were the other awards. 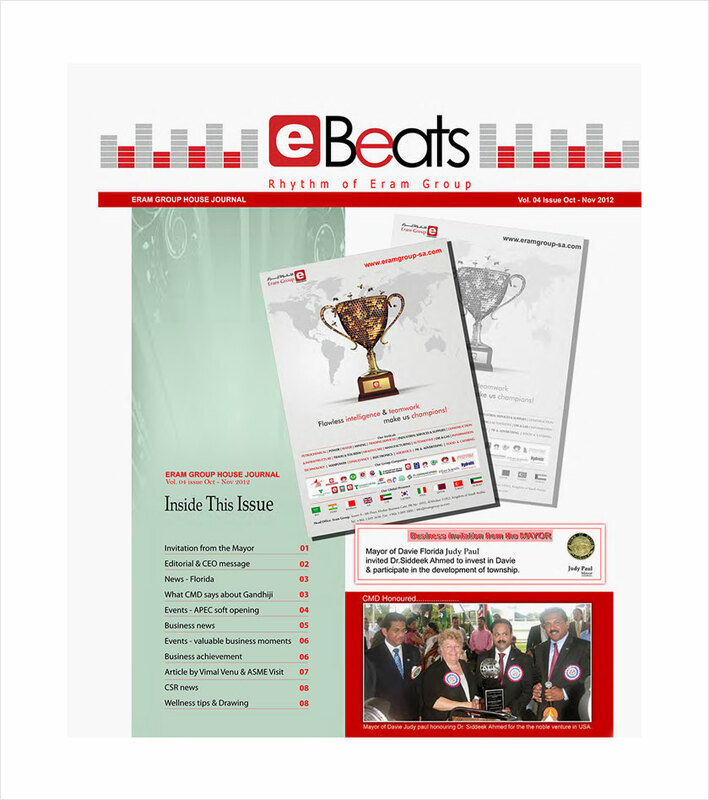 In the category of newsletter/house journal - Indian Oil (Kolkota, Mumbai, Panipat, Chennai), Western India Coalfields, Bank of India, NTPC, Yes Bank, BEML, BPCL, BHEL, KIMS, JK Group, FACT, UAE Exchange, KSRTC, Dainik Bhasker, etc had won awards. In connection with the NIB award we organised a Media/PR conclave at 10 AM on February 20th at Hotel International, Ernakulam. 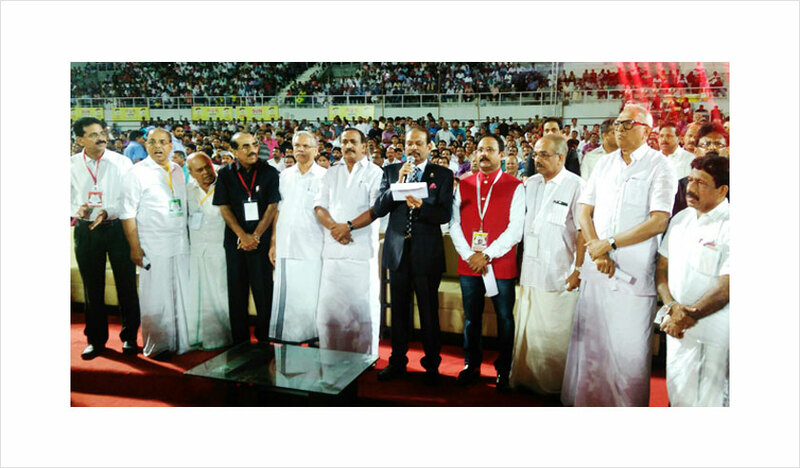 Cochin corporation mayor Soumini Jain inaugurated the Conclave. Asianet Associate Editor S Biju, Times of India Kerala Editor Manoj K Das, former executive director of NTPC R K Nair, PRCI national president B N Kumar etc spoke on different topics. More than 100 students and eminent personalities from media attended the conclave. 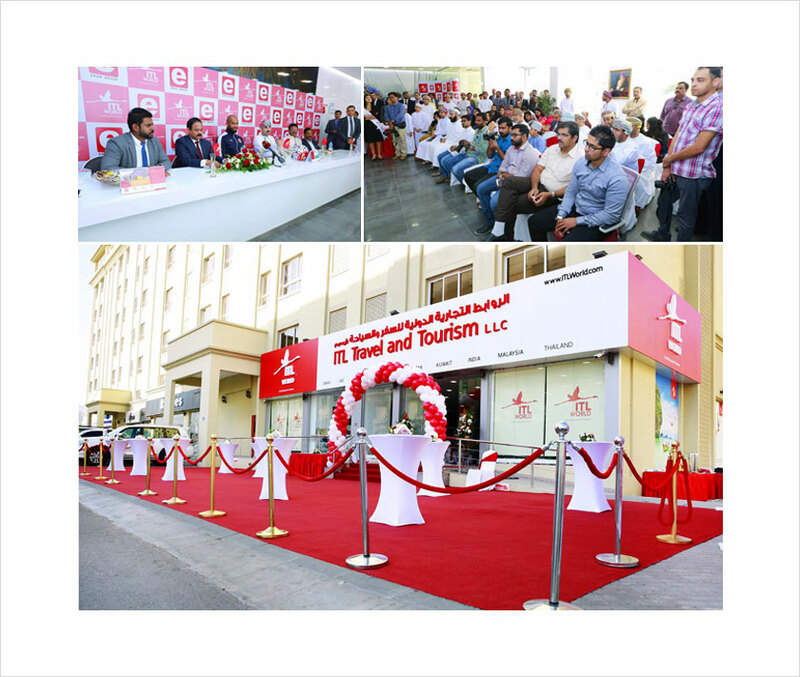 Muscat - ITL World, a leading travel management company, in the Middle East and part of Eram Group of Companies opened its first office in Muscat on Wednesday. The office, located in Al Khuwayr was inaugurated by Ali al Habsi, Oman's national team captain and goalkeeper, in the presence of Naseer al Salti, owner, ITL World office in Muscat. 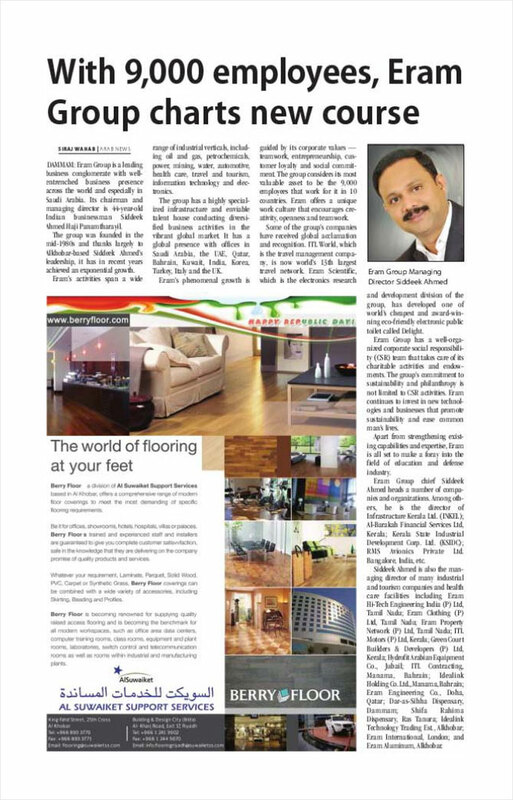 Dr Siddeek Ahmed, managing director, Eram Group of Companies, said, "By 2020, ITL World plans to have 200 offices in the world. We are excited to associate with a legend like Ali al Habsi." Rafeeq Mohammed, chief operating officer, ITL World, said, that the company is extending the deadline for discounts on all holiday packages. "We had earlier announced that we would provide 35 per cent discount on all holiday packages purchased today [Wednesday]. We are happy to announce that the 35 per cent discount would now be extended till February 4." Catering to a diverse portfolio of clientele, ITL World is the parent brand of Miceminds, Arabian Experience, EduVoyage and offers travel solutions to government entities, corporates, Meetings, Incentives, Conferences and Events (MICE), luxury, sports, wellness and student travels. This is ITL World's 35th office in the world. 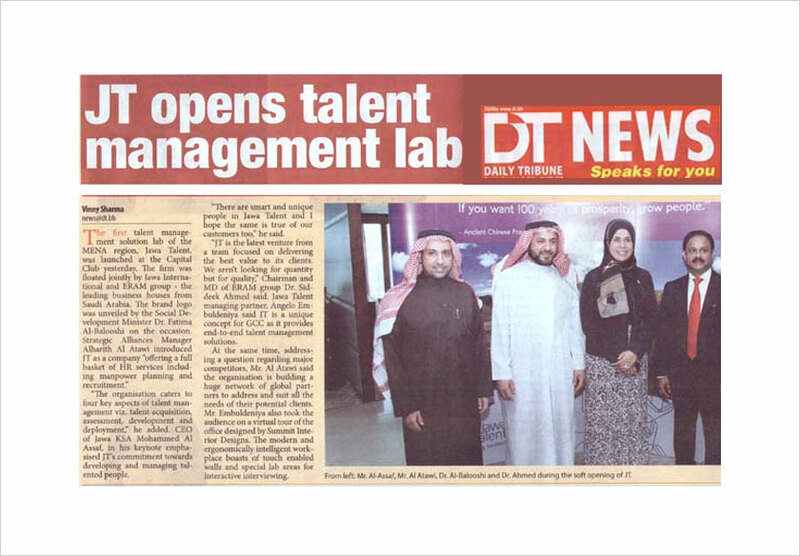 Ali al Habsi was in for a surprise at the inauguration of ITL World's new office in Muscat on Wednesday, where he met his aunt, Baby Maryam H after nearly six years. 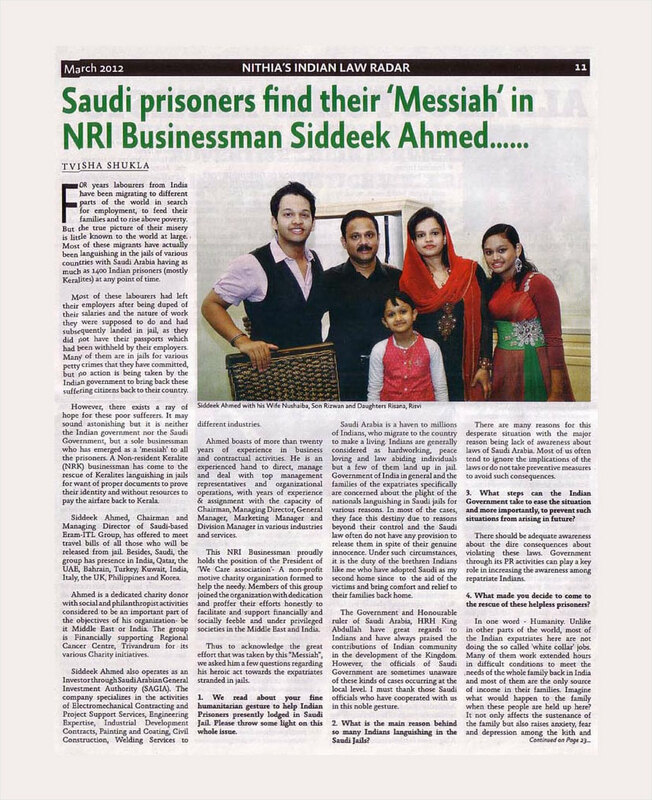 Naseer al Salti, owner, ITL World's office in Muscat said, "I know both families well and I wanted to surprise the two. Although Maryam did the flower arrangements for the inauguration of our new office, she did not know that Habsi would be inaugurating it." Oman's Leading Footballer & English Club's Leading Goal Keeper Ali Al-Habsi along with Eram Group CMD Dr. Siddeek Ahmed Inaugurates ITL World's 35th Office - the first in Muscat, Oman on Wednesday,27th Day of January 2016. The Brazilian Football Legend Ronaldinho handing over the Nagjee trophy to the KDFA President Dr. Siddeek Ahmed and Team on Sunday 23rd January 2016 at Kozhikode, India. The Nagjee international club football tournament to be held at the Corporation Stadium in Kozhikode from 5th to 21st February 2016 and Ronaldinho will be the brand ambassador of the Tournament. Mr. M.A Yusuff Ali, Lulu Group Managing Director, welcomes Dr. Siddeek Ahmed – the Managing Director of Eram Group. 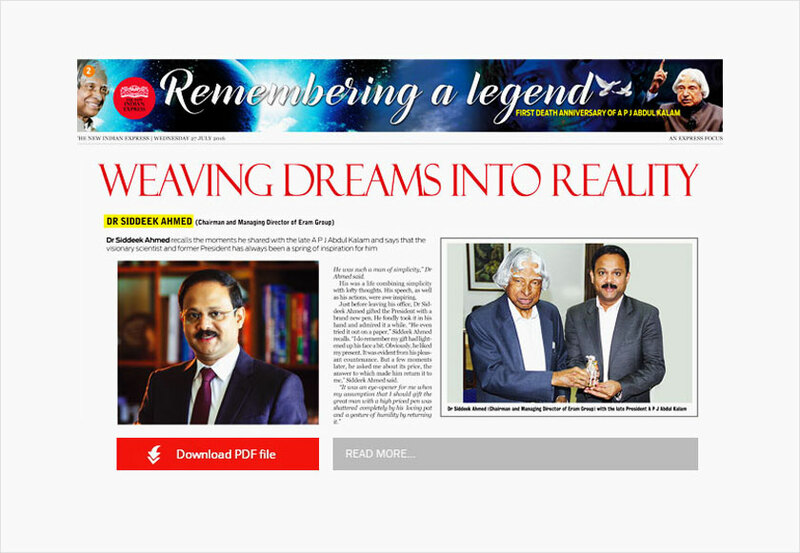 Dr. Siddeek Ahmed Eram Group is being conferred Global Business Leadership Award by Dr. M. Ayyappan, CMD, HLL & Mr. Ramachandran Pillai, CMD, National Textile Corporation & Mr. MSA Kumar, CEO, AVT Mcormic Ltd.
Mr. K.K. 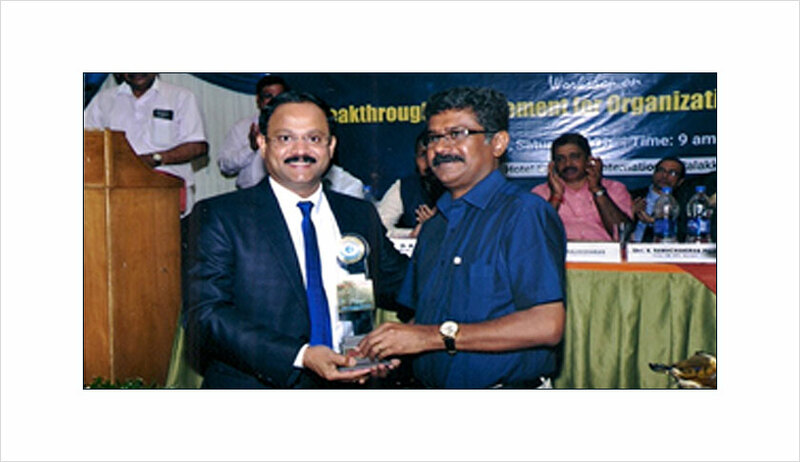 Babu is being conferred outstanding Entreprener of the year by Dr.Sideek, CMD, Eram Group. 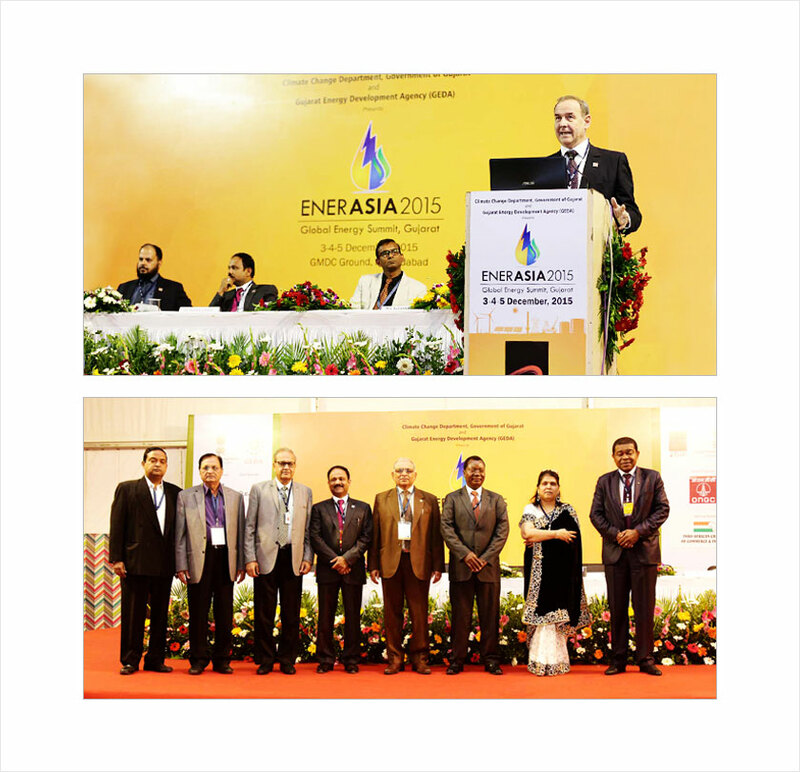 Eram Group CMD Dr. Siddeek Ahmed and its top officials participating in ENERASIA 2015 (Global Energy Summit) and INDO-AFRICAN CHAMBER OF COMMERCE & INDUSTRIES 1 for Africa mega event at Guajarat, India on December 2015. 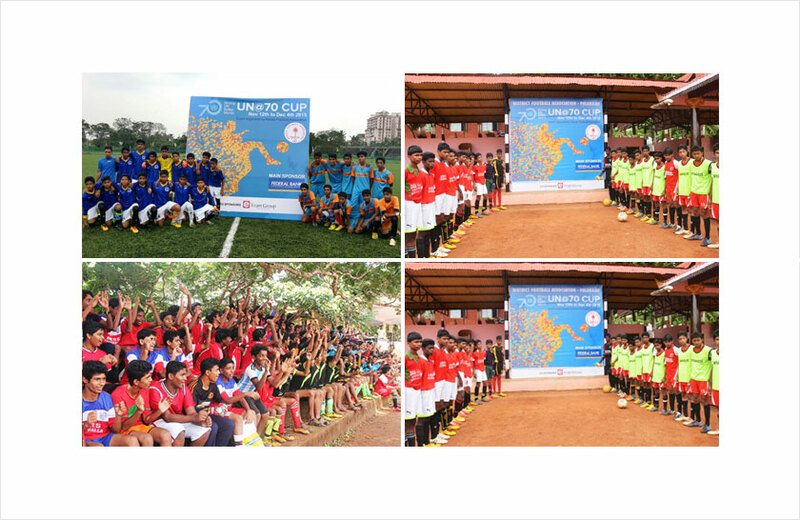 4th December, 2015: The UN@70 Cup, an All Kerala Inter-school Football Tournament in celebration of the seventieth anniversary of the United Nations came to its conclusion at the EMS Corporation Stadium in Calicut on 4th December 2015. Former England goalkeeper, Peter Shilton who has played in three World Cups, was the chief guest for the final match of the UN@70 Cup. The legend received a very warm welcome in the football loving district of Calicut, and was mobbed by fans both young and old for autographs and pictures. Speaking to the press after the event, he said that he enjoyed watching the final match, and observed that some of the young players were in good form with some good saves during the match. The tournament, which was conceptualized by Eram Group Chairman, Dr. Siddeek Ahmed and organized by the Kerala Football Association, attracted nearly 5000 children from across all 14 districts of Kerala, with Farook HSS (Calicut) emerging as the winners (4-0) of the UN@70 Cup against St. Augustines, Thrissur. Kerala Football Association (KFA) President Mr. K M I Mather addressed the audience regarding the KFA's vision to boost football in Kerala, while Mrs. Kiran Mehra-Kerpelman and Mr. Rajiv Chandran (Director and National Information Officer respectively of the UN Information Centre for India and Bhutan) applauded the young players and underlined the relevance of such events in the context of the UN's Sustainable Development Goals which aim for healthier and better living conditions for all. Calicut's district collector Mr. N Prashant IAS, who is well known for connecting with the locals through his social media savvy ways also turned up at the event to motivate the children. 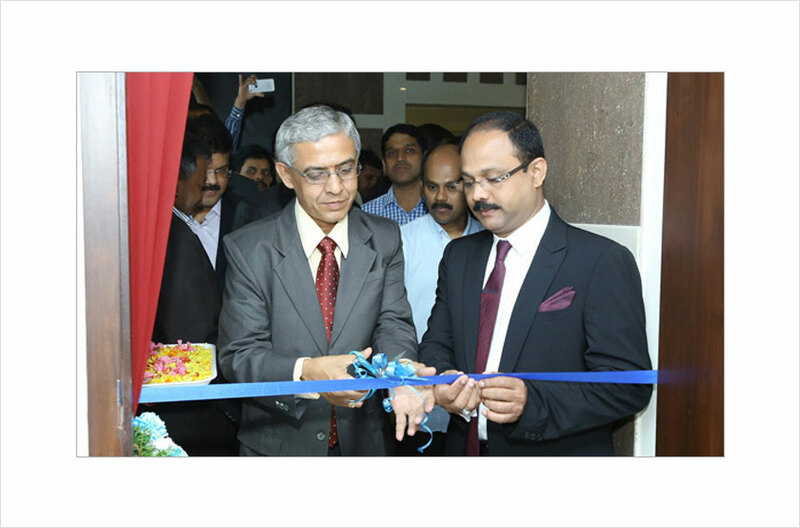 Federal Bank was the key sponsor of the event while Eram Group gave away cash prizes of Rs. 50,000 to the winner and Rs. 25,000 to the runner-up respectively. The key objective of the tournament was to promote football at the grassroots level and to encourage children to maintain healthy lifestyles by stepping outdoors to play real football on the field, as opposed to virtual, simulated football on phone or computer screens , said Mr. Bijoy D.Das , the Project Director of UN@70 football cup 2015 . Peter Shilton's visit caught the attention of the local press and created a buzz among the district's football lovers. Much loved playback singer and music composer, Shahabaz Aman who resides in the city also turned up to watch the match and beguiled the audience with a lively sing-along with the children post match. 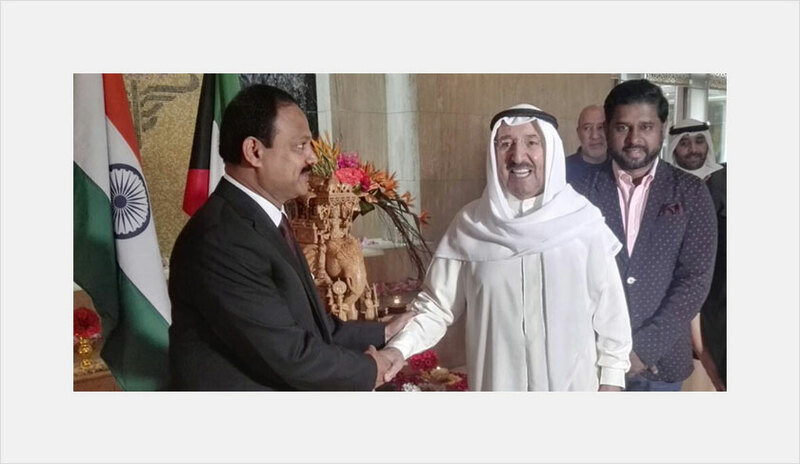 JEDDAH – Several expatriate Indian business leaders have come forward to alleviate the suffering of people affected by the devastating floods that swept through the southern Indian metropolitan city of Chennai. 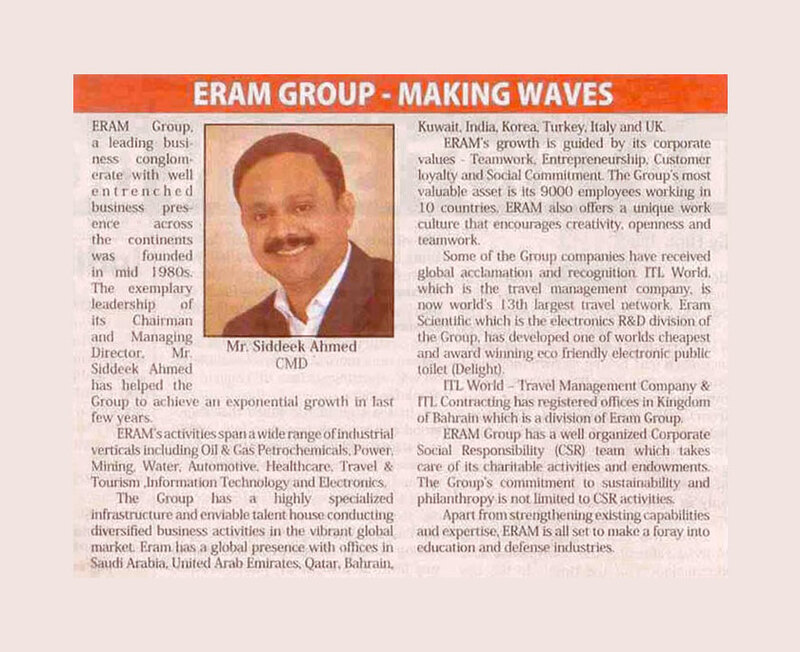 Dr. Siddeek Ahmed, managing director of Eram ITL Group, is one among them. The Saudi-based group has donated 20 million rupees. Speaking to Saudi Gazette, Ahmed said that his group's volunteers were in action to help the residents of Chennai, which got the heaviest rains in 100 years. 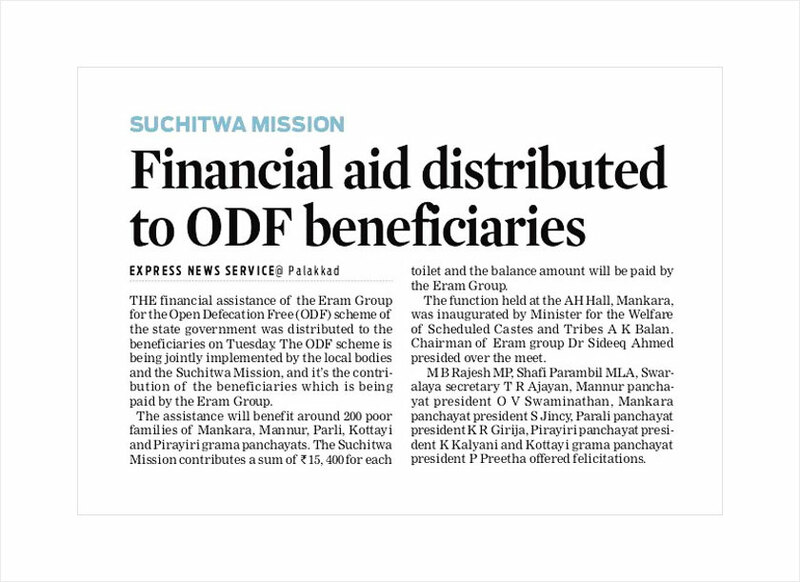 "The group started making available its assistance through the relief schemes of two leading Malayalam newspapers — Mathrubhumi and Malayala Manorama, by extending them Rs. 10 million each. Kerala Chief Minister Oommen Chandy congratulated Ahmed for his humanitarian gesture to come forward to help the badly affected people in the neighboring state of Tamil Nadu. 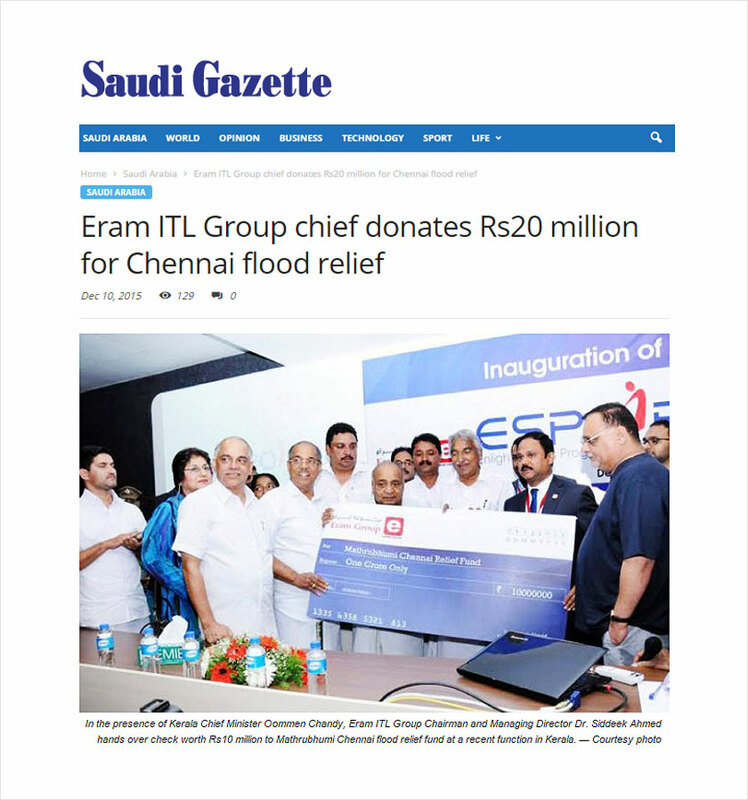 "The rescue and relief efforts being made to help the Chennai flood victims deserve wide applause, and organizations like Eram ITL Group have set an example to be emulated by all in the humanitarian field," he said while speaking at a recent function held to handover checks of Rs 10 million to Mathrubhumi Chennai Flood Relief Fund. Mathrubhumi Managing Director M.P. Veerendrakumar and Managing Editor P.V. Chandran received the check from Ahmed. "The amount is being spent to meet the emergency requirements of the Chennai residents for food, drinking water and other necessities. 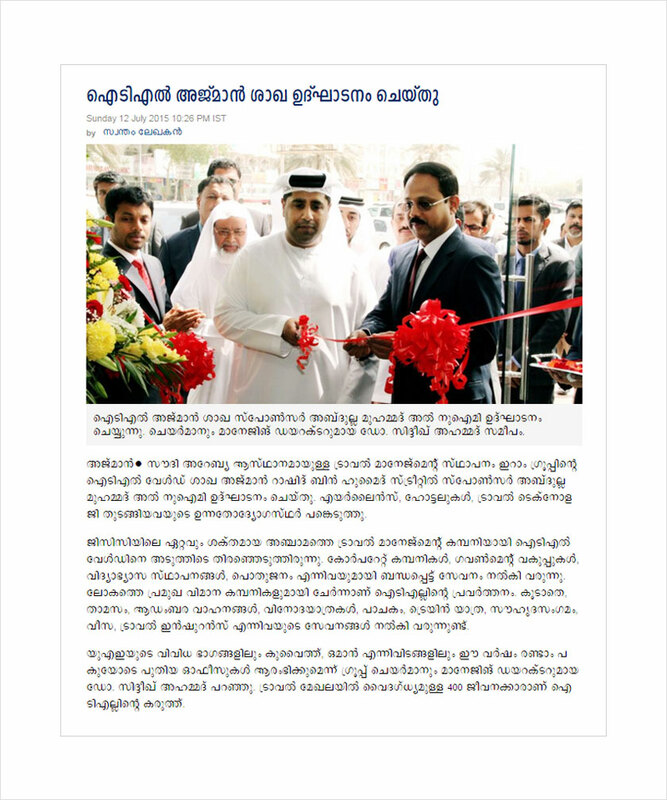 An equal amount of Rs 10 million is being spent for distributing medicines and medical supplies for the flood-affected people and this is through Malayala Manorama newspaper's relief initiative," Ahmed said, adding that instructions have been given to concentrate the relief work mainly among the poor and needy people, especially those in slum areas. He said Veerendrakumar, and Mammen Mathew, chief editor and managing director of Malayala Manorama, are in touch with him with regard to the relief work being carried out in Chennai, and that his group is getting field reports about the same at regular intervals. Ahmed said the donations have been made as part of Eram Group's commitment towards social responsibility and community support. The group consistently makes efforts to extend practical support to the poor and needy, be it financial aid, medical and educational support or disaster relief. "What prompted me to extend the humanitarian assistance is the belief that helping the people in distress is my obligation toward the creator of the universe," he said. "Wealth is a trust (amanat) from Almighty Allah and our role is that of its custodian. Distributing money to alleviate the suffering of people is of paramount importance and it is the driving spirit behind our group's humanitarian initiative after the flood disaster in Chennai," he said while underlining the need for collective efforts of the entire people of the country in helping the people in distress. "This is a traumatic time for Chennai residents and they need all the help they can get to recover from the impact of this flood. I humbly encourage my fellow Indians to cut down on extravagant New Year celebrations and use those funds instead to lend a helping hand. Let us extend all our support to the victims and pray that this does not happen again anywhere else in the world." Ahmed also instructed to cancel the annual events of celebrations meant for the group employees to show the group's solidarity with the flood affected people. "This is also a mark of respect to the large number of our staffers from the state of Tamil Nadu who have contributed immensely to the robust growth of our group. We are also keen to see life limping back to normalcy in Chennai, which was one of the few destinations of Keralites before the Gulf boom," he pointed out. 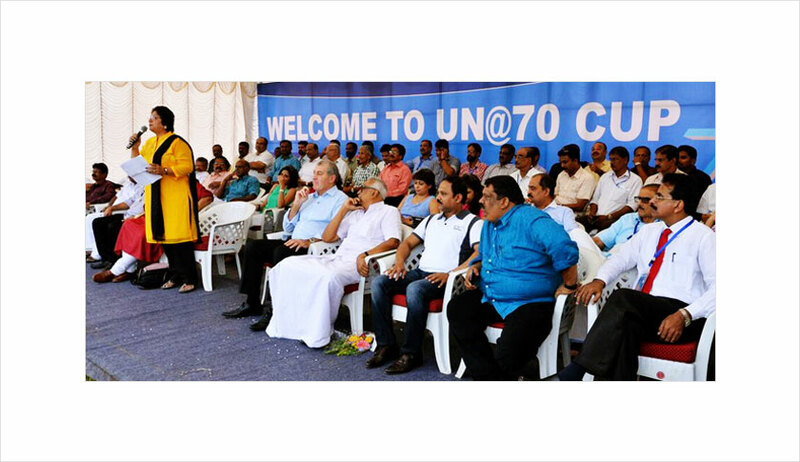 The United Nations at 70 (UN©70) Cup, organised by the Kerala Football Association (KFA) has kicked off on November 12. This program is envisioned by Dr. Siddeek Ahmed, Managing Director, Eram Group, and chairman, competition committee, KFA. With an eye on bringing big matches to the State, the Kerala Football Association has appointed Siddeek Ahmed, the Managing Director of the Eram Group of companies, as its new competitions committee chairman. 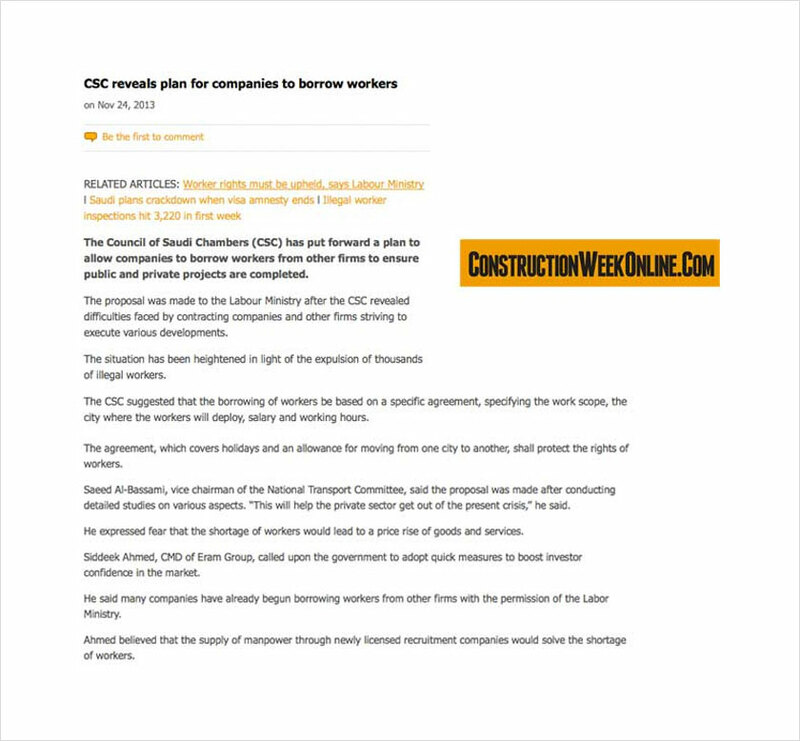 "He has more than 40 companies across the globe, mainly in the Gulf, and we want to utilise his connections. 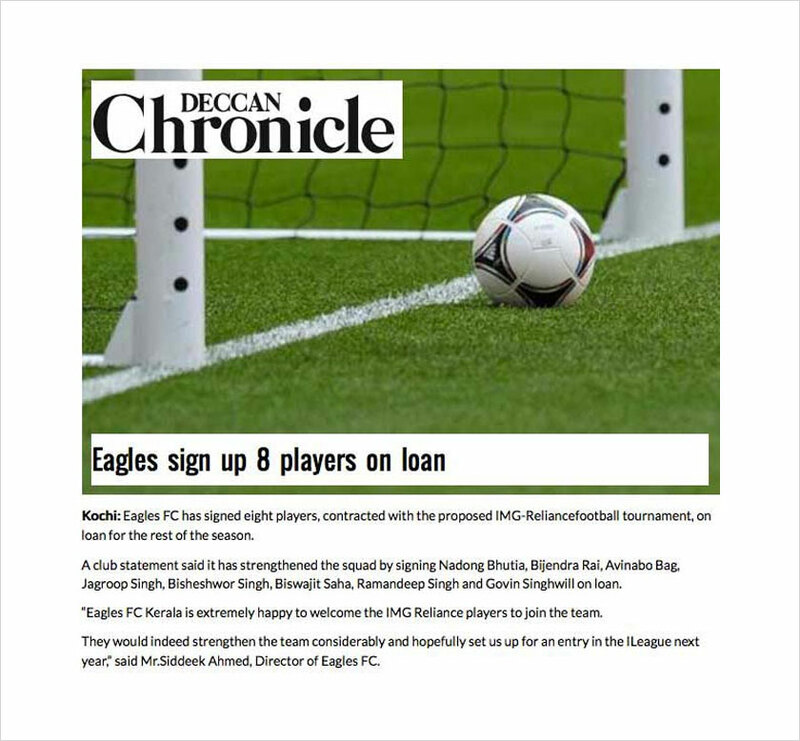 We want to create more competitions with international tie-ups and even international friendlies. There could also be a United Nations schools football event," said KFA general secretary P. Anilkumar on Friday evening. 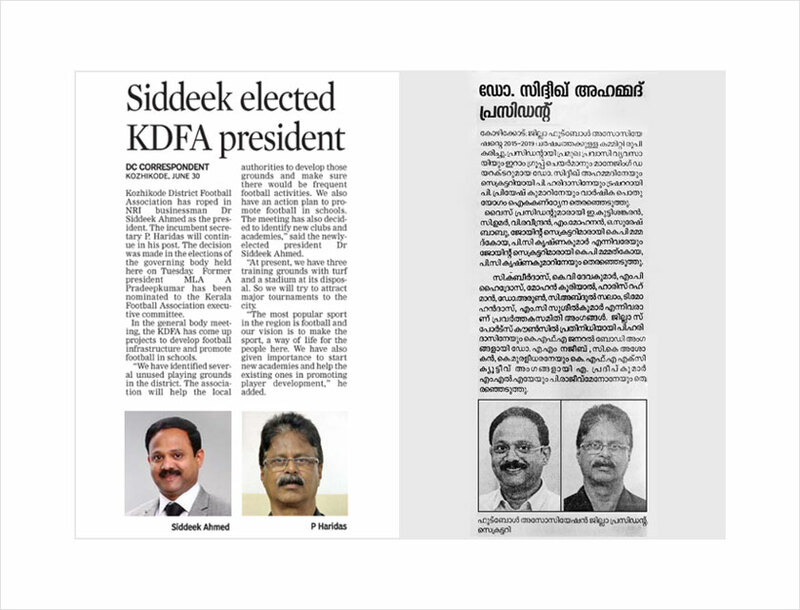 Siddeek Ahmed is also the president of the Kozhikode District Football Association. — Special Correspondent. 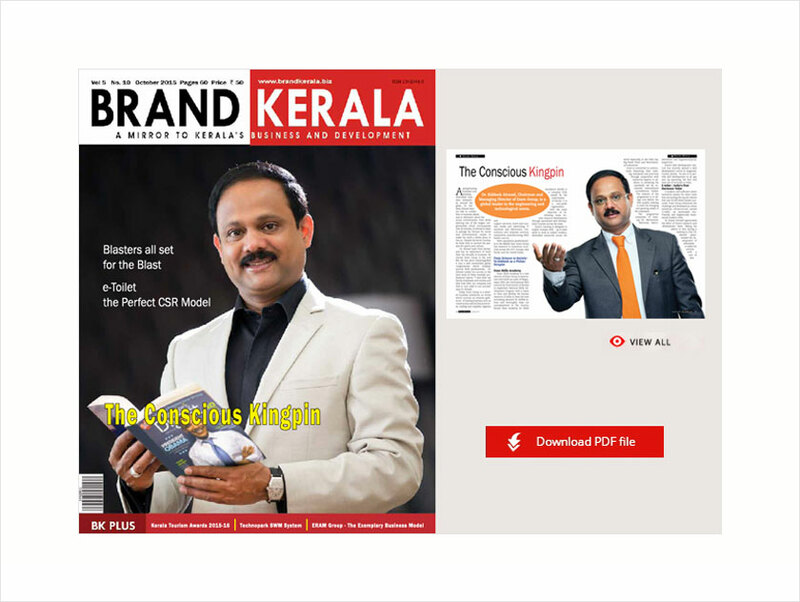 Dr. Siddeek Ahmed in BRAND KERALA - Branding Kerala Globally - Business Magazine - October 2015 issue. Dr. Siddeek Ahmed, Chairman, Eram Scientific receiving the Toilet Titan Award from The Prime Minister, Shri Narendra Modi. Shri.Aroon Purie, Editor-in-Chief and Chairman, India Today Group also seen. 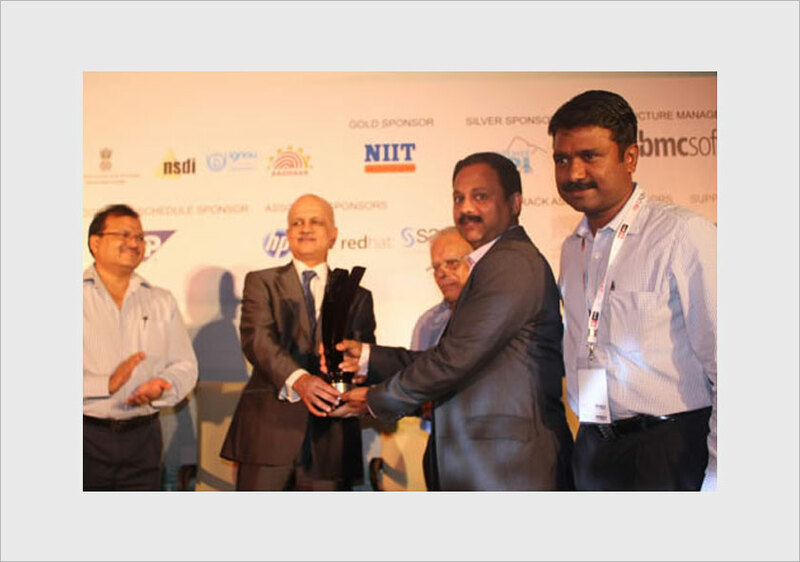 Eram Scientific Solutions has been conferred with the "Toilet Titan" title during the Safaigiri Summit and Awards 2015. 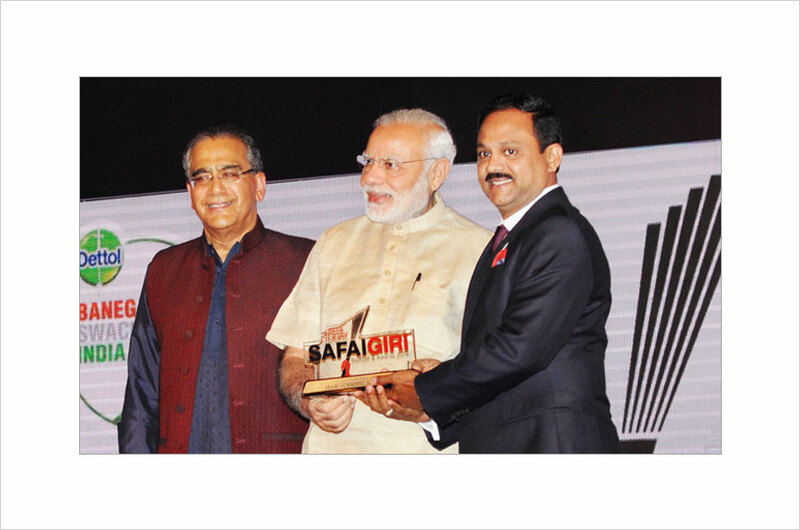 Dr. Siddeek Ahmed, the Managing Director of Eram Group of Companies, received the award from Hon'ble Prime Minster, Shri Narendra Modi during the Awards ceremony held at Taj Palace, New Delhi on 02 October1. 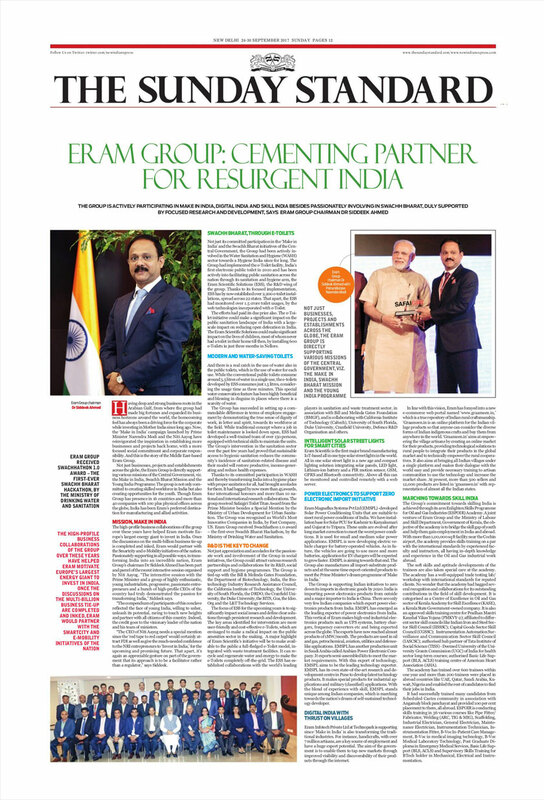 Eram Scientific was selected as a winner by an eminent jury comprising AroonPurie; Infosys co-founder N. R. Narayanamurthy; Actor Vidya Balan; Writer ChetanBhagat; RajyaSabha member Rajeev Chandrasekhar; Feedback Infra chairman VinayakChatterjee, and Sulabh International Founder BindeshwarPathak. 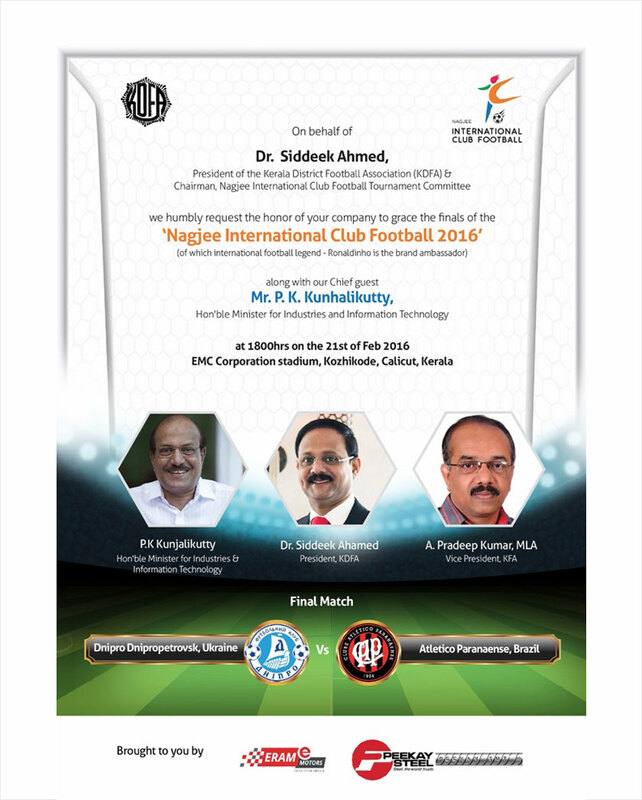 Dr. Siddeek Ahmed releasing the log of NAGJI FOOTBALL 2016 at Calicut, India. The international teams like Hertha Berlin, TSV 1860 Munich, River Plate from Argentina, Under-23 National Team, Atletico Paranaense & Corinthians from Brazil, Levante UD from Spain, Team from Saudi Arabia and i-Leage Team from India will participate in the match. The 1st and 2nd place winners will get $ 30,000.00 and $ 15,000.00 respectively. Hon. Chief Minister (Kerala) Sri. 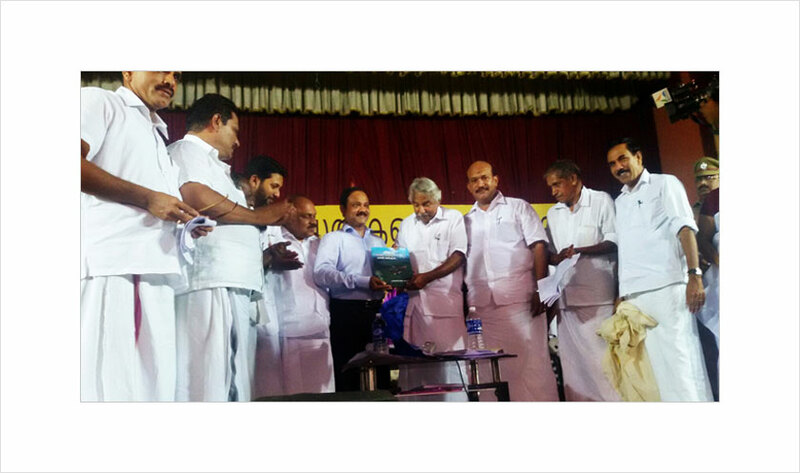 Oommen Chandy releasing 150 years Palakkad City's History and presenting 1st copy to Eram Group CMD Dr. Siddeek Ahmed. 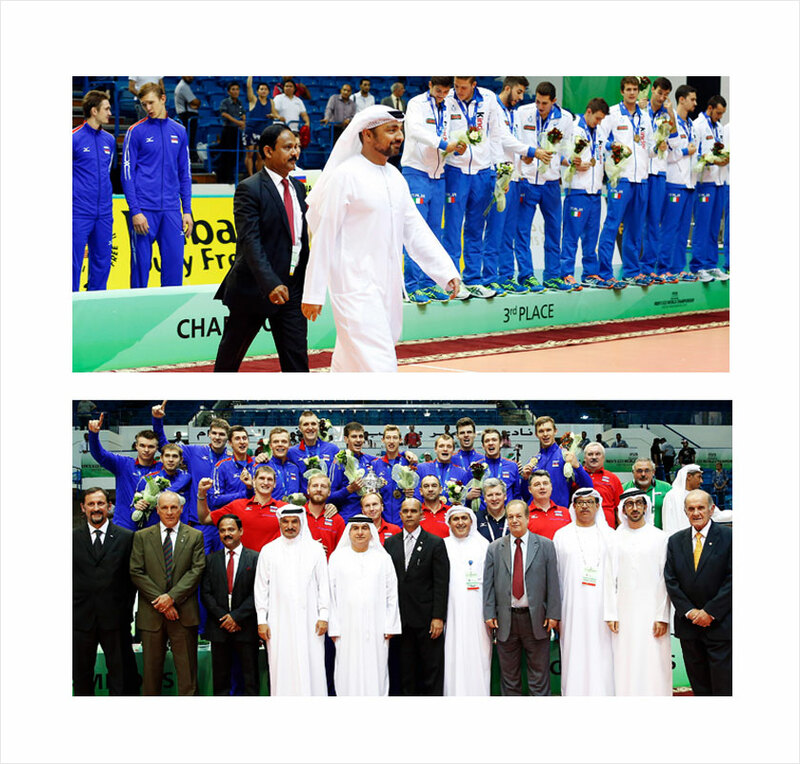 News on Under 23 Volleyball World Championship, Dubai. The main sponsor of the event Dr. Siddeek Ahmed, CMD of Eram Group and ITL World, presented mementos and prizes to the winners. What I remember most about Onam from my childhood is a sense of oneness. It was an occasion when everyone, irrespective of caste or religion came together in a joyous celebration. There was a special kind of camaraderie that transcended all our differences. I still remember how my friends used to bring me traditionally-woven handlooms from Kuthampully during the festival. A lot of effort was put into preparing an elaborate, mouthwatering spread for the Onasadya with an impressive medley of flavours. It was a huge task in itself but it was done with so much warmth and enthusiasm; and needless to say, the food was delicious. Today, convenience has taken over and even the payasams are made from ready mixes in many households. I am sure it is a natural consequence of changing times, but one can't help but feel that our future generations are missing out on some of the most precious lessons and memories that these traditions have offered us. I have always seen Onam as the perfect occasion for everyone to set aside differences, and to celebrate our common identity as fellow human beings. That is what makes Onam so special--it is a festival for all. It celebrates prosperity, justice and peaceful co-existence. This culture of unity in diversity has defined us for centuries and it is an exemplary tradition in which we must take great pride. To preserve the essence of Onam, we must preserve its associated traditions.Be it pookalams, pulikali or the sadya, the customs and rituals of Onam give us an opportunity to share beautiful experiences and make memories together. They give us something to look forward to every year, a sentiment to cherish. It is this spirit of Onam that binds us together and makes it so close to our hearts. In sharing our joy, we multiply it; and when we celebrate together, we strengthen the bonds that are deeply rooted in mutual respect, tolerance and companionship. As the saying goes, Kanam vittum Onam unnanam--Onam must be celebrated at all cost. It is a joyous, unifying and integral part of our social and cultural fabric. On Onam, may the spirit of peace and prosperity bring us all closer together, this year and every year. 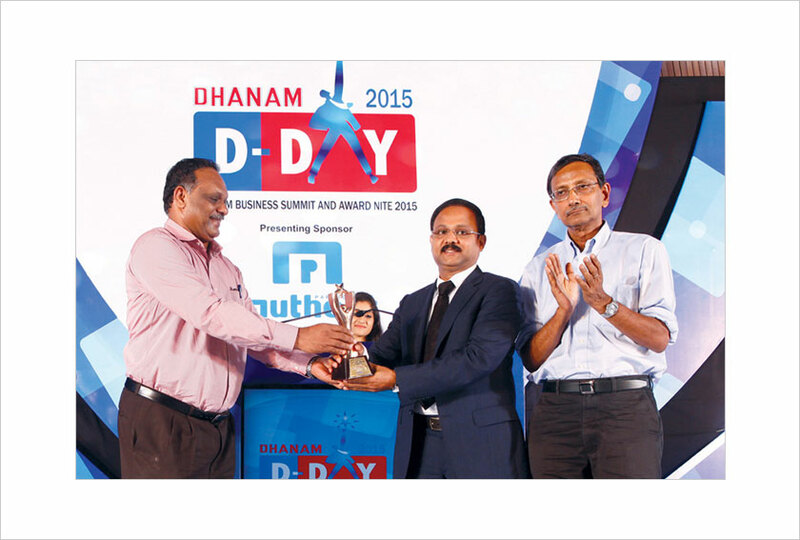 Kochi, June 20: Dhanam NRI Businessman of the Year 2014 Award was presented to Dr Siddeek Ahmed, Managing Director of Eram Group, at the 9th Dhanam Business Summit & Award Nite held at Le Meridien on Saturday. 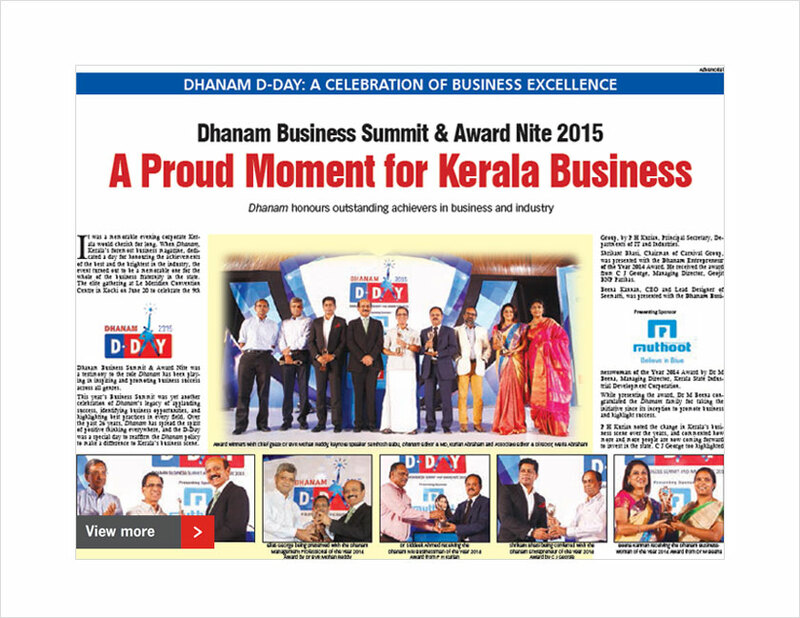 P H Kurian, Principal Secretary, Department of IT and Industries, presented the award instituted by Dhanam Business Magazine. 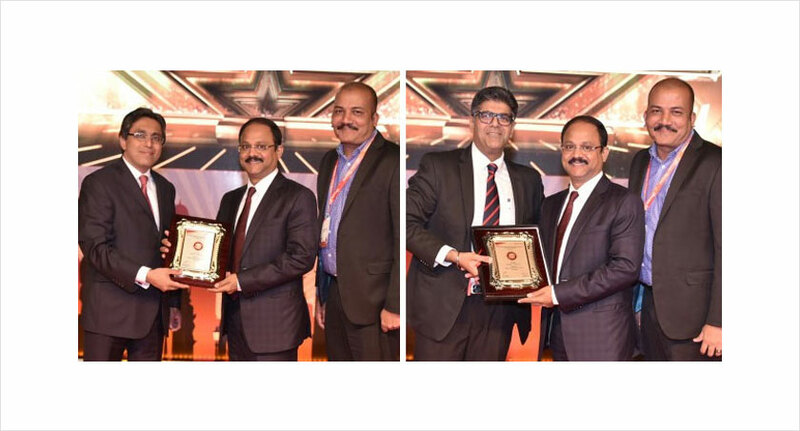 Four other Business Excellence awards were also presented to entrepreneurs at the function, where NASSCOM Chairman Dr BVR Mohan Reddy was the chief guest. 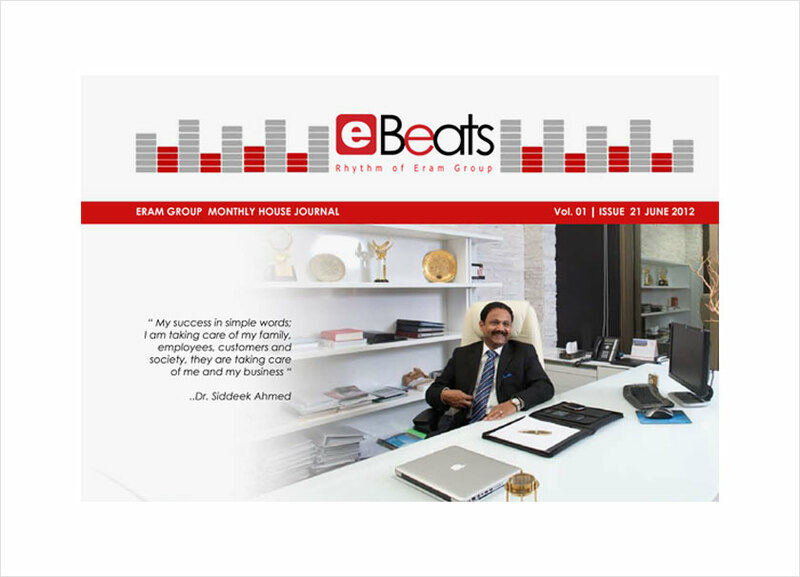 Dr Siddeek Ahmed, heads Saudi Arabia-based Eram Group, and has been operating across GCC, Europe and India for more than a decade. 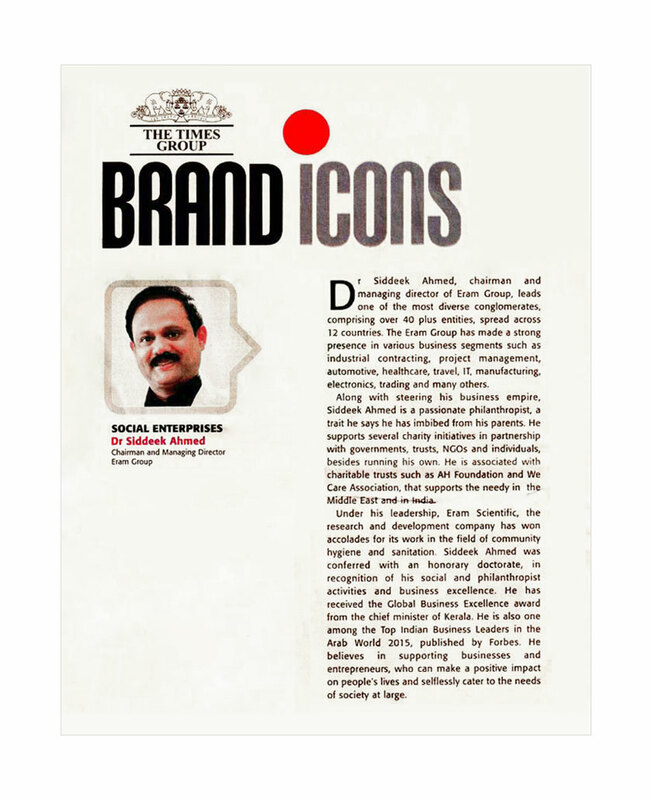 Dr Ahmed is credited with the promotion of highly diversified, but what makes him different is his involvement in social and philanthropic activities, mainly in healthcare, noted the jury which was headed by financial expert Venugopal C Govind. 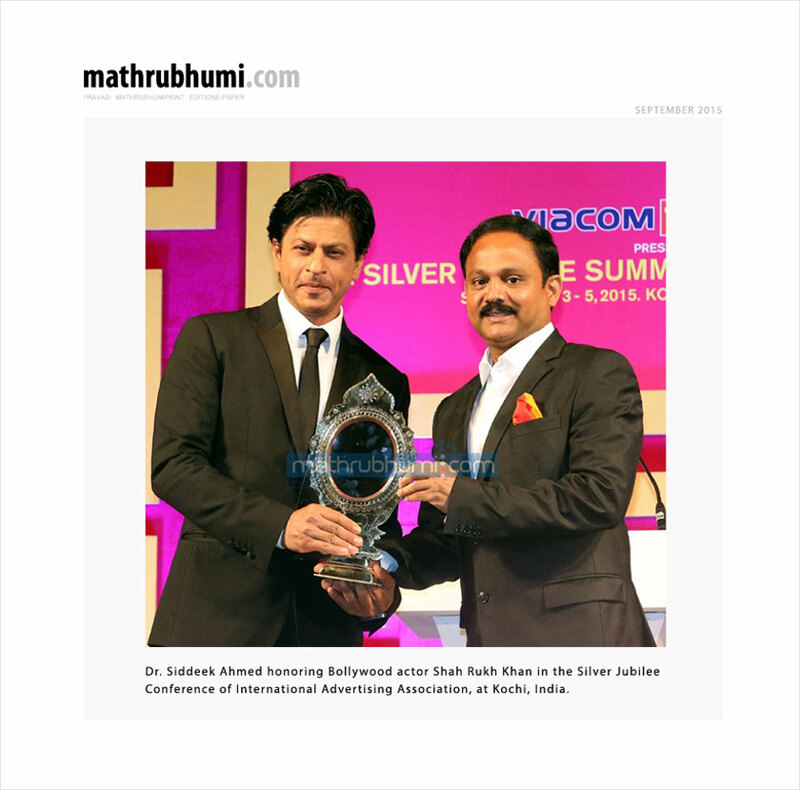 Kesari Award to Dr.Siddeek Ahmed. 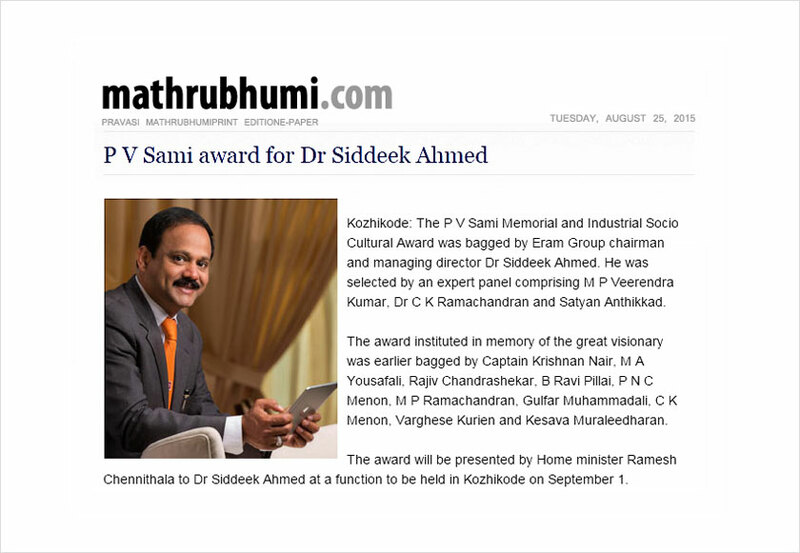 Dr. Siddeek Ahmed receives Kesari Award from Kerari Memorial Journalist's Trust, Trivandrum, India on 10th Jun 2015 for his charity initiatives and philanthropic activities. 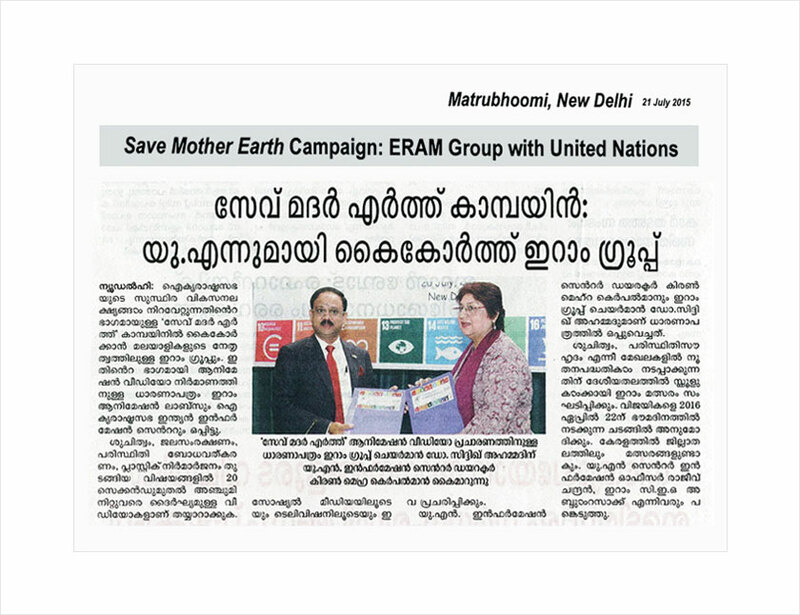 Kiran Mehra, Director of United Nations Information Centre for India and Bhutan, Dr. Siddeek Ahmed, CMD - Eram Group, Rajiv Chandran, National Information Officer, United Nations Information Centre for India and Bhutan in the launching of ‘Save Mother Earth’ campaign. 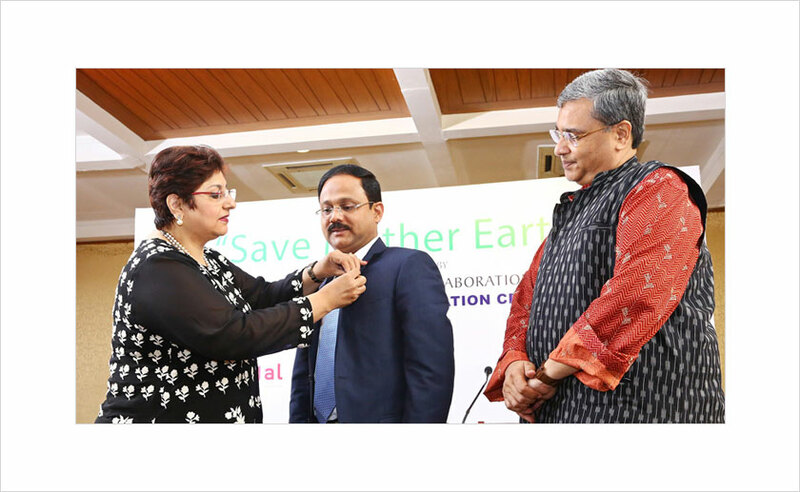 Kiran Mehra, Director of United Nations Information Centre for India and Bhutan awarding the UN-India connect pin to Dr. Siddeek Ahmed, CMD - Eram Group. 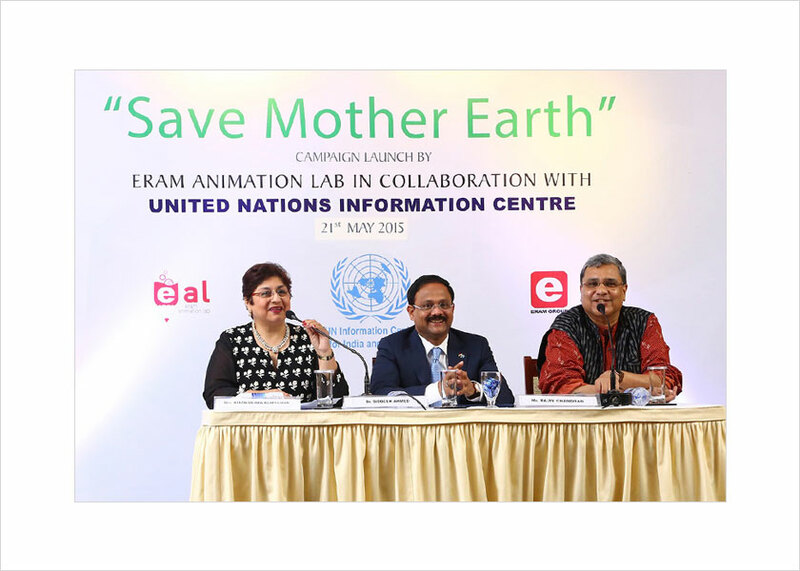 A nation-wide 'Save Mother Earth' campaign was today launched by United Nations Information Centre to spread awareness about humanitarian concerns such as environmental protection, human rights, social development, sanitation and inclusive economic growth. The campaign was launched in collaboration with Eram Animation Lab (EAL). Launching the campaign here, Kiran Mehra - Kerpelman, Director of United Nations Information Centre for India and Bhutan, spoke about the urgent steps to be taken up for human development by eliminating poverty and checking the threat of climate change. Rajiv Chandran, National Information Officer, United Nations Information Centre for India and Bhutan, said the UN wants to connect with youth and a future generation with a new agenda that the UN secretary general is currently campaigning for - the sustainable development goals. EAL said as a first step, there will be a national level contest to identify schools encouraging sustainable practices for a better future. In order to encourage schools to implement such positive steps, prizes will be awarded at the national level to the schools that are most pro-active in promoting proper sanitation, hygiene and eco-friendly practices, it said. The winners will be honoured in Delhi on April 22, 2016 - the next Earth Day, in the presence of UN officials, central ministers and diplomats. In Kerala, prizes will also be awarded at the district level. Eram Group Chairman, Dr. Siddeek Ahmed receives Global Excellence award during the Mini Civil station (Government offices complex) inaugural function held at Ottappalam, Palakkad on 10th May 2015. 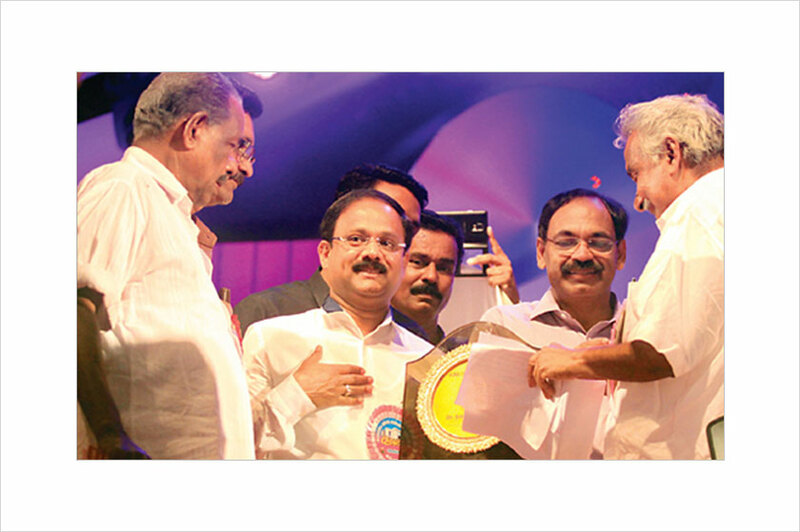 Dr. Siddeek received this award from Mr. Oommen Chandy, the Hon. Chief Minister of Kerala State, India. The Hon. 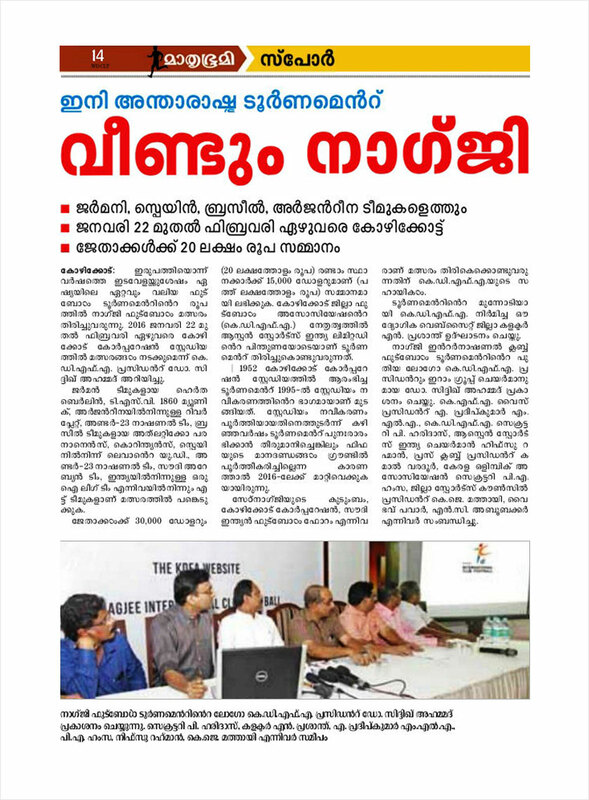 Revenue minister Mr. Adoor Prakash, and the MLA Mr. Hamza were also present. Around 25,000 people attended the function . This award was in recognition for his contributions to business and philanthropic activities across the globe . 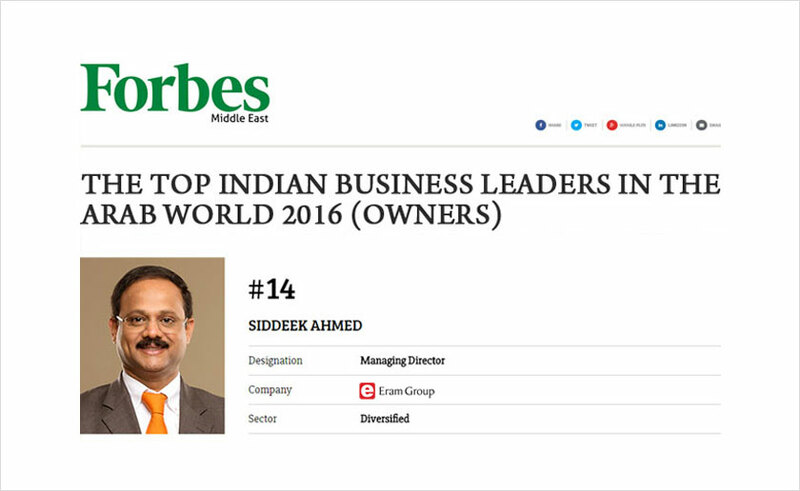 Alkhobar-based Eram Group’s Managing Director Siddeek Ahmed was among the Top 20 Indian business leaders who were honored by Forbes Middle East during an award ceremony in Dubai recently considering their outstanding contributions to Arab economies. Ahmed, who is a dynamic and accomplished business tycoon with investments in Saudi Arabia, UAE, Bahrain, Qatar, Kuwait, India, UK, Italy, Korea, Malaysia and Turkey, has won 16th position. 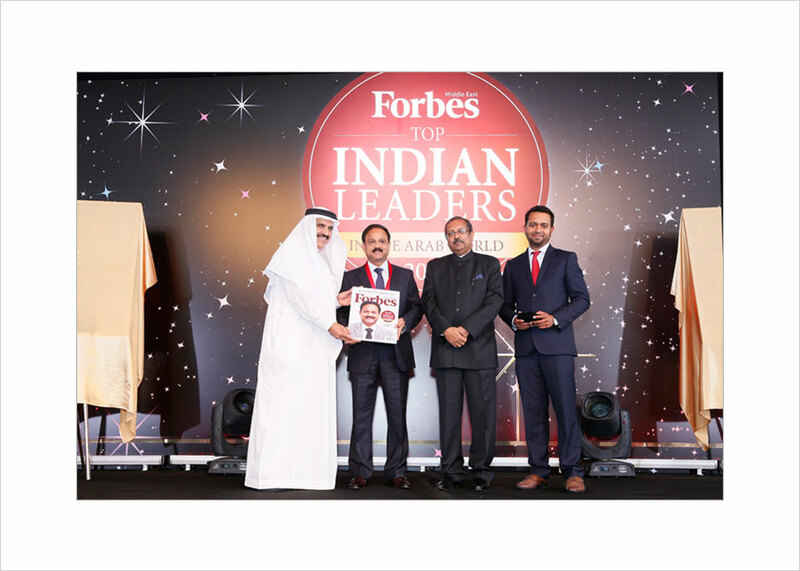 He received the Forbes award from Nasser bin Aqeel Al-Tayyar, president of Arab Publisher House. 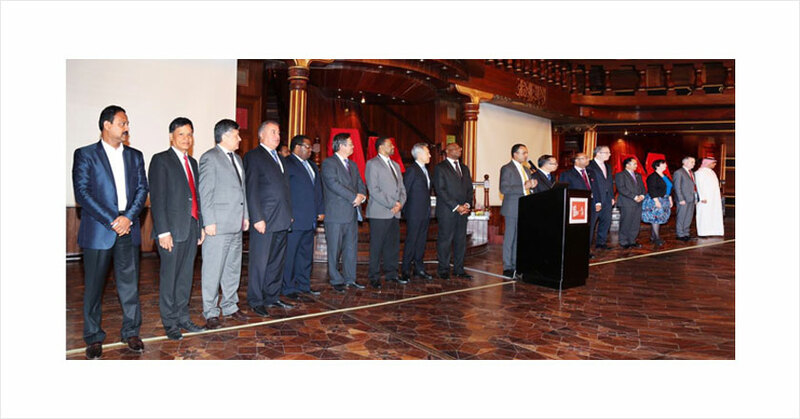 In the presence of Mr. Basheer (CEO – ITL World, KSA), Mr. Razack (CEO -Eram Group), Mr. Madhu Krishnan (Director – Eram Group), Mr. Hassan Mohamed (Director – Eram Group), Mr. Ramesh (Regional Head – Eram Floors) and other dignitaries, Dr. Abdul Rahman Al Atawi and Eram Group CMD Dr. Siddeek Ahmed inaugurate the new office of Eram Floors at Bahrain. DR. SIDDEEK AHMED PARTICIPATED IN THE CEREMONY OF KAABA WASHING. Eram Group CMD Dr. Siddeek Ahmed receives award from IHRPC (International Human Rights Protection Council) for his humanitarian and civil protection activities in India, Middle East and Other Countries. Mr. Nitin Gadkari, Minister of Road Transport and Highways (Incumbent), and Mr. Choudhary Jamshed Alam, Chairman IHRPC handed over the award in Delhi. 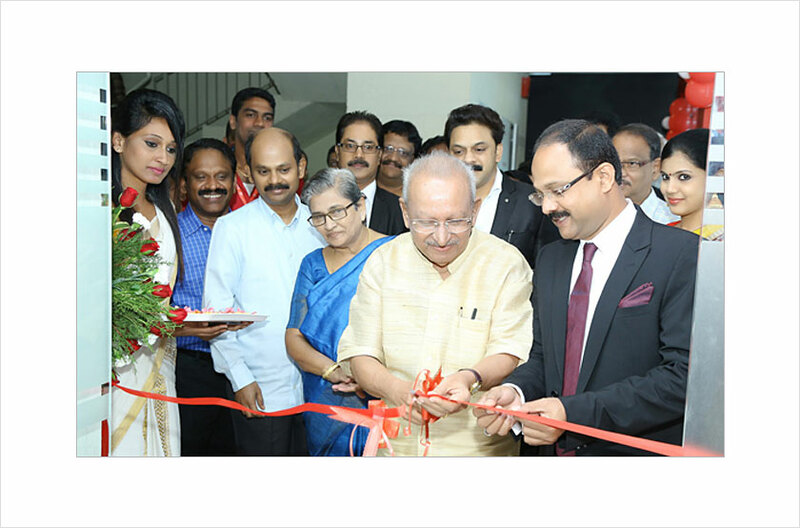 ERAM INTERNATIONAL-INDIA, COCHIN, KAKKANAD – OFFICE INAUGURATION ON 13TH OCTOBER 2014. Eram Group Chairman, Dr. Siddeek Ahmed receiving Bill & Melinda Gates foundation Award Delhi. “Next-generation” toilets showcased at Gates Foundation offer innovative sanitation solutions that can save and improve lives around the world. The grants were announced and award given by Prof. K. Vijay Raghavan, Secretary DBT & Chairman, BIRAC along with Bill & Melinda gates foundation top executives. ENHANCED COOPERATION: Crown Prince Salman and Indian Vice President Hamid Ansari witness the signing of defense agreement by State Minister for Foreign Affairs Nizar Madani, left, and Indian Minister of State for Defense Jitendra Singh, right. (SPA) JEDDAH: P.K. ABDUL GHAFOUR Published — Thursday 27 February 2014 Last update 27 February 2014 4:29 am Saudi-Indian political and business ties are expected to reach new heights with the three-day state visit of Crown Prince Salman, deputy premier and minister of defense, analysts said, adding that the royal visit would pave the way for greater cooperation between the two Asian economic giants, especially in energy, IT and industry. "The Indian business community is excited over the crown prince's visit and they believe it will bring a lot of opportunities for both sides," said Abdul Rahman Al-Rabeeah, president of the Saudi-Indian Business Council. Speaking to Arab News by telephone from New Delhi, Al-Rabeeah said a large number of Saudi businessmen have arrived in New Delhi for talks with their Indian counterparts. "We are exploring opportunities in all business sectors, especially in energy, IT and industry. We are also looking for Indian expertise to develop small and medium enterprises," he added. Al-Rabeeah, a prominent Saudi businessman, highlighted the significance of Prince Salman's visit. "This is a very valuable visit for both countries. The crown prince's delegation includes senior Cabinet members and business leaders. This is a golden chance for Indian businesses to make use of the huge investment opportunities in Saudi Arabia," he said. Al-Rabeeah said many leading Indian companies are interested in investing in the Kingdom and establish joint ventures. Saudi Arabia is offering investment opportunities worth $1 trillion to foreign companies, especially in the key sectors of oil and gas, petrochemicals, railways, telecom, electricity and desalination. 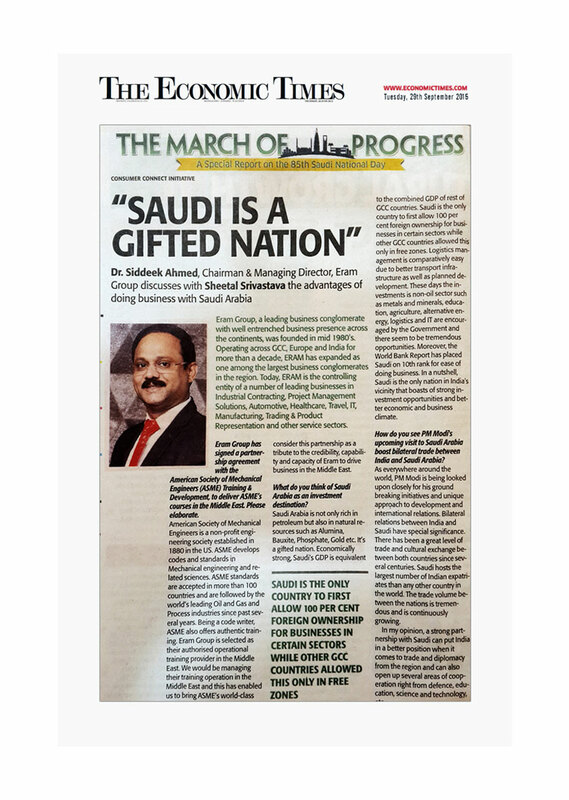 Siddeek Ahmed, CMD of the Alkhobar-based Eram Group underscored the importance of Prince Salman's visit, saying it would strengthen the longstanding historic and friendly relations between the two countries. "Saudi Aramco and SABIC have plans to invest more in India and this will invigorate the country's investment climate," Ahmed told Arab News. Indian companies specialized in oil and gas and construction have a lot of opportunities in Saudi Arabia, he pointed out. Indian officials and business circles, meanwhile, disclosed New Delhi's plan to import more oil and gas from Saudi Arabia, which currently supplies about one-fifth of India's energy requirements. India imports 700,000 barrels of crude from the Kingdom daily, they said, adding that Indian refineries prefer the high-quality Saudi crude. Cooperation in oil and gas and petrochemicals will figure high on the agenda of Saudi-Indian talks in New Delhi, the officials said. "A number of Indian oil companies have expressed their desire to increase their imports from Saudi Arabia," one official said. Eram chief Ahmed said the new gas discoveries in the Red Sea, near the Saudi city of Tabuk, will help the Kingdom export more high-quality gas to India. He said the arrival of more Indian companies to the Kingdom would create job opportunities for both Saudis and Indians. He expected the royal visit would lead to greater Indian participation in Saudi Arabia's railway expansion projects. 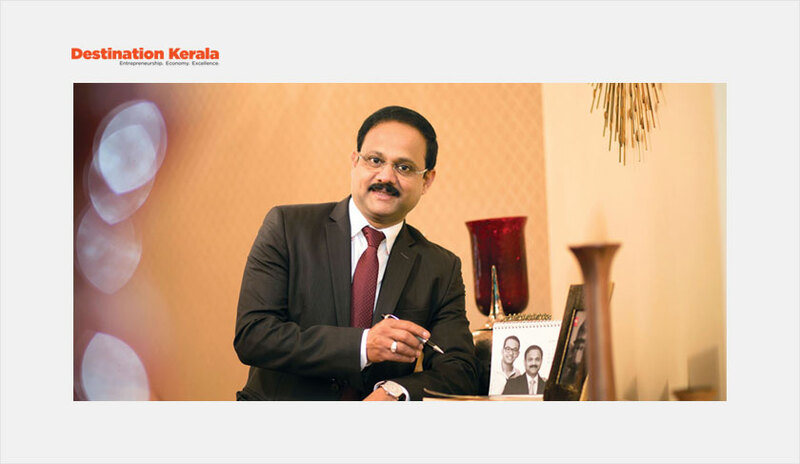 A prominent Indian businessman has called upon the Keralite expatriate community in the Gulf to join hands to establish a NRK (non-resident Keralite) university in the state for the higher education of their children. “I have already presented a proposal to Chief Minister Oommen Chandy to establish the university, and he has shown special interest in the project,” said Siddeek Ahmed, an Alkhobar-based industrialist. Addressing community leaders in Jeddah after receiving the Valapra Muhammad Kunhi Memorial Award, the Eram Group Managing Director urged his compatriots to work together with unity to protect their rights. Ahmed said he was honored to receive the Valapra award instituted by the Jeddah chapter of OICC, an offshoot of India’s ruling Congress Party. He dedicated the award to his mother, brothers and coworkers. Pappatta Kunhi Muhammad, a member of OICC's national committee, said his organization gave the award to Ahmed considering his multifarious humanitarian services to the community. 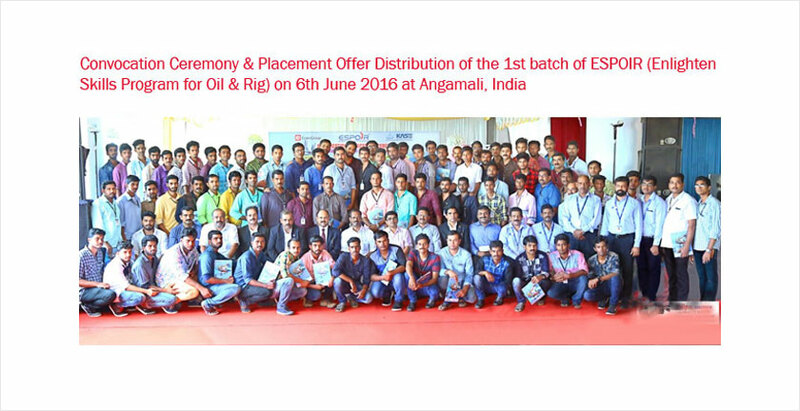 Eram Group employs more than 10,000 Indians in India and abroad. In his acceptance speech, Ahmed emphasized the importance of a university to get easy admission for NRK students to pursue professional courses. “At present, we spend millions to get admission for our children in Indian universities. If we join hands, I think we can realize this dream in the near future,” Ahmed said and pledged his full support to the project. 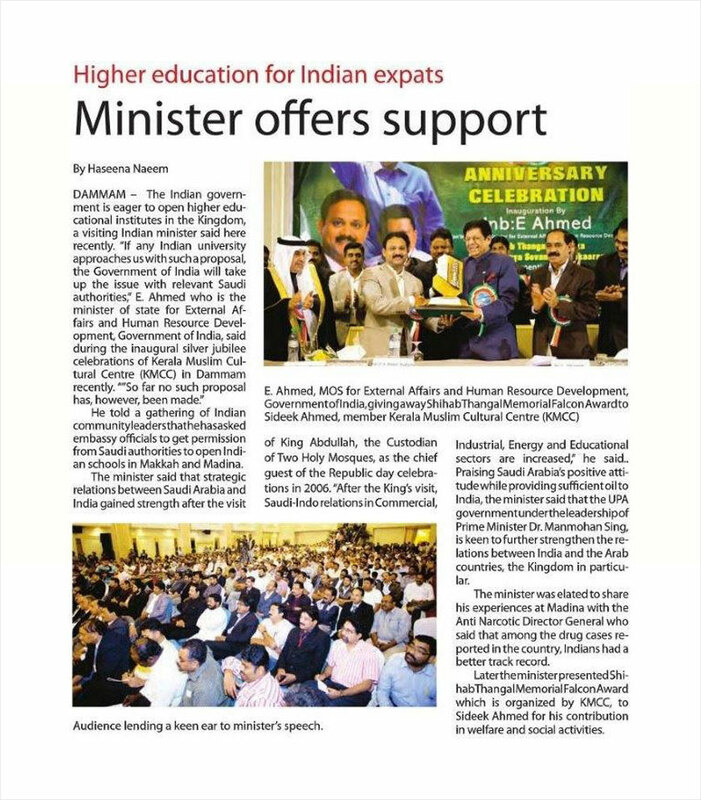 Many Keralite expatriates have welcomed Ahmed's proposal and said it would bring about qualitative improvement in their children's education. “It’s the need of the hour,” said Ismail Maritheri of King Abdulaziz University. Speaking to Arab News, he said the NRK university would benefit millions of Keralite students in Saudi Arabia and other Gulf countries. He said the proposed university should provide world-class education offering post-graduate courses and research facilities. “I strongly believe that it would be a highly successful venture, given the expertise and wide contacts of NRKs in the Gulf, the US and Europe,” he pointed out. The NRK university should be able to produce globally competent graduates, he added. Maritheri said non-resident Keralites, whose contribution to the Kerala state is seven times more than that of the central government, deserve such a university to facilitate education of their children. “NRK remittances were 1.74 times the revenue receipts of the state, 1.8 times the annual expenditure of the Kerala government, and seven times of what the state received from the Central government,” Maritheri said quoting a study. Their remittances in 2003 reached 184.65 billion rupees or 22 percent of the net state domestic product. Maritheri stressed that the new university should be established in the Malabar area — either in Malappuram or Calicut — where people are educationally backward, adding that all its courses including engineering, science and humanities should be made available in one campus. K.T.A. 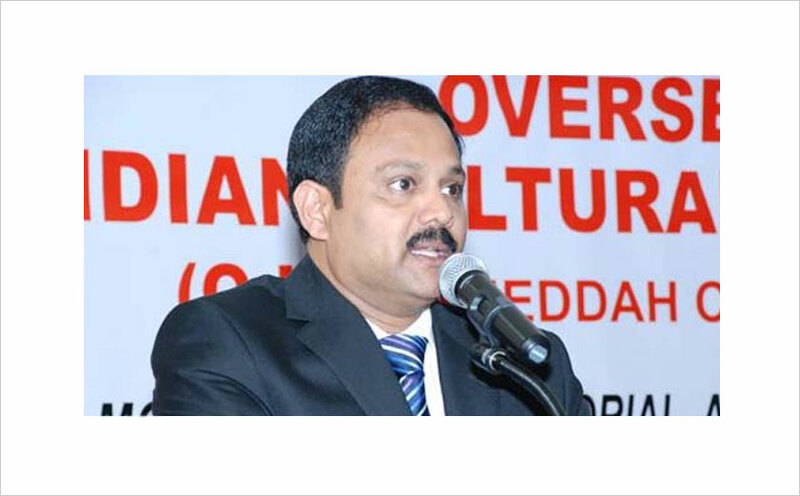 Muneer, a senior official of the Overseas Indian Cultural Congress (OICC), urged the central and state governments to sanction the NRK university project as quickly as possible. “NRK students in the Gulf face a lot of problems in pursuing higher education. The proposed university offers a good solution to this problem,” he added. Muneer indicated that some parents pay up to 10 million rupees (SR 700,000) to get their children admitted to medical and engineering colleges. “I believe that we can easily establish this university, as there are about three million NRKs in the Gulf,” he added. Many NRK students go to higher education centers in Bahrain, Dubai and Qatar or universities outside Kerala. “NRI students have to pay thrice the fees charged from other students. The new university project will help reduce our financial burden,” said Pathuthara Ayyoob, a social worker, adding that the university should aim at providing quality education. Eram Group CMD Mr. Siddeek Ahmed Haji receiving the Pazhassi Raja Award for Business Excellence 2011, from His Excellency Sri K Shankara Narayanan Governor of Maharastra on 25th August, 2011 at Y B Chavan Auditorium, Mumbai - India. Siddeek Ahmed, ITL world's MD, fifth left, with top executives of ITL and Disneyland in Riyadh on Tuesday. The ITL World Travel Management Company in Saudi Arabia, local distributor for Disneyland Paris, Disneyland Hong Kong, Walt Disney World Orlando and Disney Magic Cruises, made a presentation about Disneyland products and services in Riyadh Tuesday night. “Disneyland Paris is one of the major attractions for the Gulf, especially for those who want to enjoy an atmosphere tailor-made for family tourism,” said Siddeek Ahmed, ITL managing director. “Children can enjoy their favorite Disney characters while parents relax,” said Ahmed, calling on travel agents of the Kingdom to promote the products in Saudi Arabia and make advance bookings through the ITL World well in time. The presentation, which was also attended by deputy chief at the Indian mission Manohar Ram, and Cuban diplomat Anier Omar Cuellar Ponce, came, as Disneyland Paris this year will be offering promotions to celebrate its 20th anniversary from April 1. 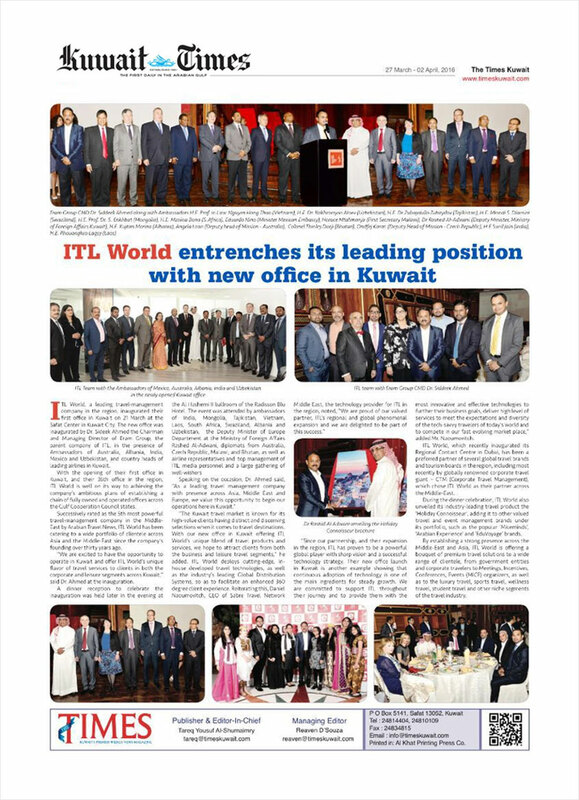 Shashi Menon, ITL World’s chief operating officer; Sakkeer Hussain, ITL World’s business manager; and Yushan N.C., chief of operations, were also present. This year the program is filled with new attractions, shows and events throughout the year. “New meet and greet programs as well as a magical immersive new nighttime spectacular filled with dreams are just some of the treats confirmed so far,” said Ahmed. He pointed out Disneyland Paris opened its door to thousands of eager guests for the first time on April 12, 1992. “As Disneyland Paris reaches this magical milestone, you are invited to join the 20th anniversary celebrations,” said Menon. Other new features include new ports and itineraries beginning May 2012. The new cruise liner Disney Fantasy will depart on her maiden voyage on March 31. Kerala will have 450 functional e-toilets by the end of this fiscal, becoming the first state in India with Connected Toilet Infrastructure which would be on a par with health and hygiene standards of developed countries. An e-toilet has an automated door opening, power flushing, automatic closet washing and sterilisation and automatic platform-cleaning mechanism — all backed by SMS alerts to inform a control room about the status of water tank and biogas plant in the event of any errors or failures. The product has been developed by city-based Eram Scientific Solutions Pvt Ltd, a part of Eram Group which has operational presence in India, the Middle East and Southeast Asia. This latest technological innovation is a convergence of web-mobile-electronics technologies and is expected to bring about a revolutionary change in the public health and hygiene sector of the state, a company statement said Friday. Currently, there are over 150 e-toilets across various locations and before the end of this fiscal another 300 will be operational. The cost of e-toilet varies from Rs.350,000 to Rs.850,000 (inclusive of bio-membrane reactor’s price). Bio-membrane reactor is a nano-technology-aided device that instantly recycles the used water and makes it ready for future use, the statement said. An e-toilet occupies around 20 square feet and has two doors — a sliding door at the front and a normal door ahead of the toilet. As soon as the coin (entry charge) is dropped, the sliding door opens and the light and the exhaust fan switch on. Inside the toilet there is a bucket, mug and such other items. In case the user does not flush the toilet after use, the system automatically does all the cleaning operations. Human excreta is treated and reduced to a sand-like material, which will not have any bacteria and is removed physically once in three months. The e-toilet unit will receive alerts in case of any theft or vandalism attempts. The agency responsible for the operation of the e-toilet will also be able to remote- control the unit and clean the toilet. The price of a unit depends on the manufacturing materials like fibre, metal sheets, stainless steel, MS pillars and a combination of the said materials. Electronic and cleaning features will be the same for all variants but more facilities for the physically challenged, women and children will be added to the models. The average life of a unit is estimated to be around 7-10 years. It was for a noble cause.... during the IFTAR held for ITL & Al Suwaiket Support Services at 'The Holiday INN' Hotel – Al Khobar Corniche - KSA attended by over 500 guests. 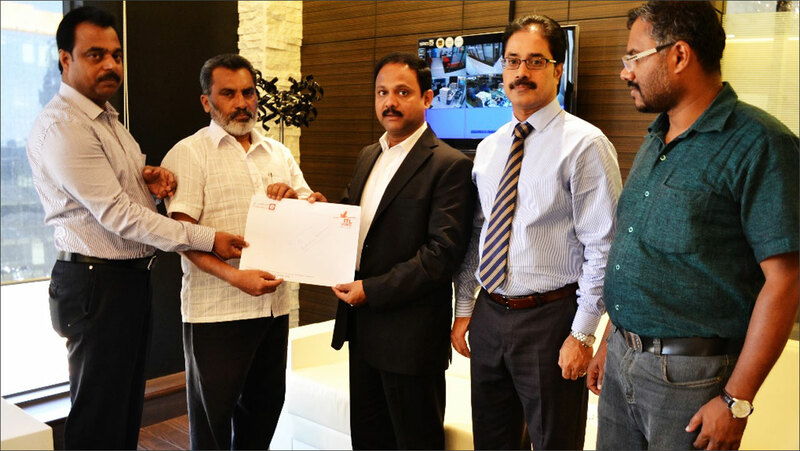 The Chairman & Managing Director of Eram Group, Mr.Siddeek Ahmed had donated SR 100,000/- for a Noble Cause.